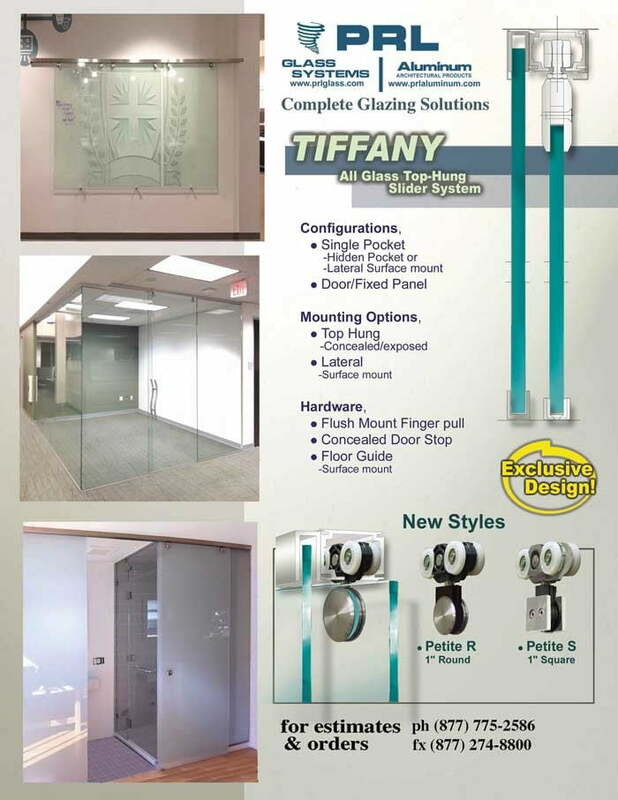 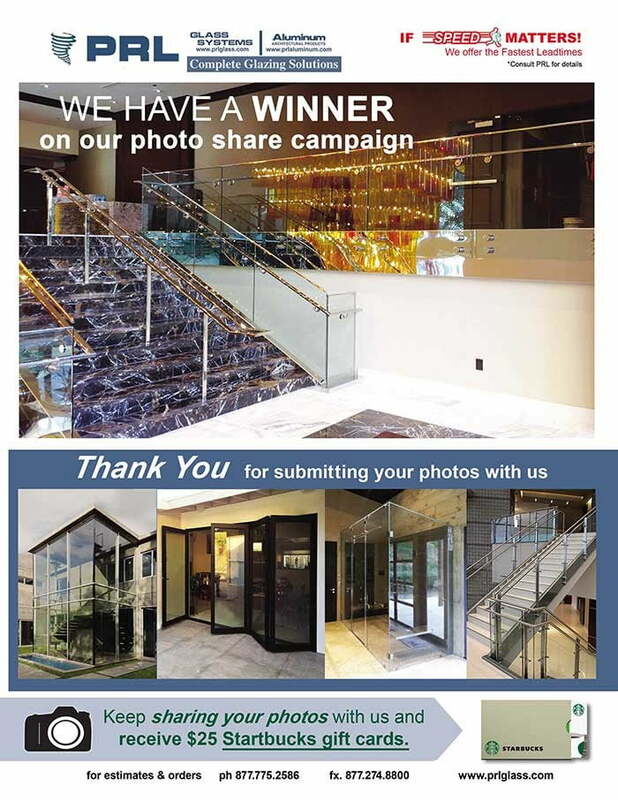 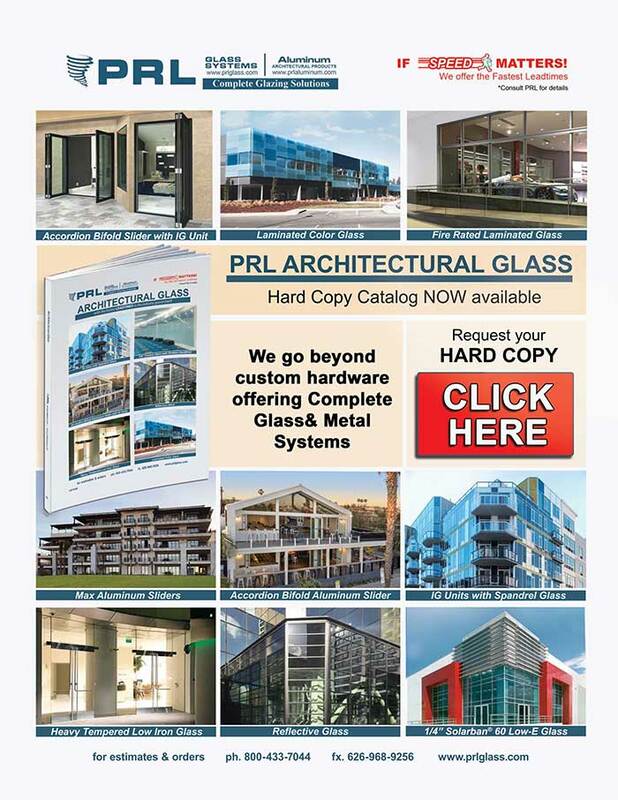 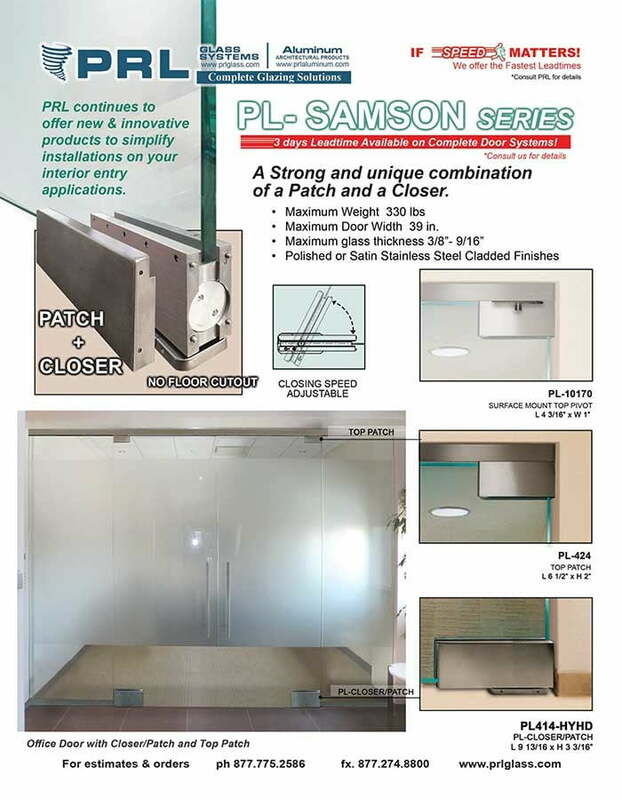 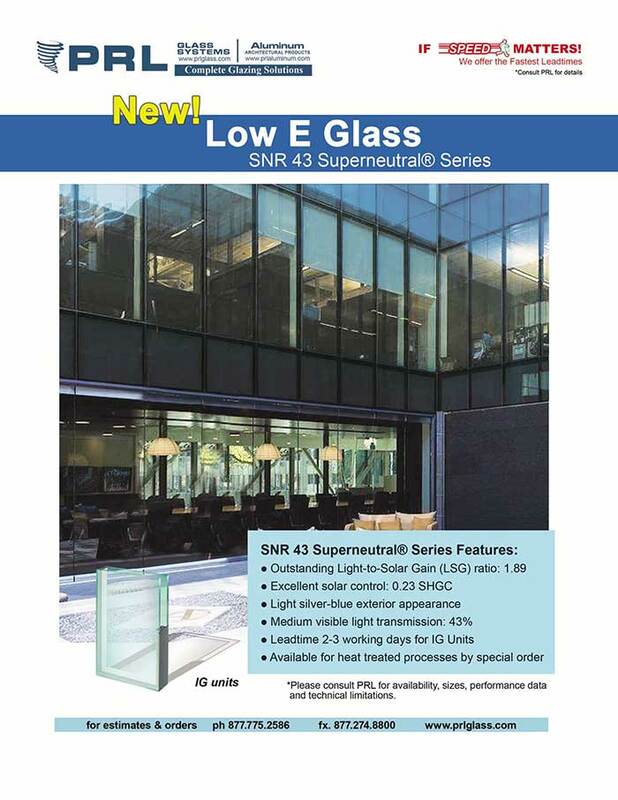 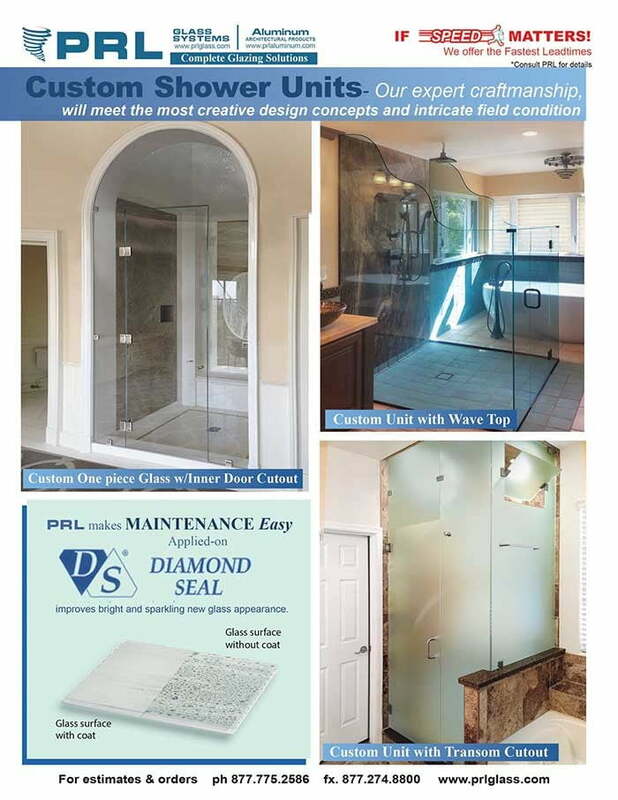 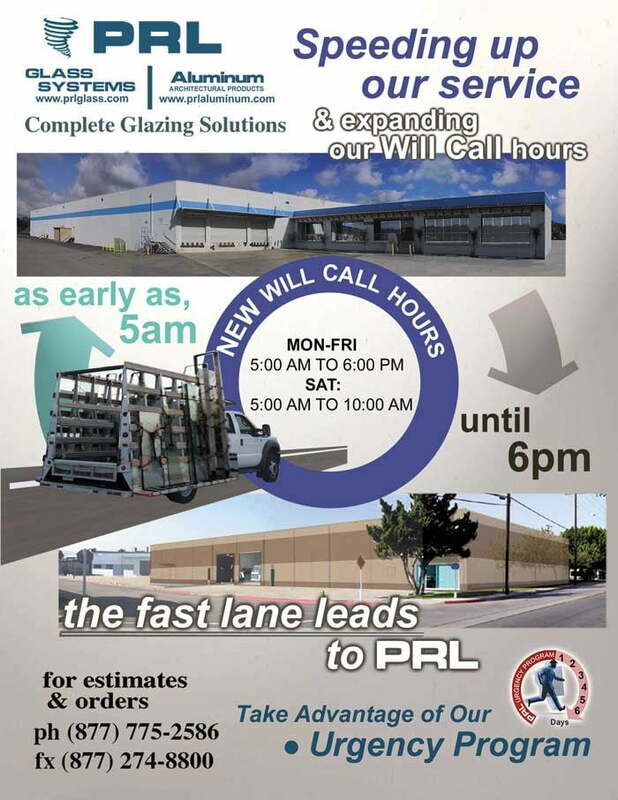 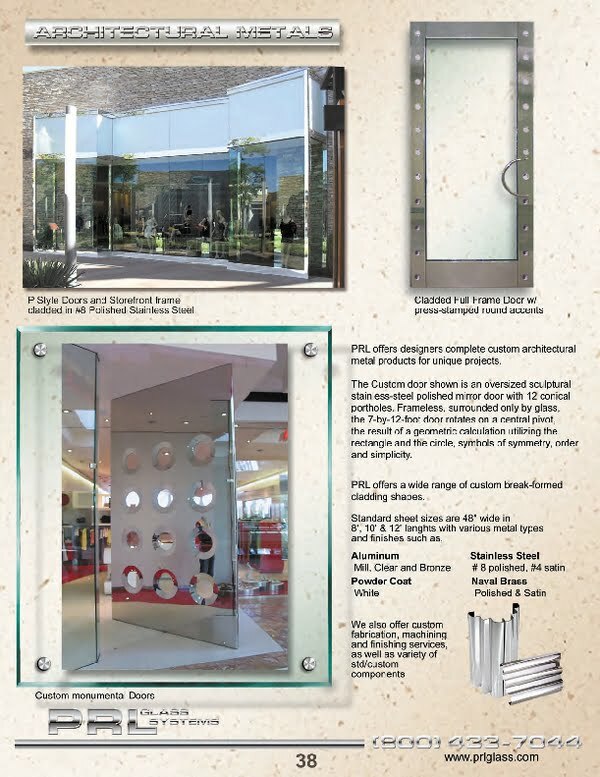 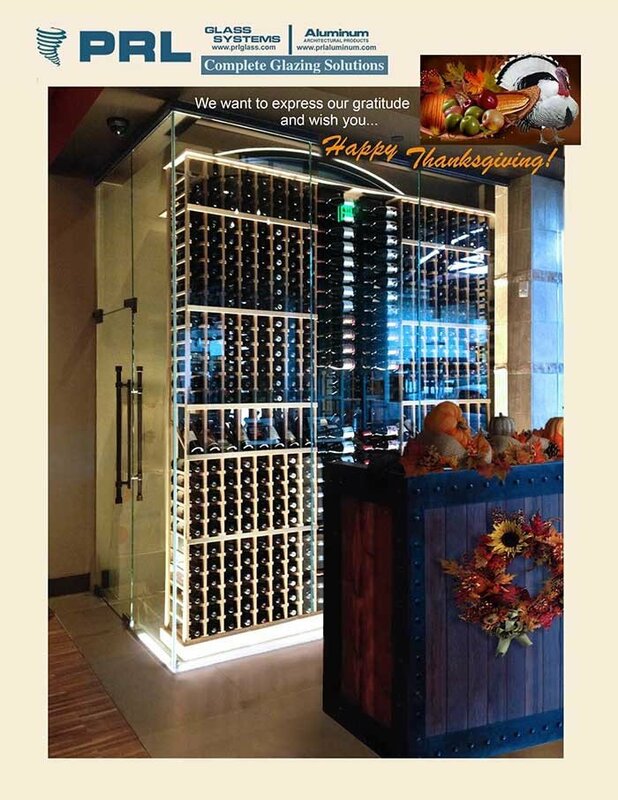 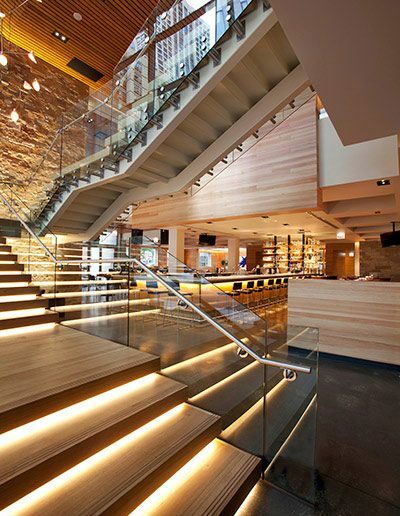 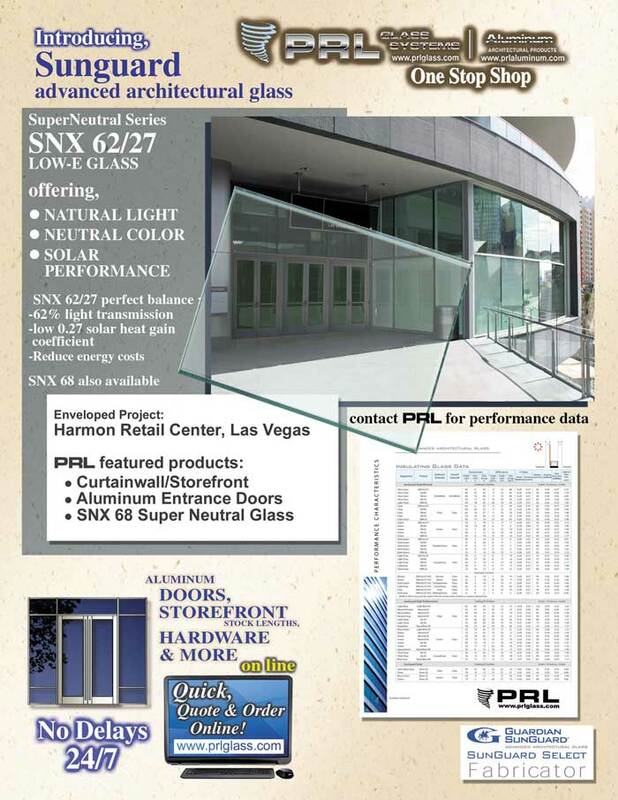 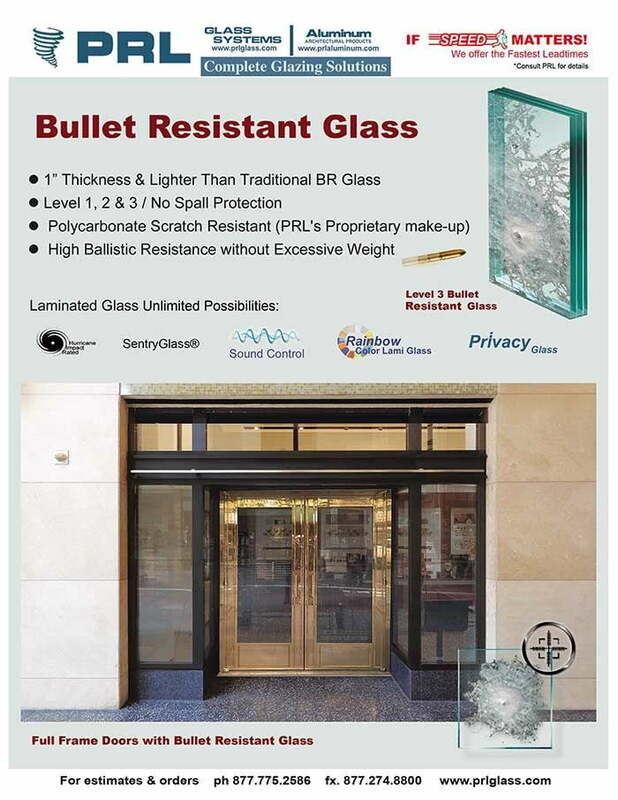 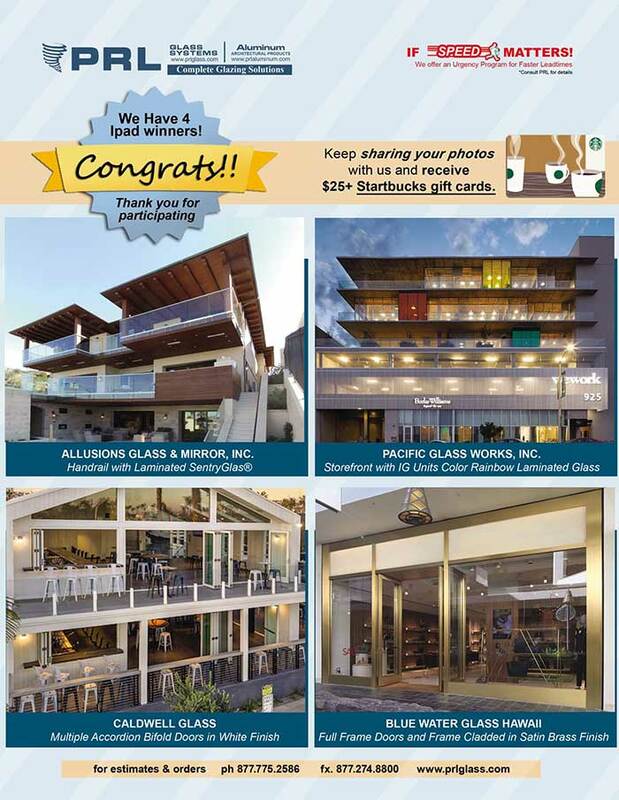 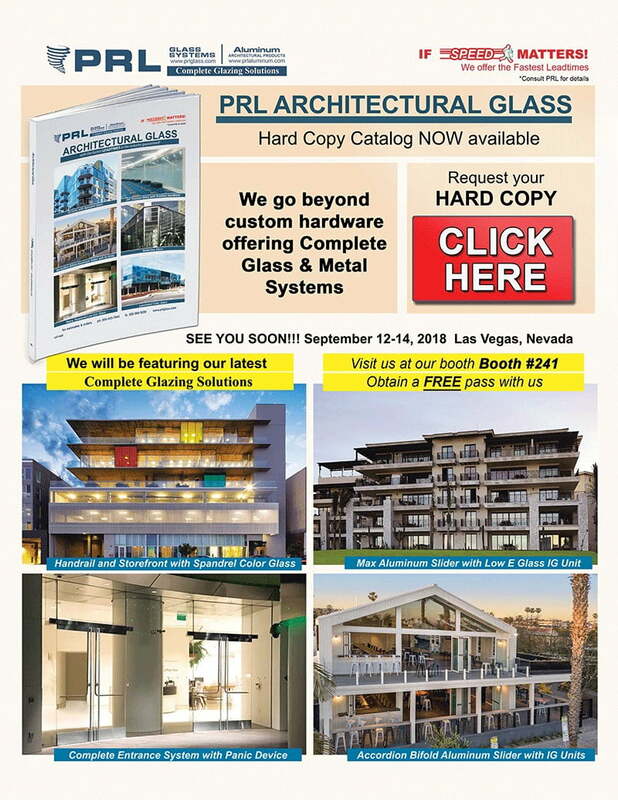 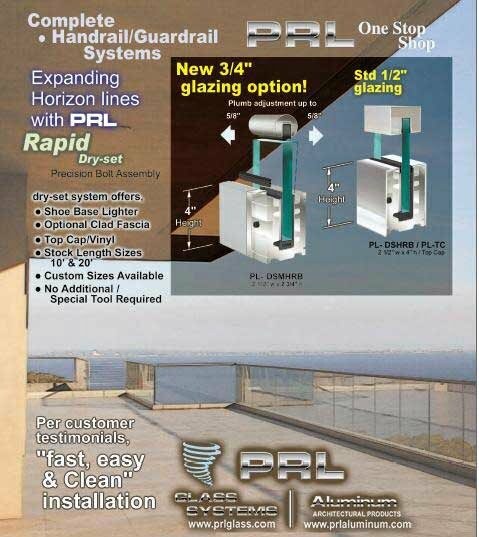 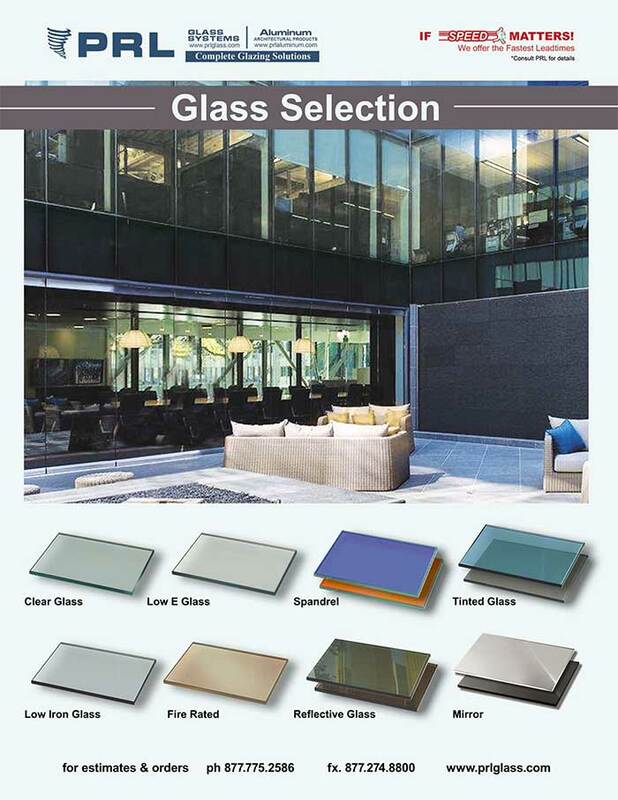 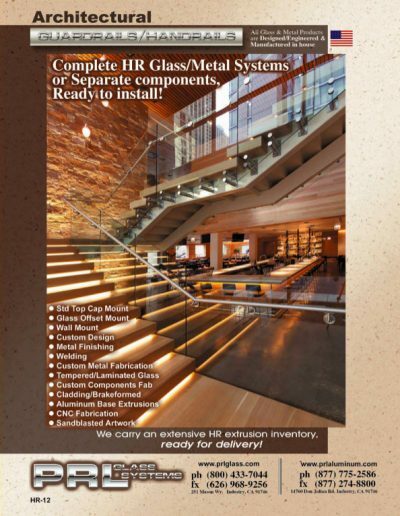 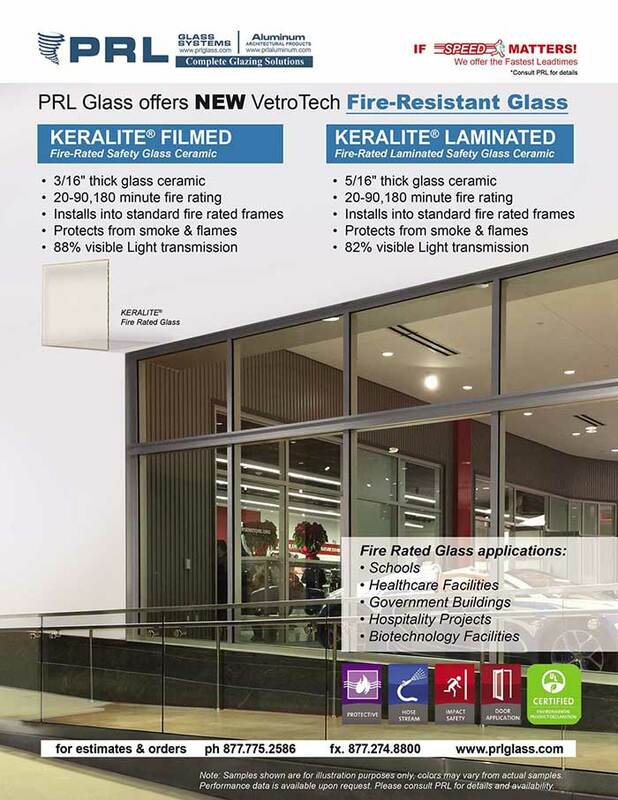 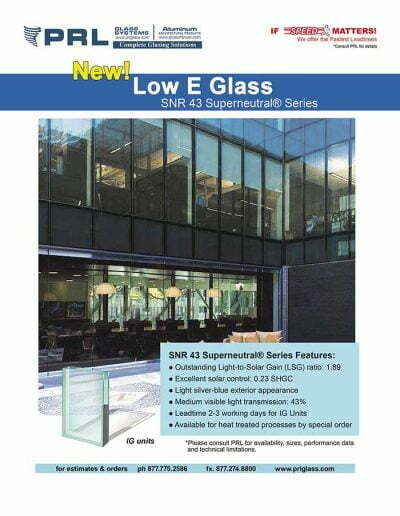 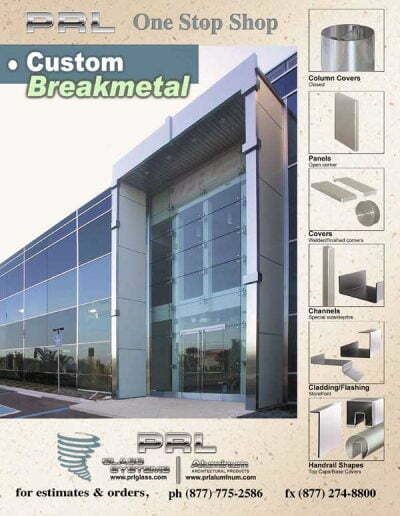 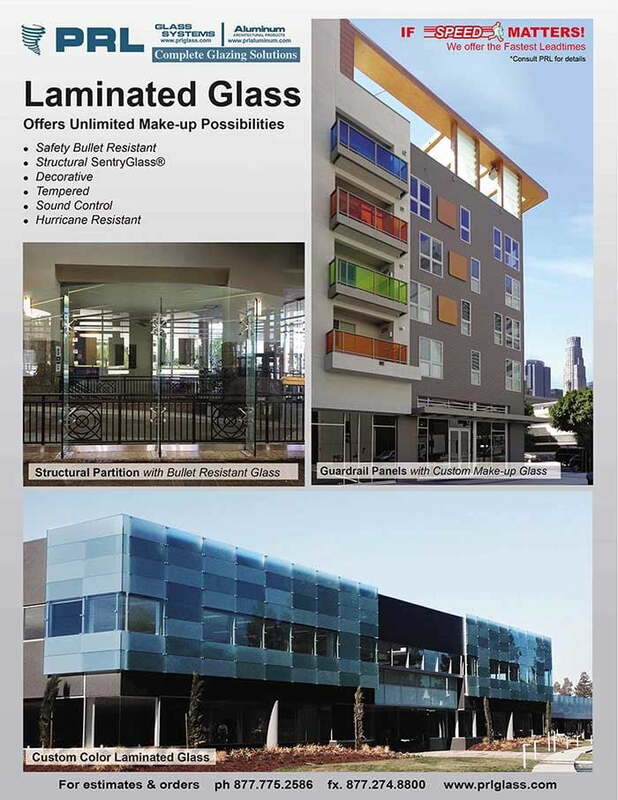 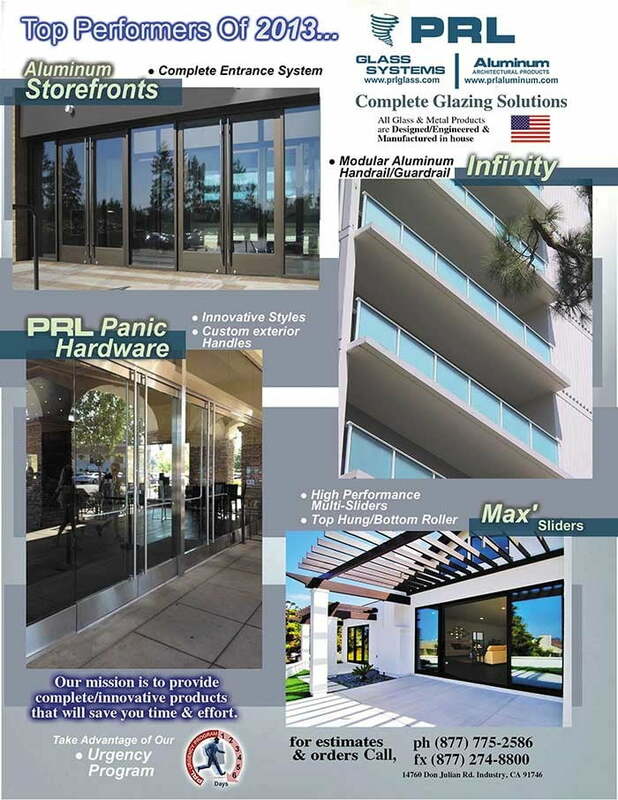 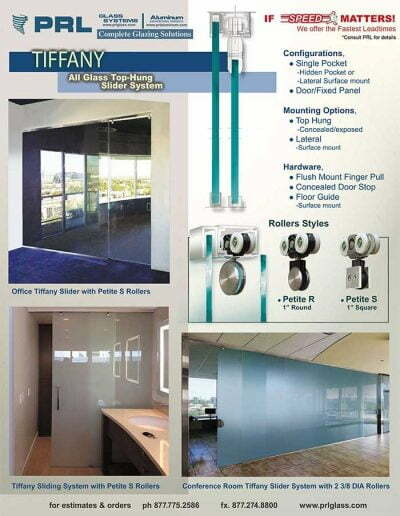 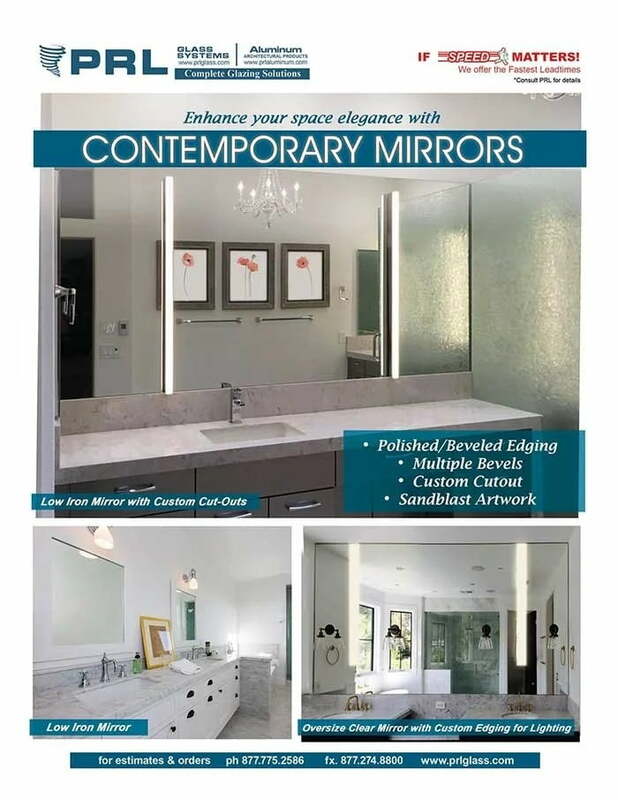 PRL Glass offers opaci coat spandrel glass wall clad as decorative application for residential and commercial interior and exterior glass projects. 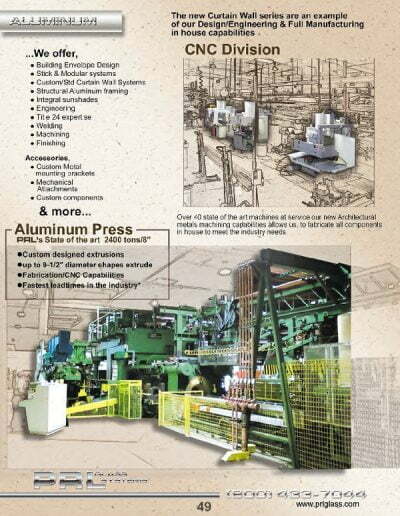 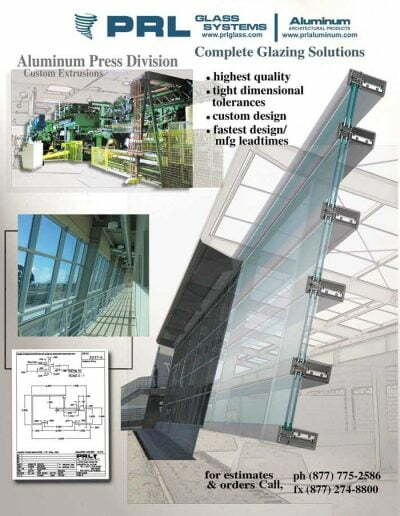 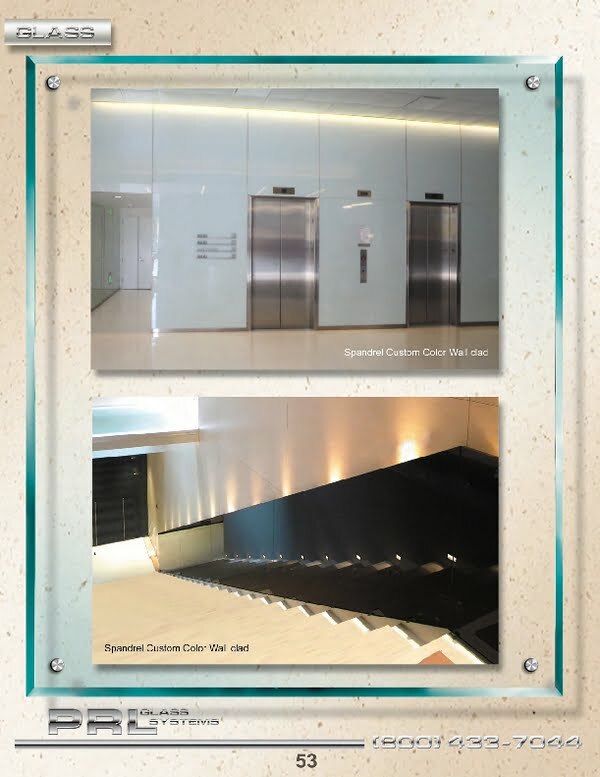 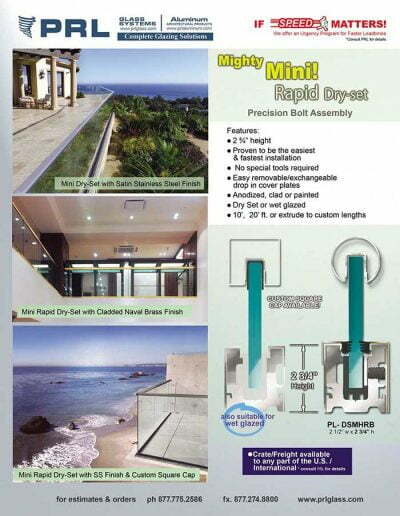 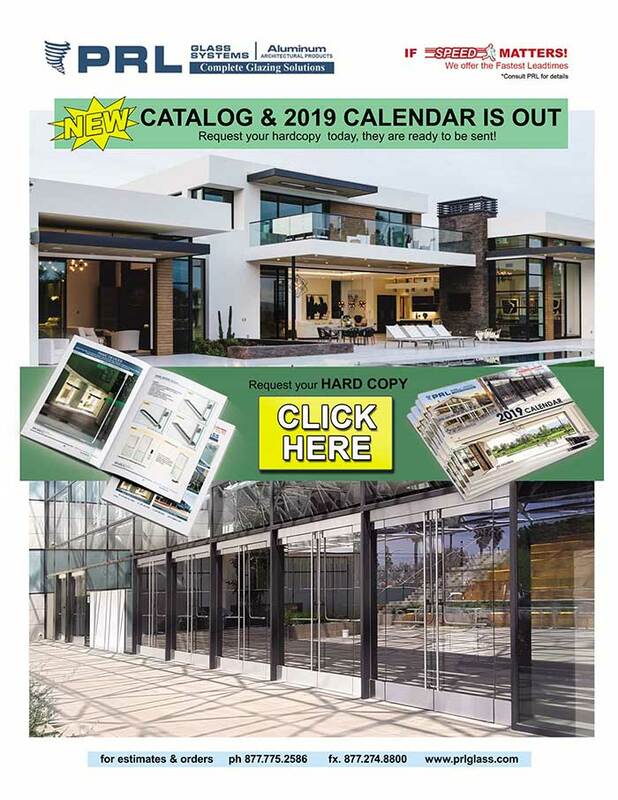 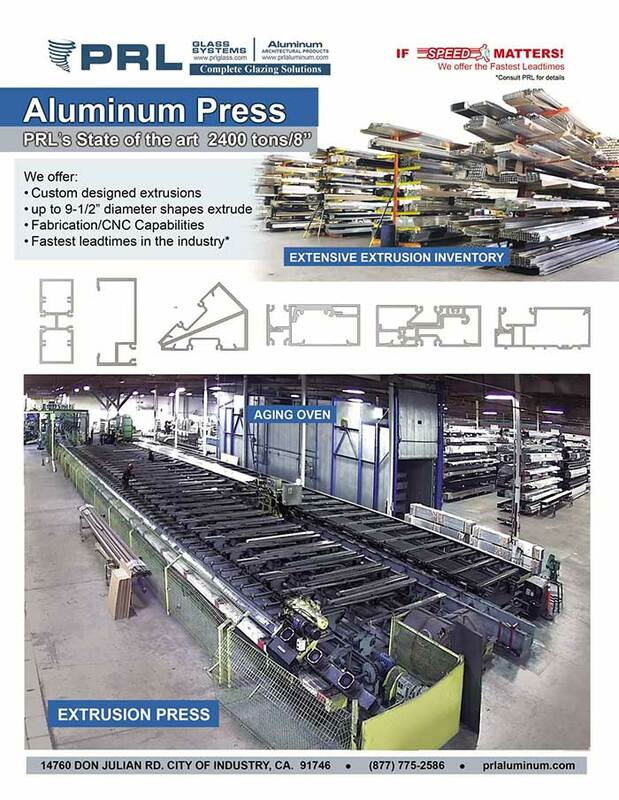 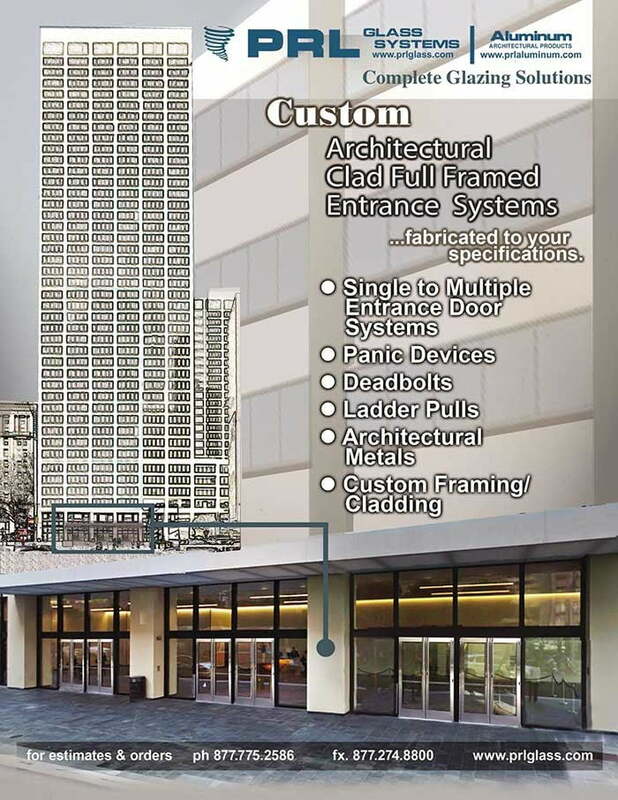 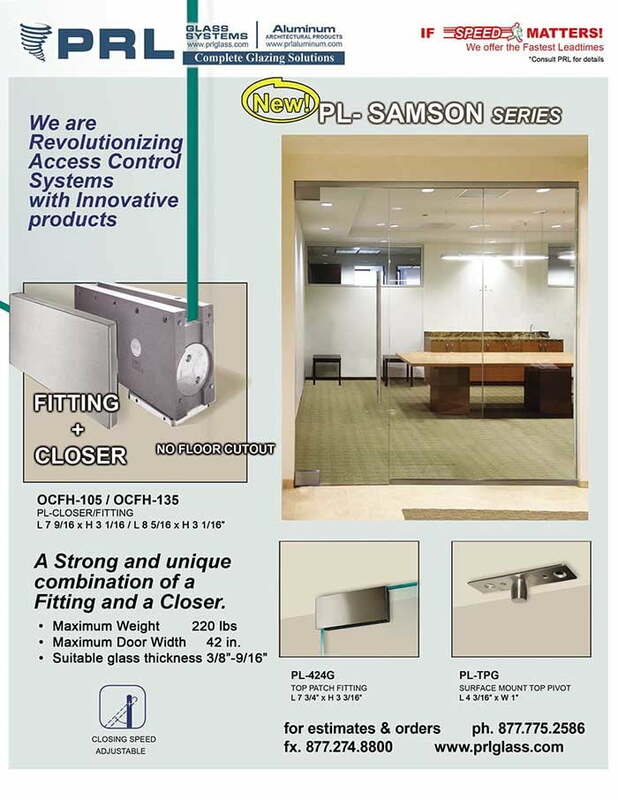 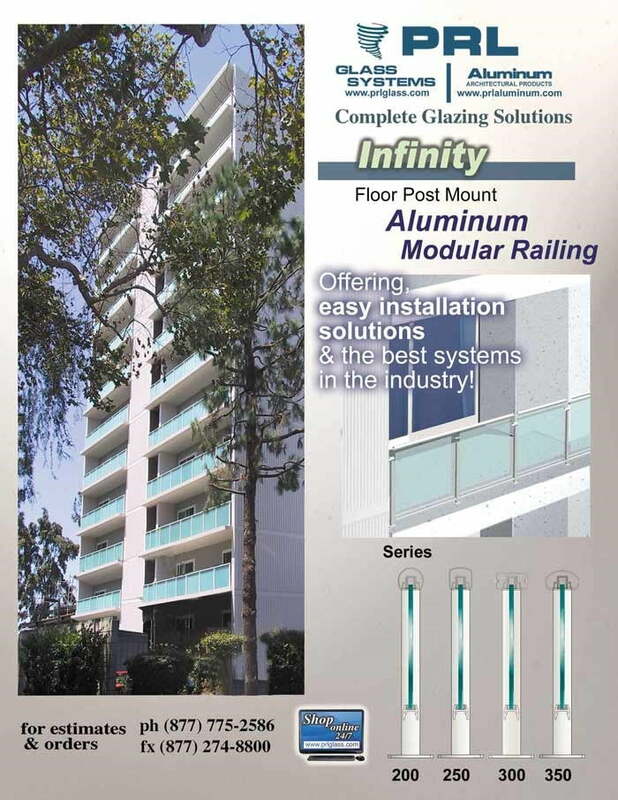 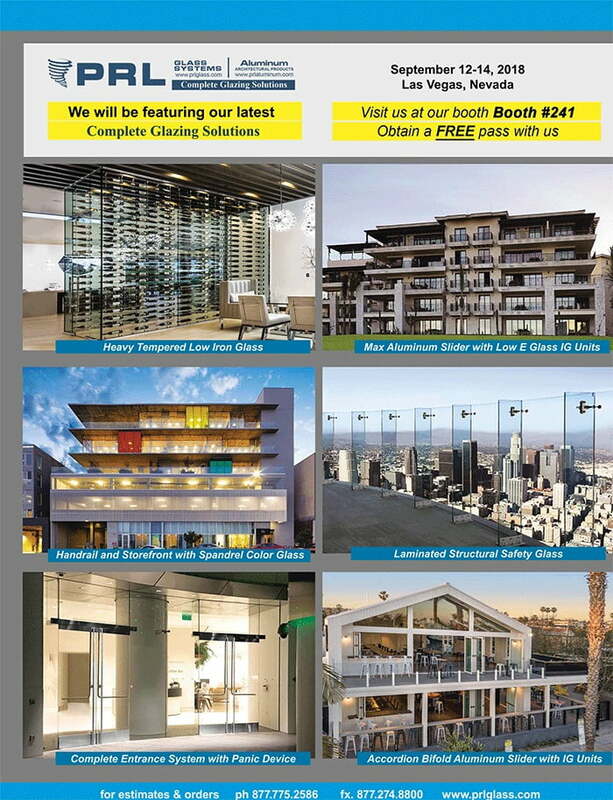 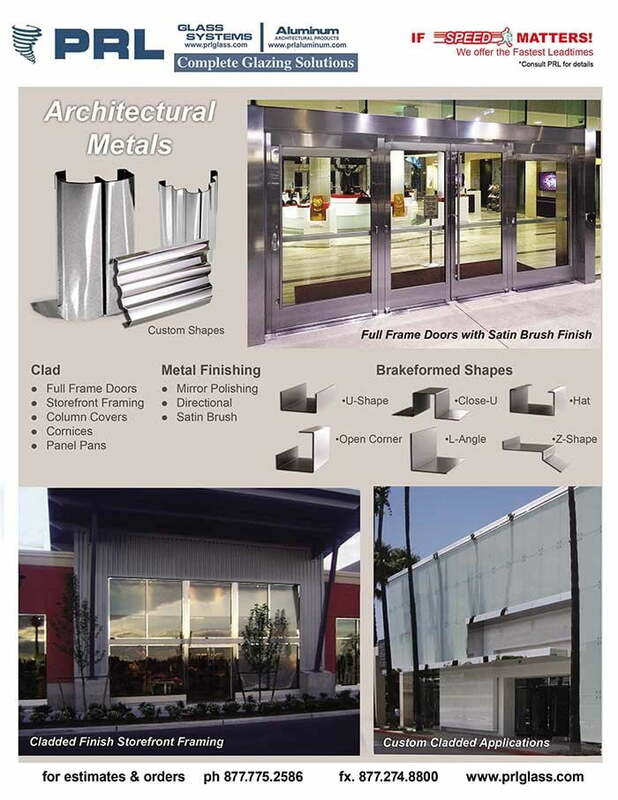 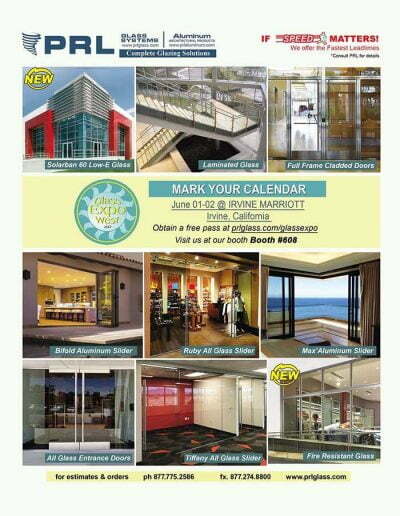 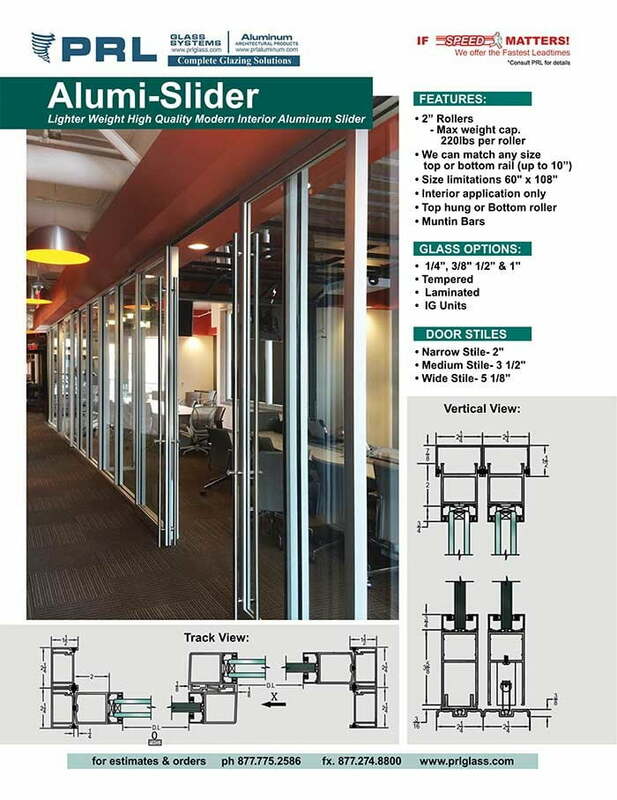 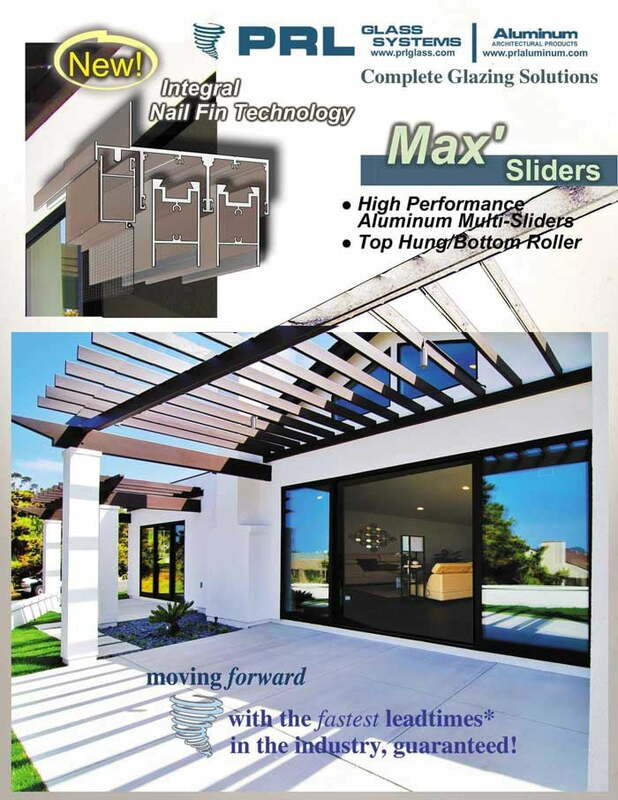 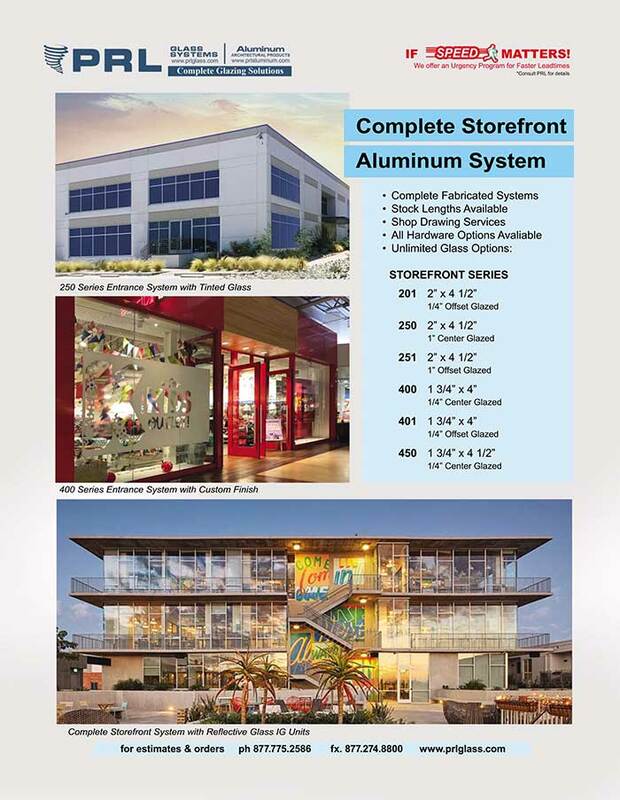 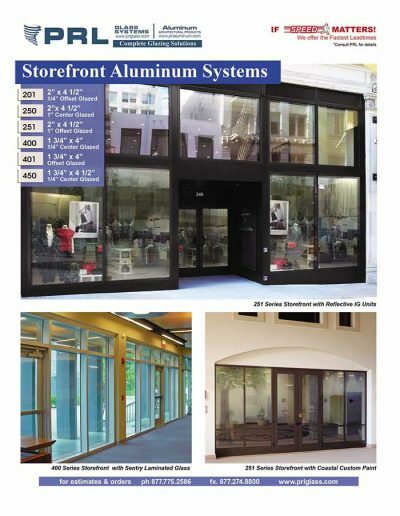 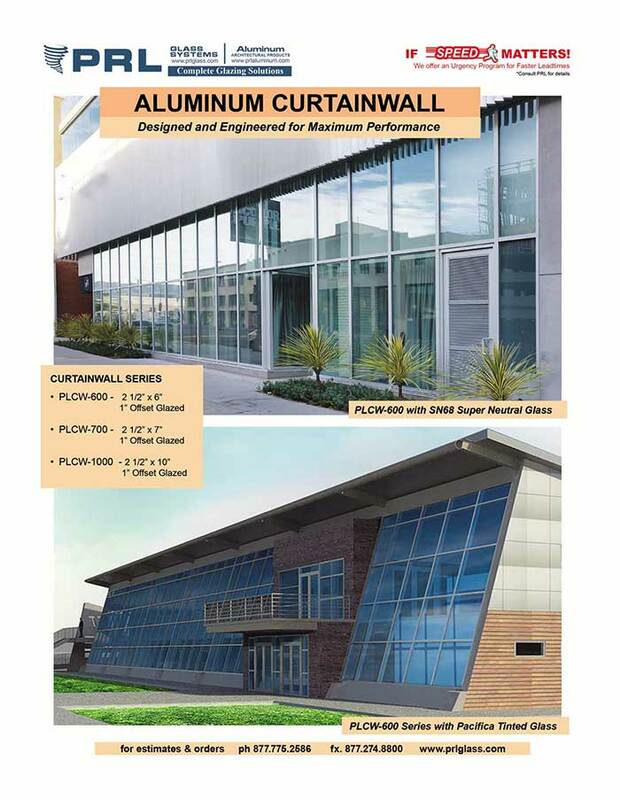 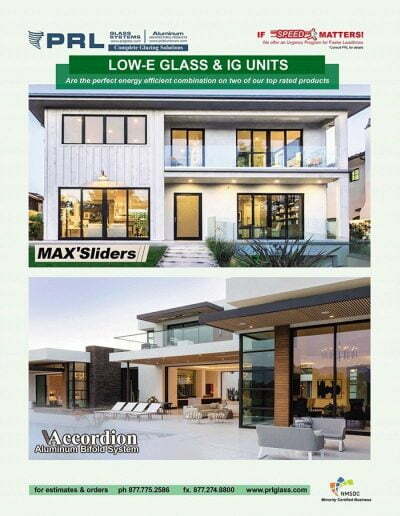 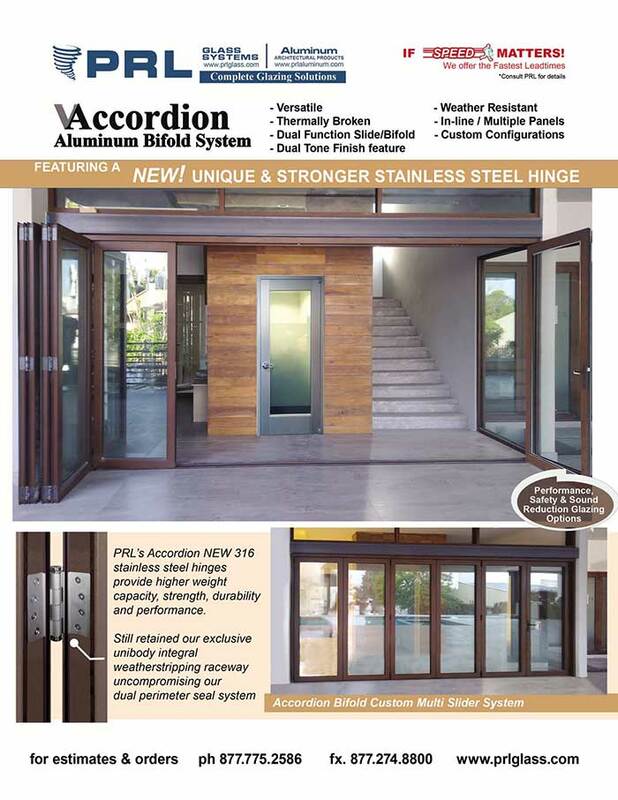 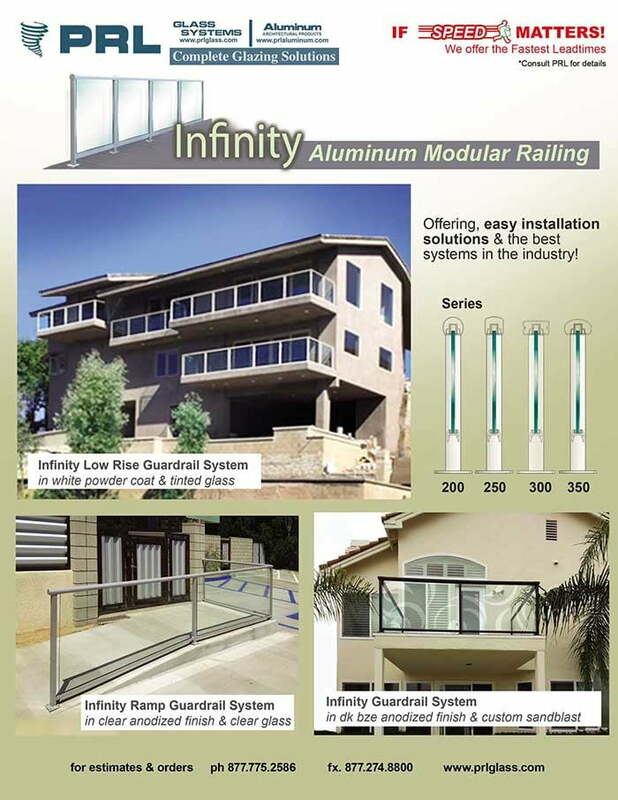 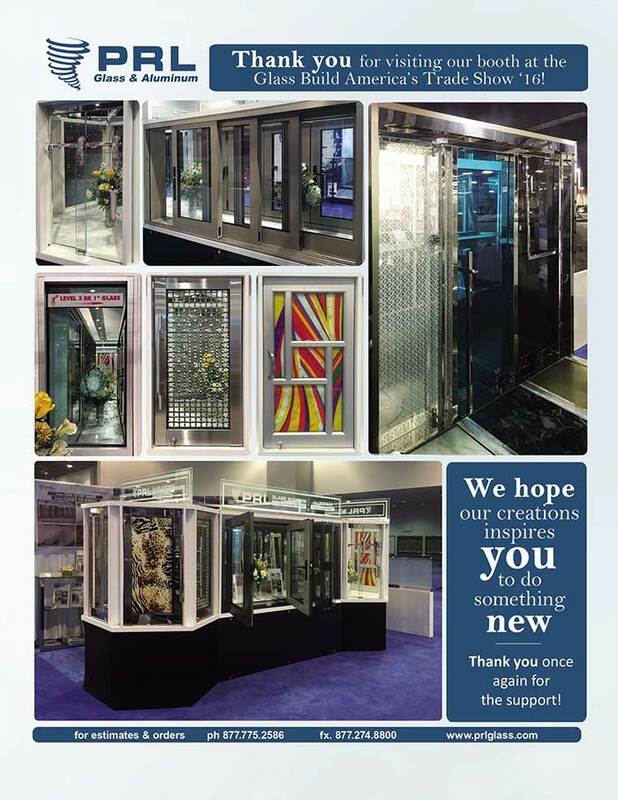 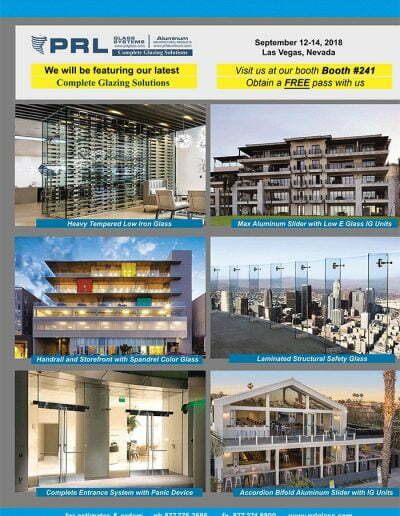 The ICD coating story began over twenty years ago with the invention of OPACI-COAT-300® , a coating that became a flat glass industry standard for spandrel applications; including exterior curtain wall and interior wall cladding applications. 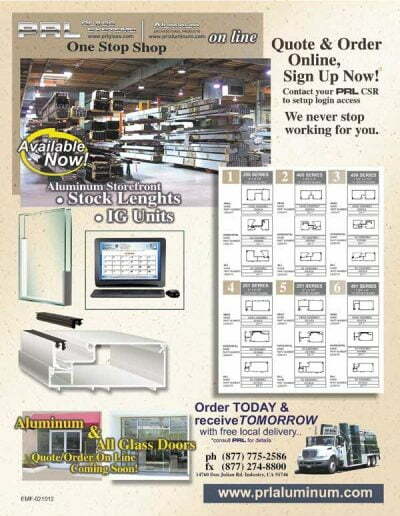 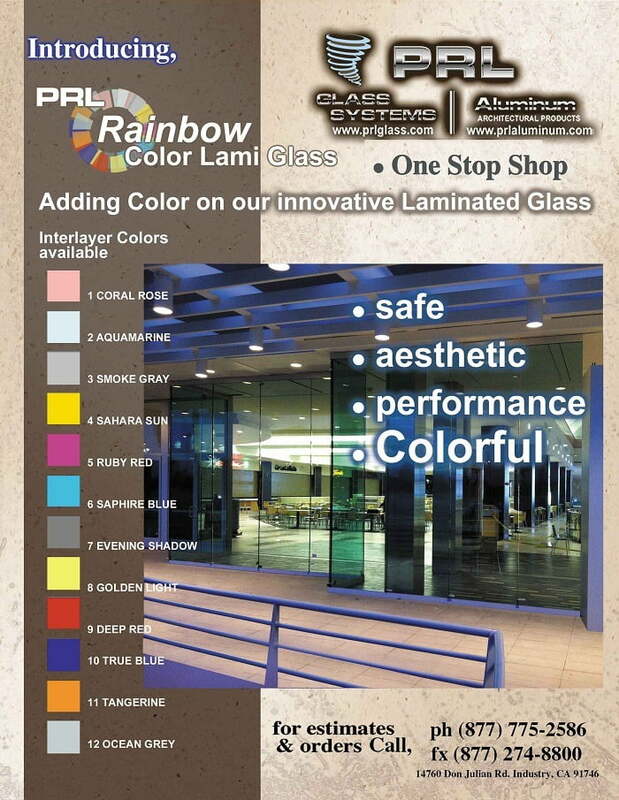 We carry some standard colors in stock and available to produce product within a few days from your order date. 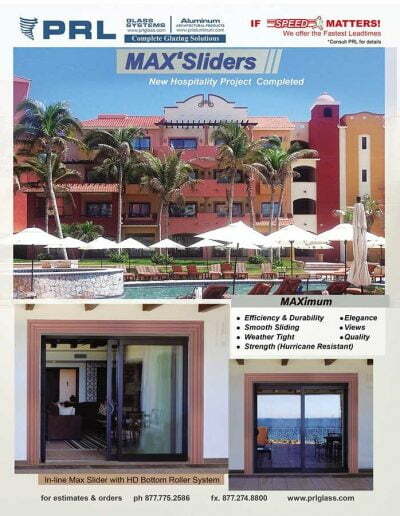 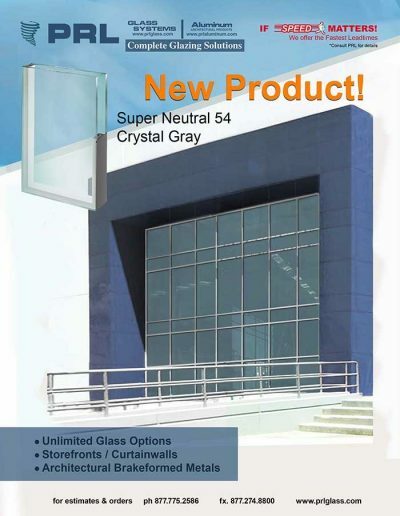 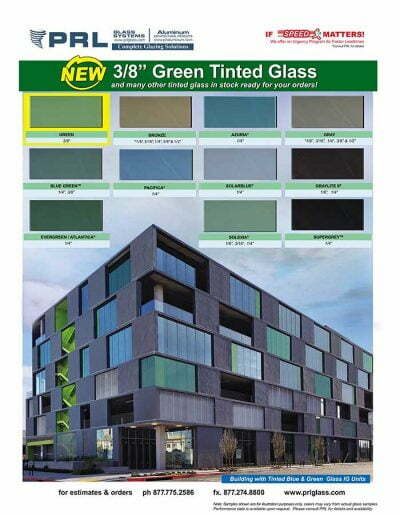 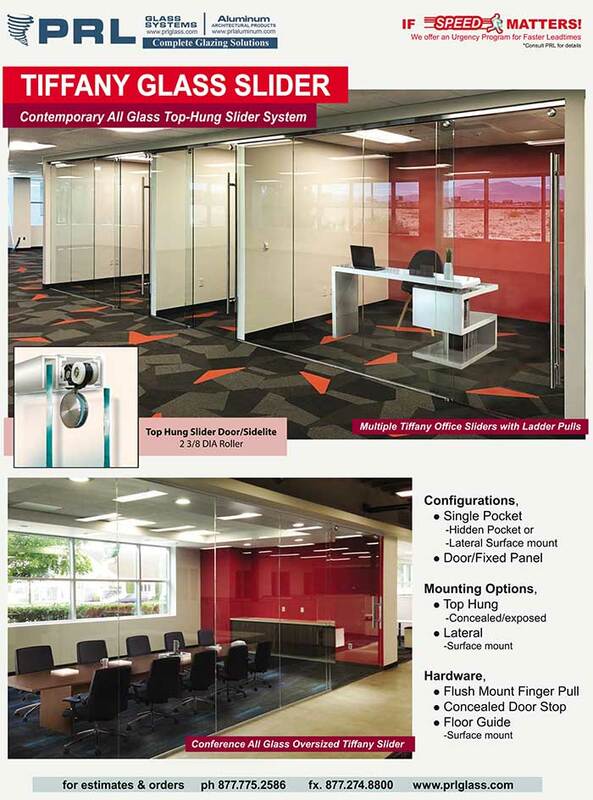 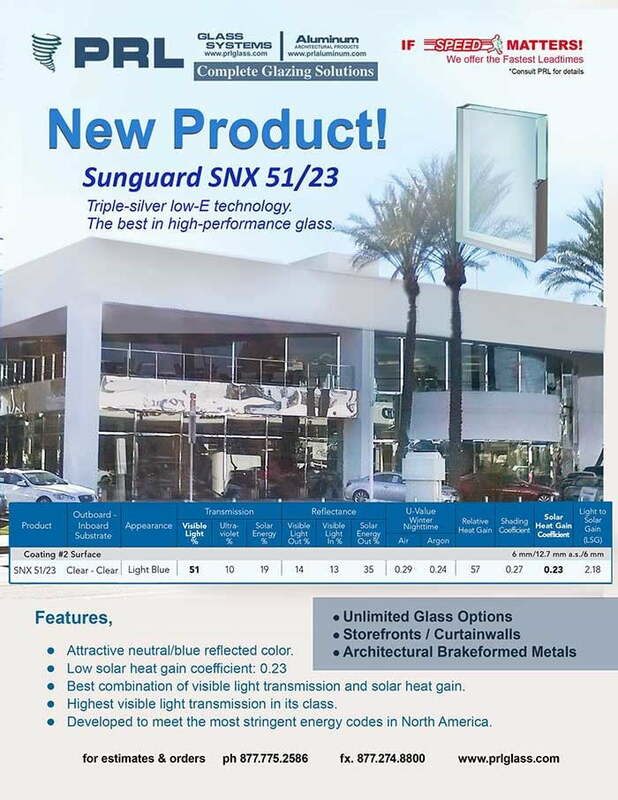 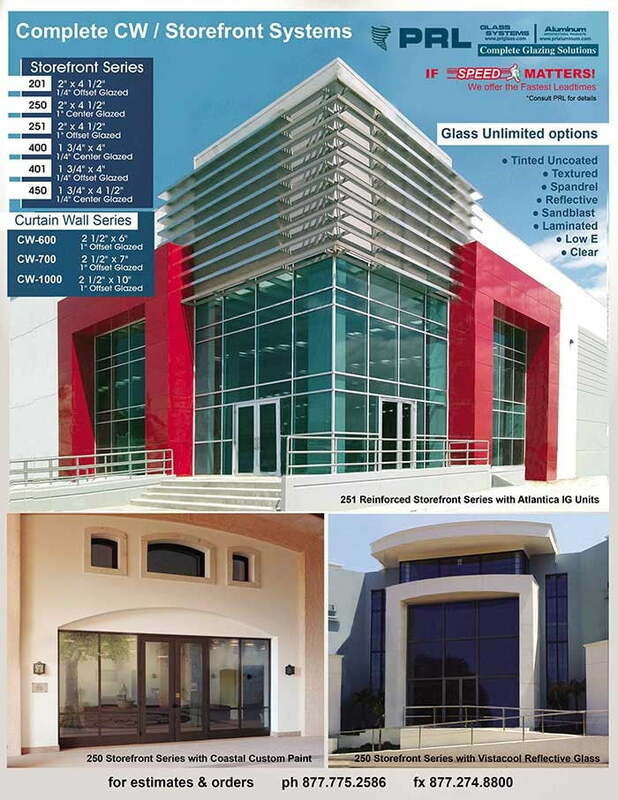 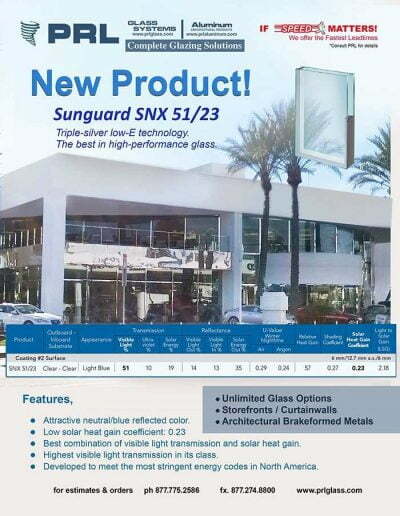 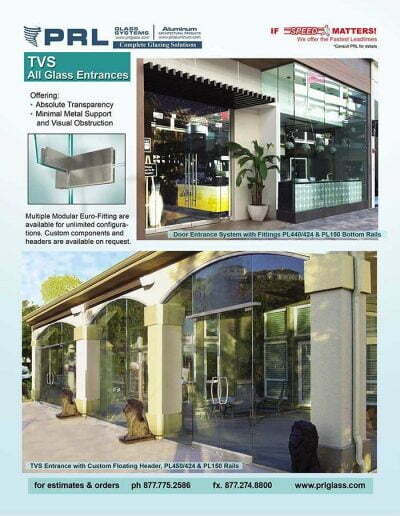 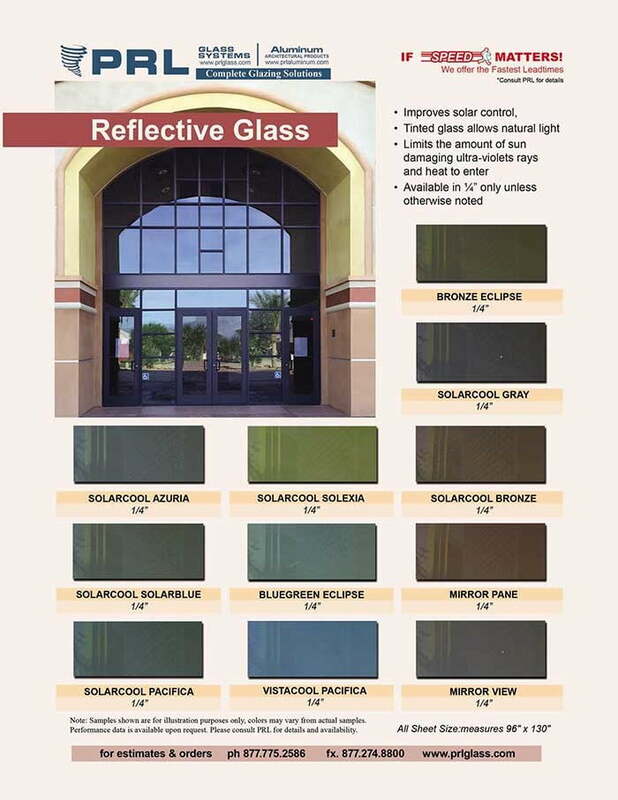 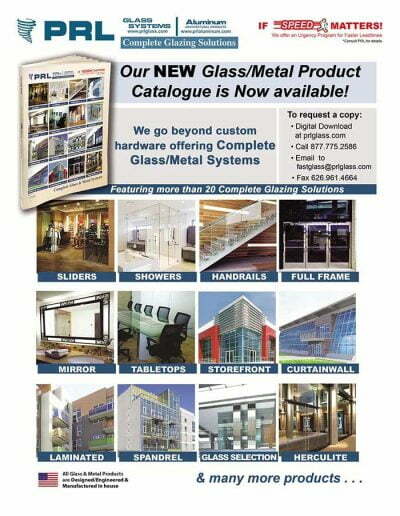 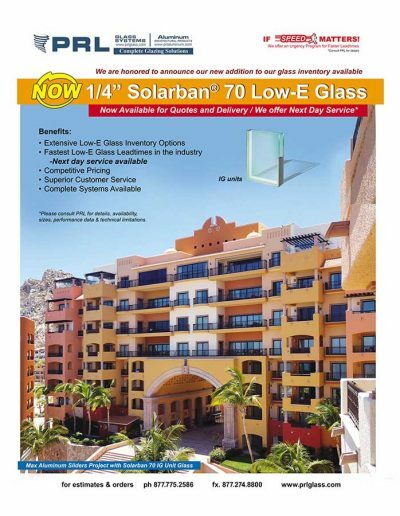 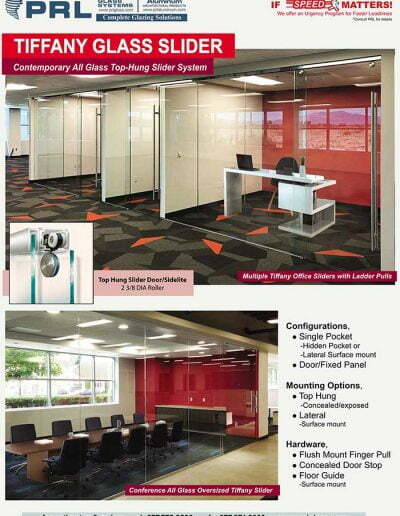 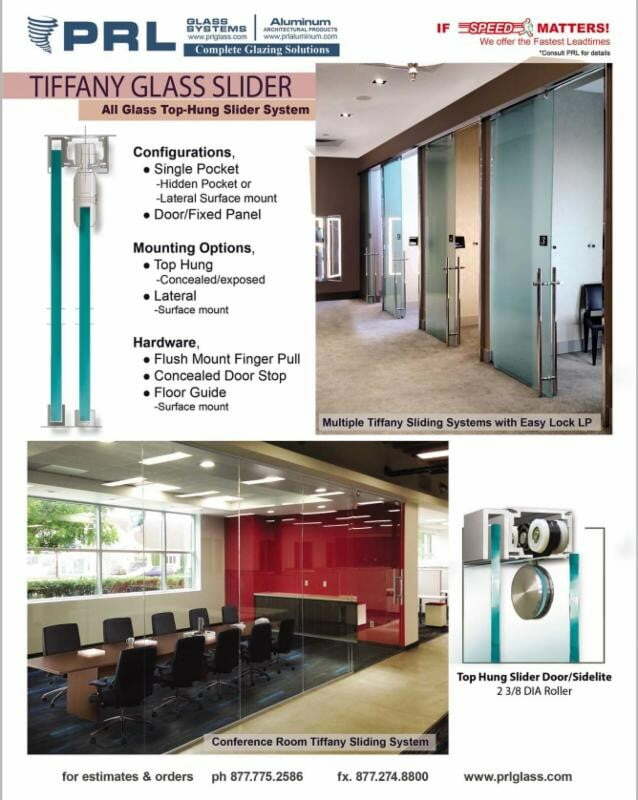 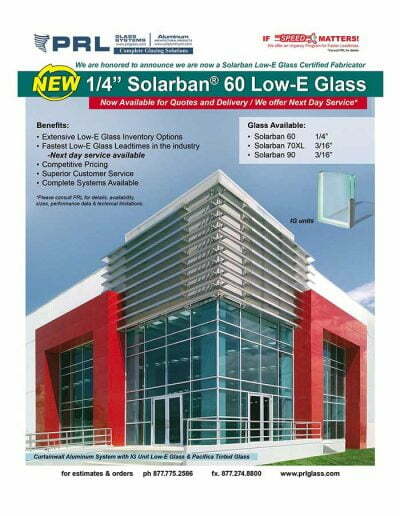 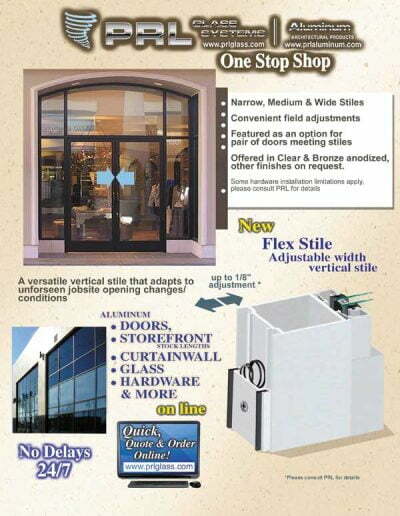 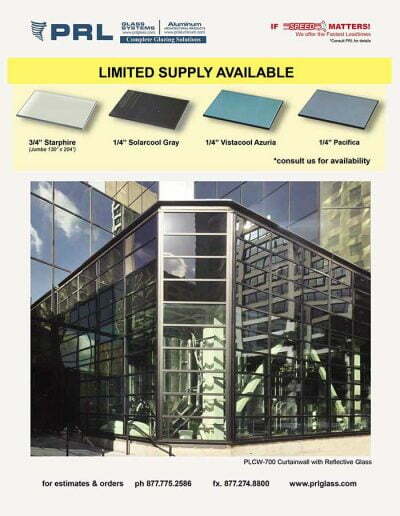 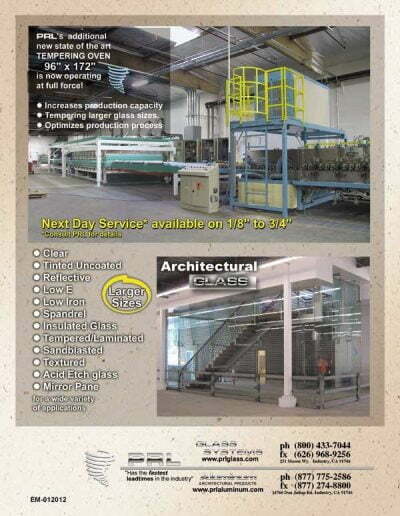 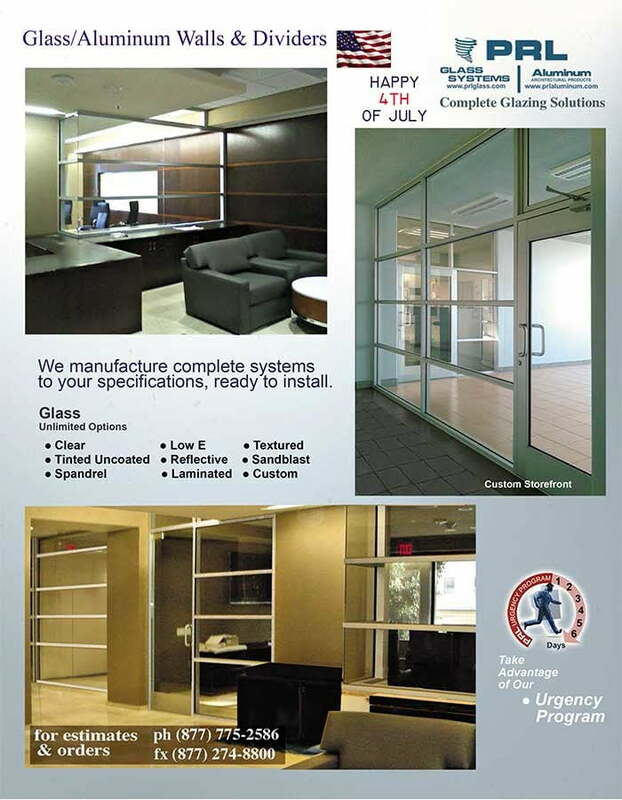 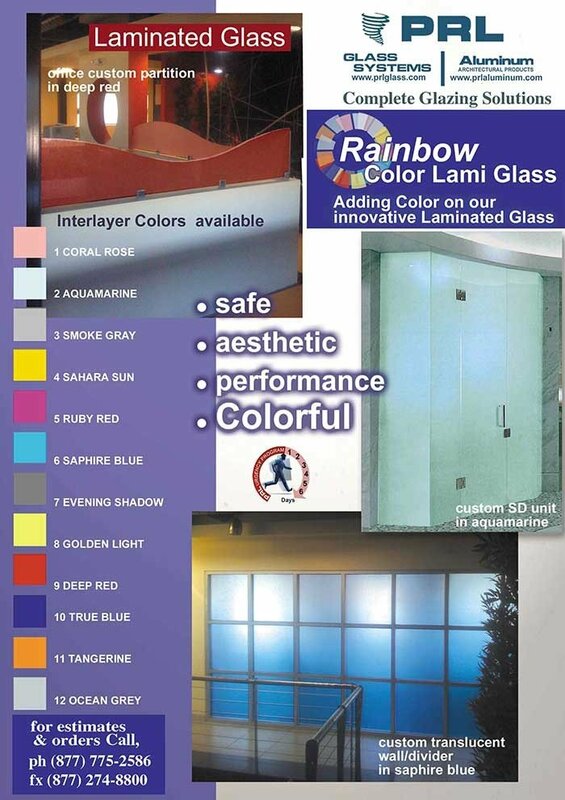 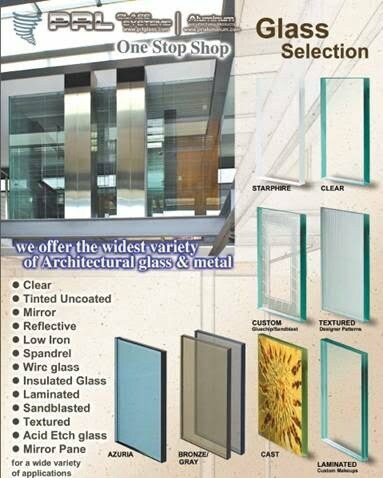 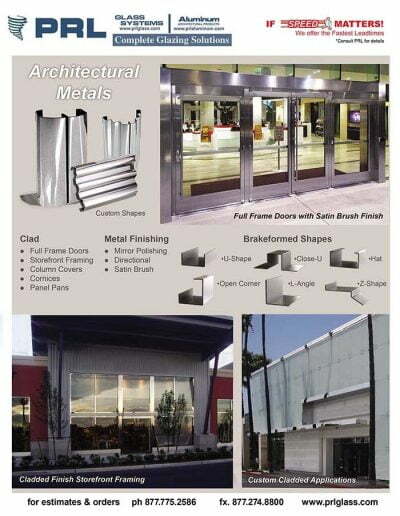 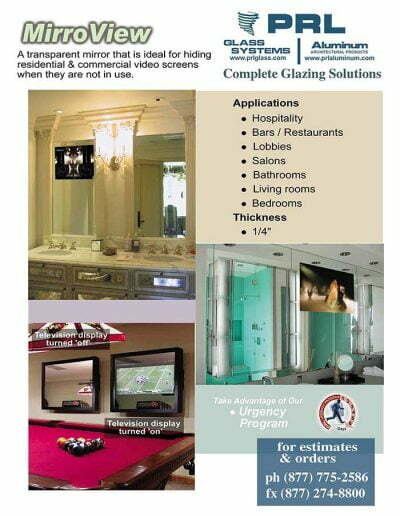 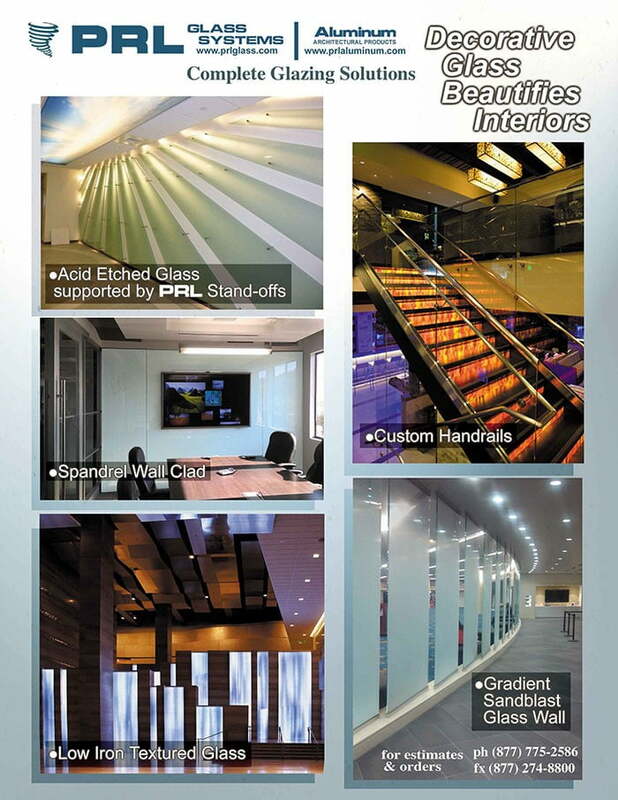 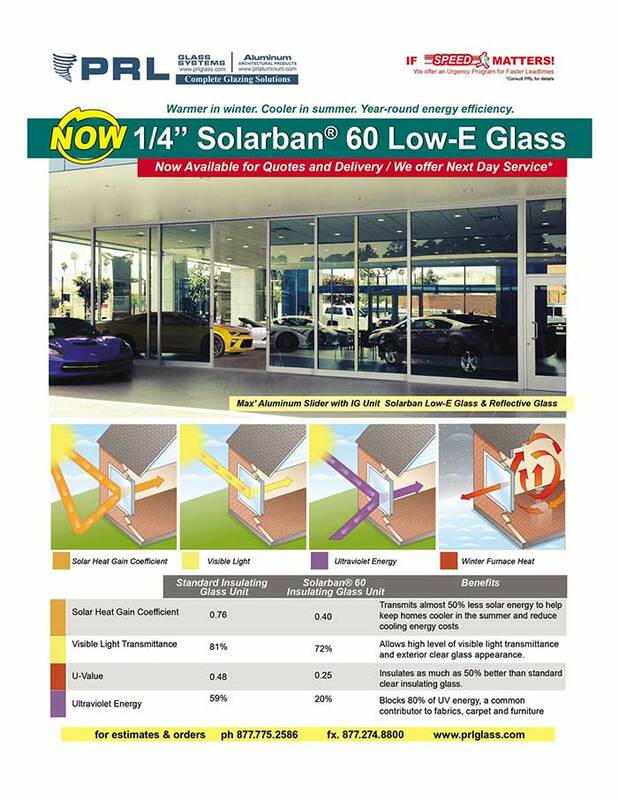 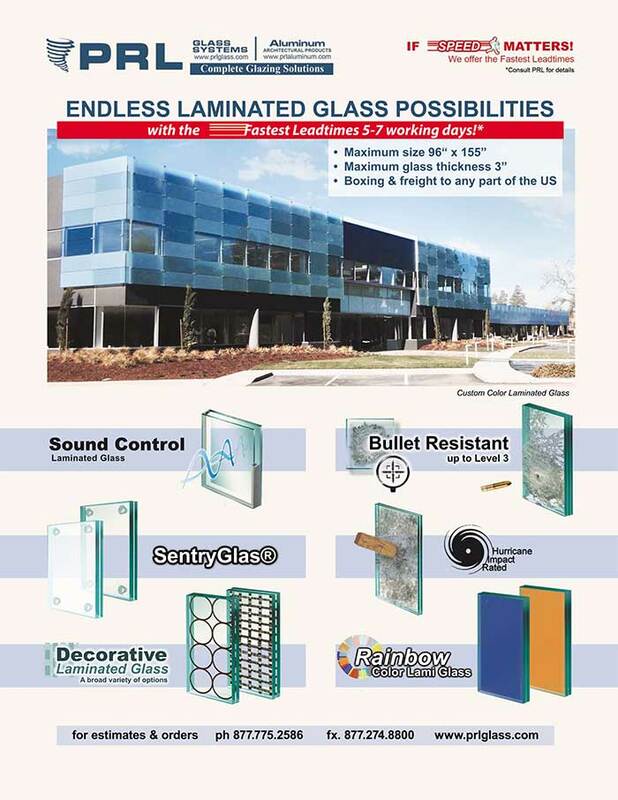 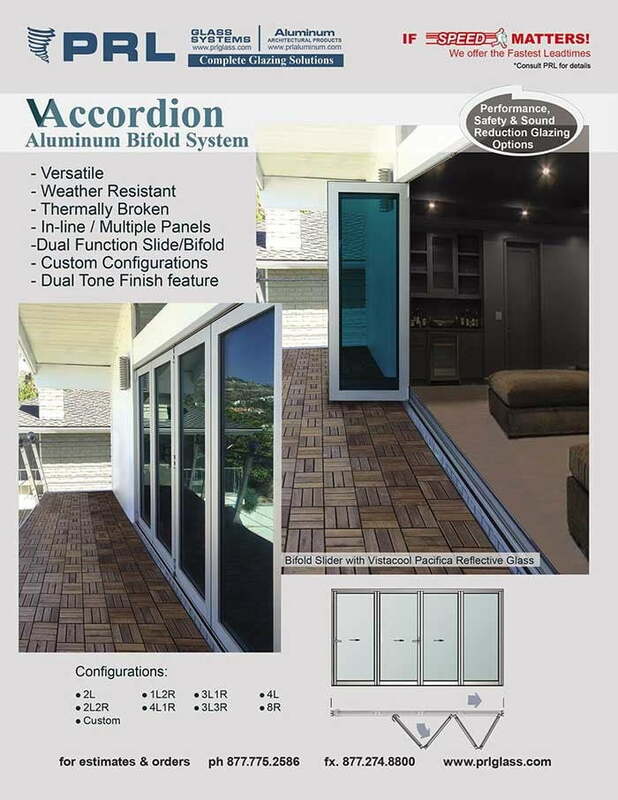 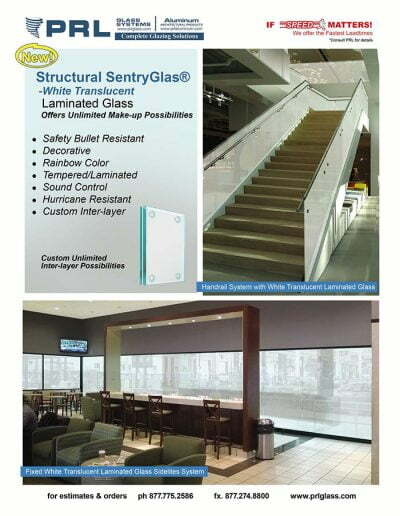 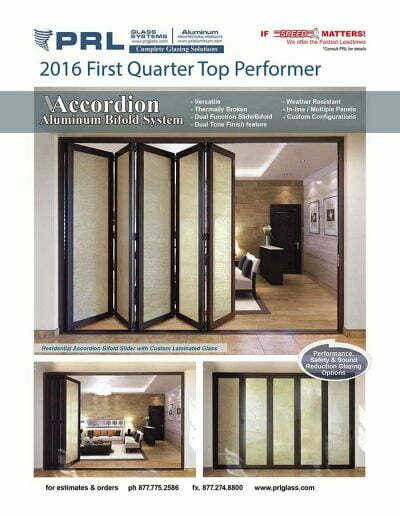 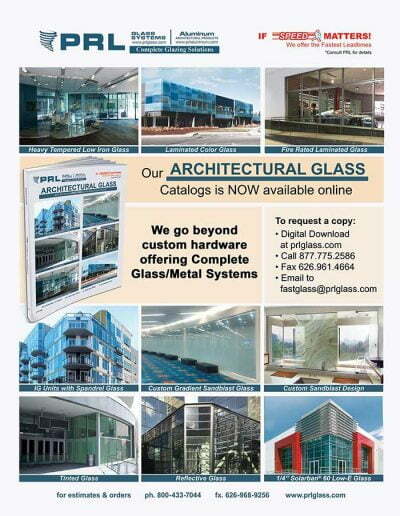 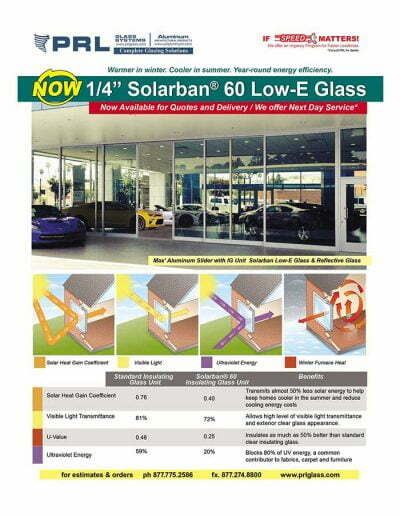 The spandrel advanced technology gives us the ability to color match any color you require for you glass wall clad. 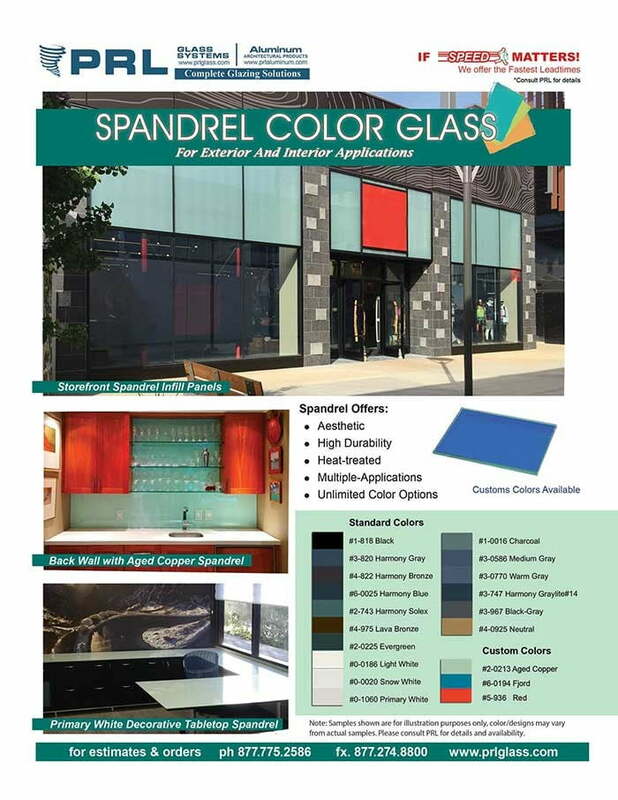 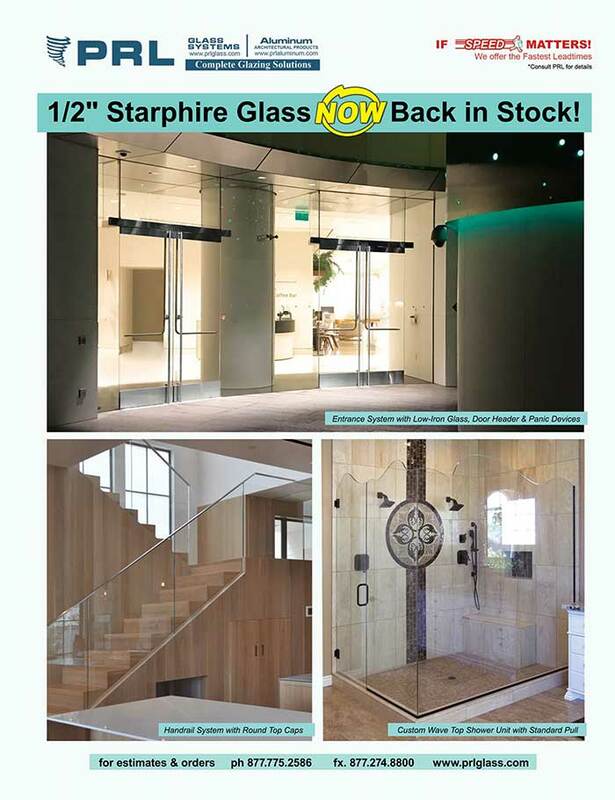 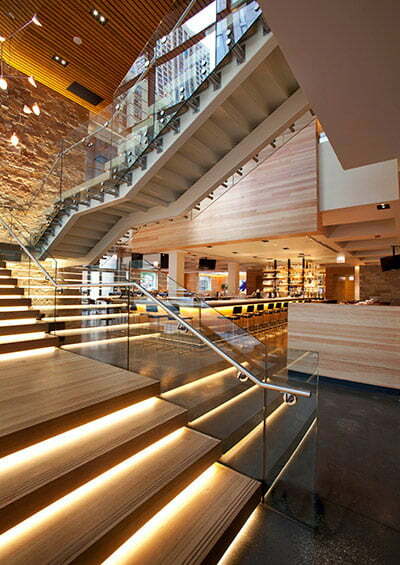 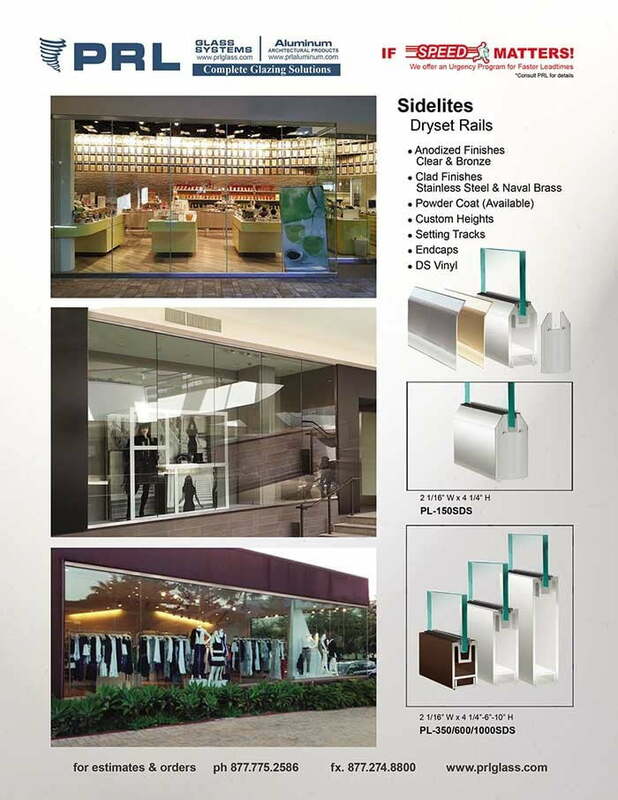 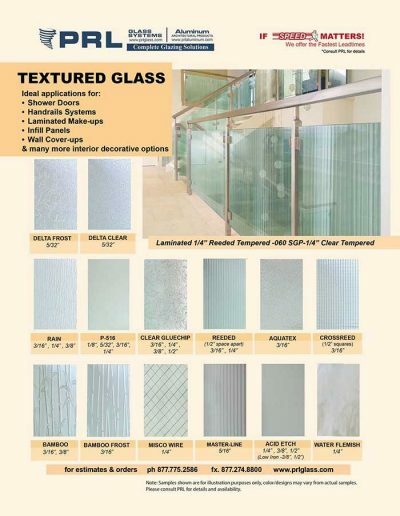 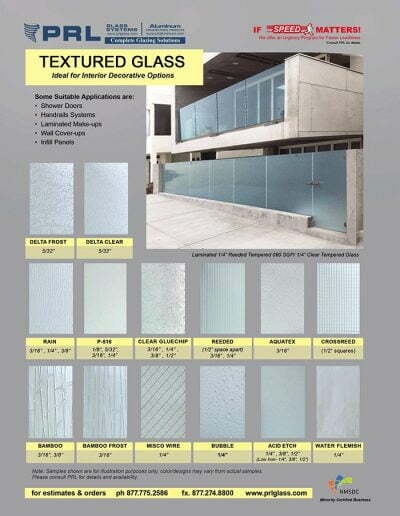 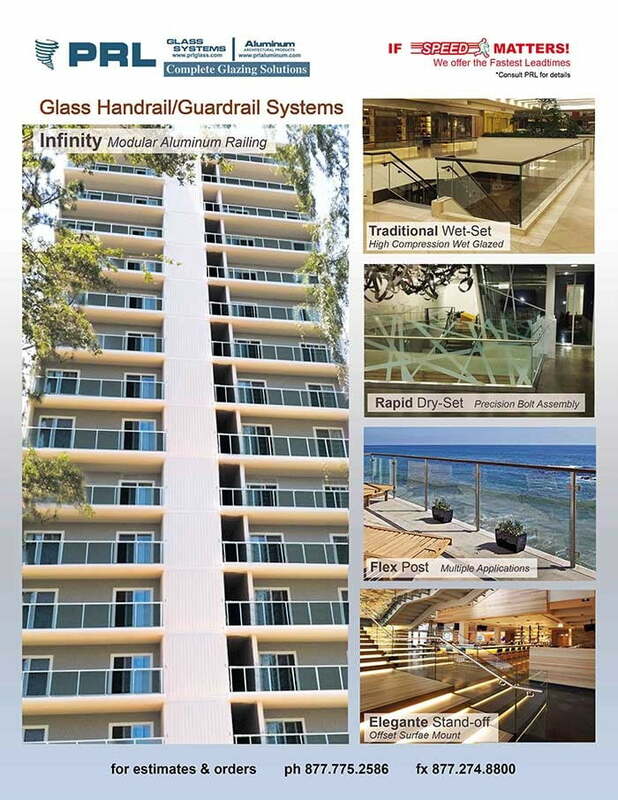 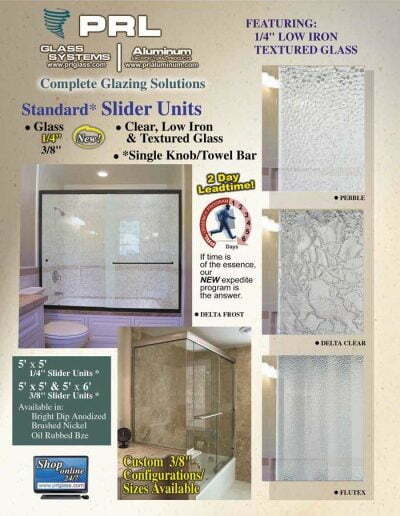 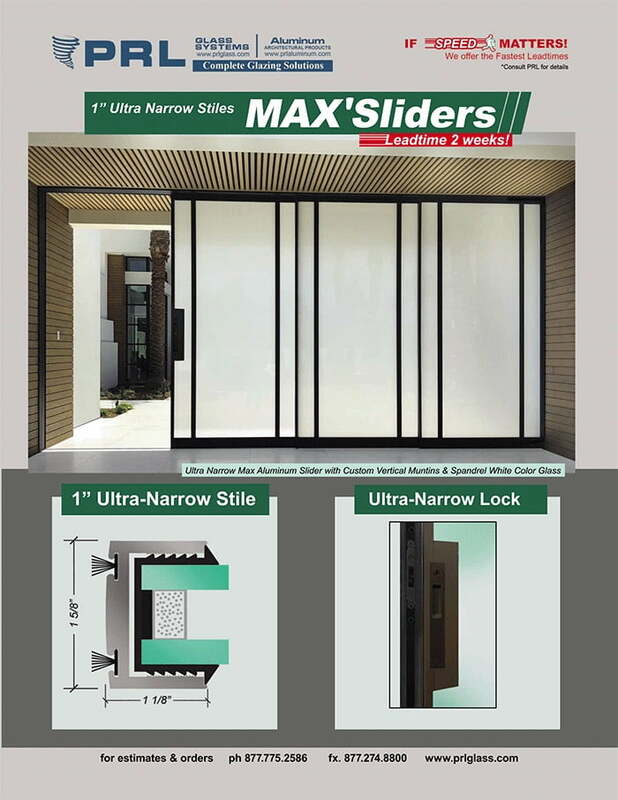 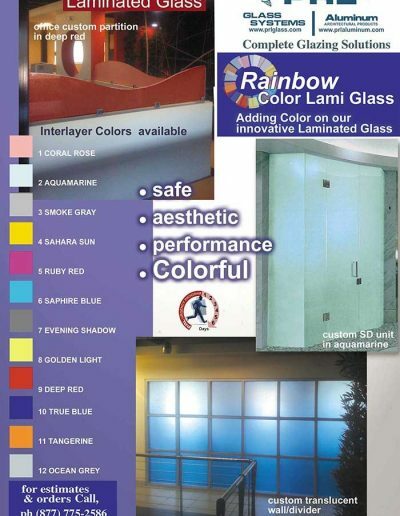 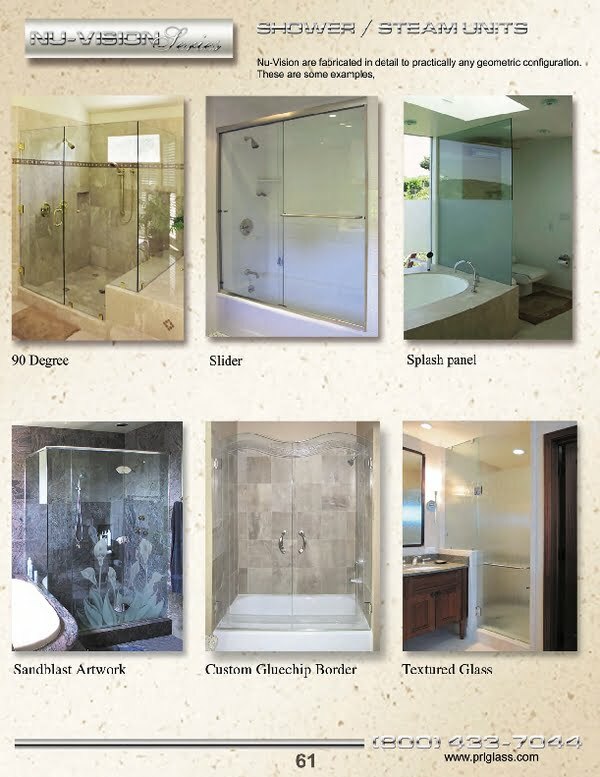 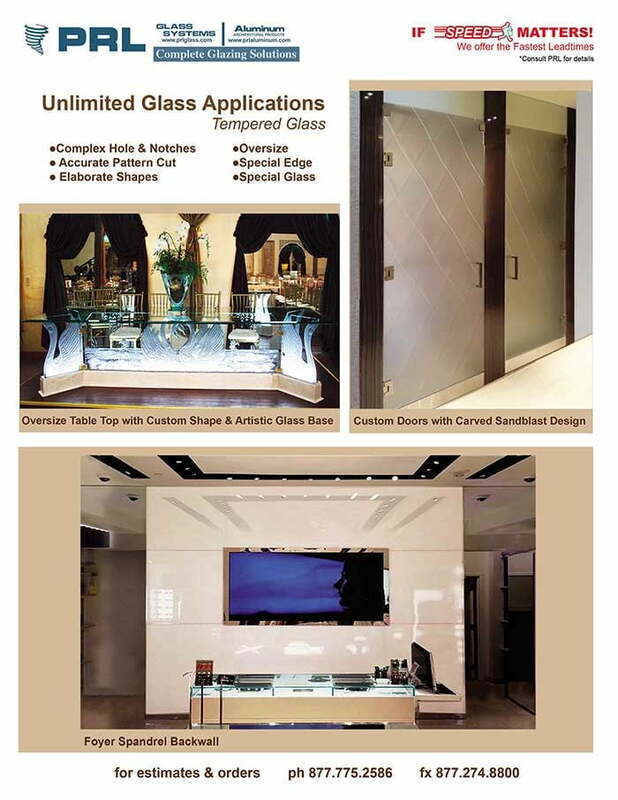 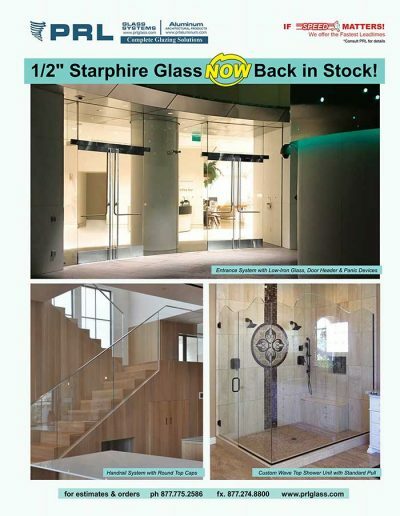 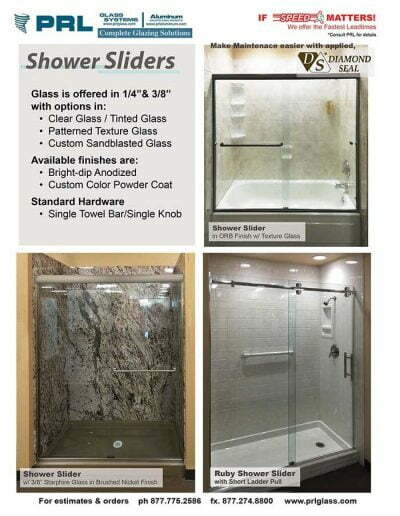 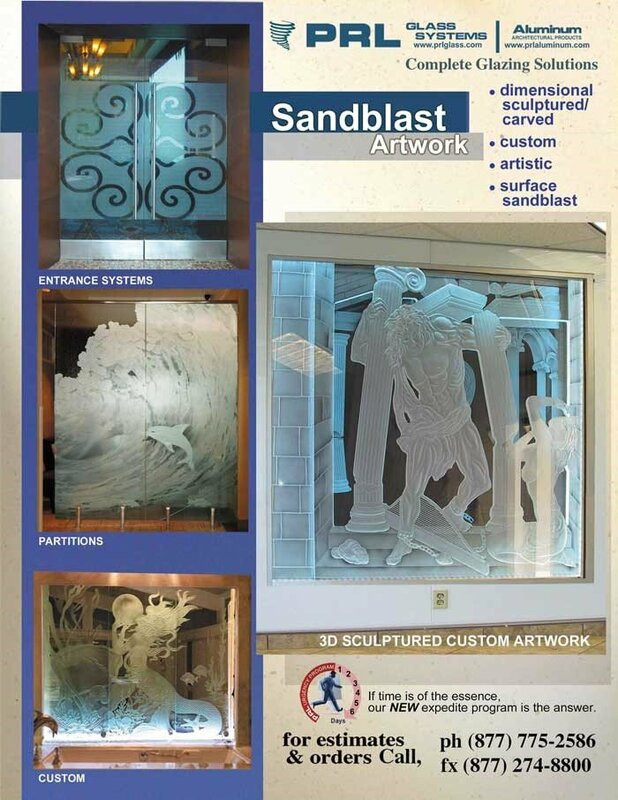 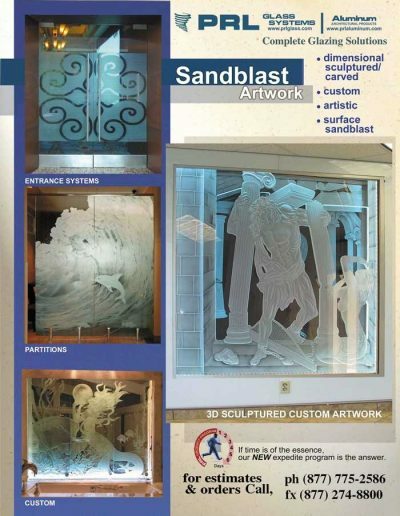 Spandrel glass is an ideal application for interior wall clad in residences and commercial bath and kitchens, hotels, restaurant, galleries, and hospitals. 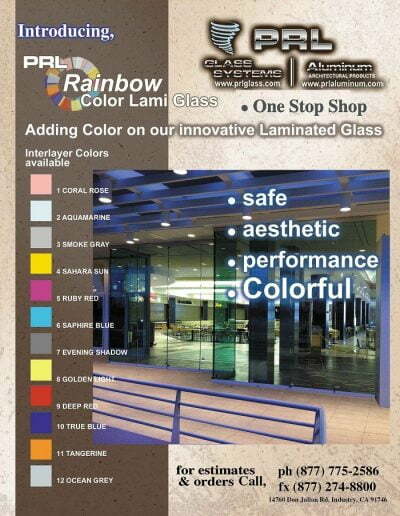 Matching is computerized and exact with a color spectrophotometer. 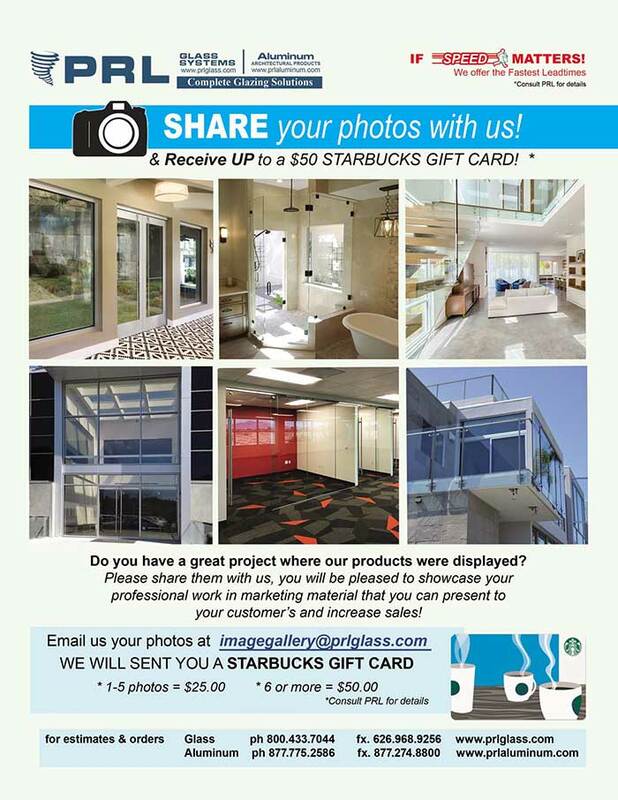 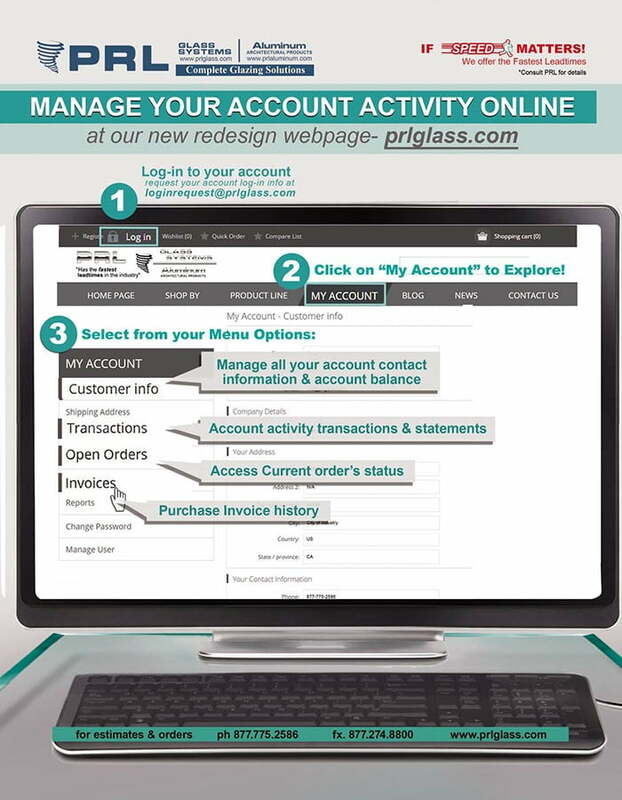 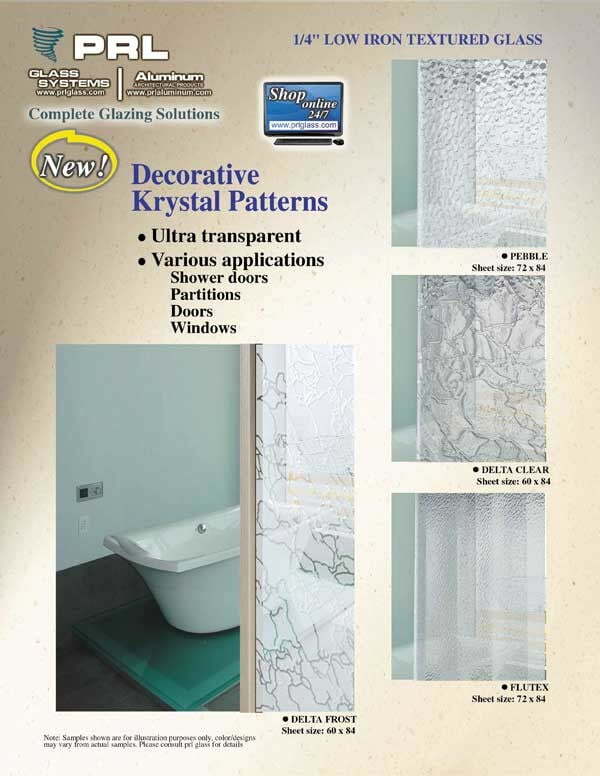 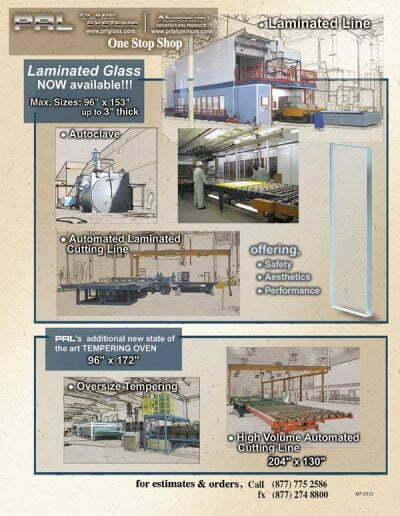 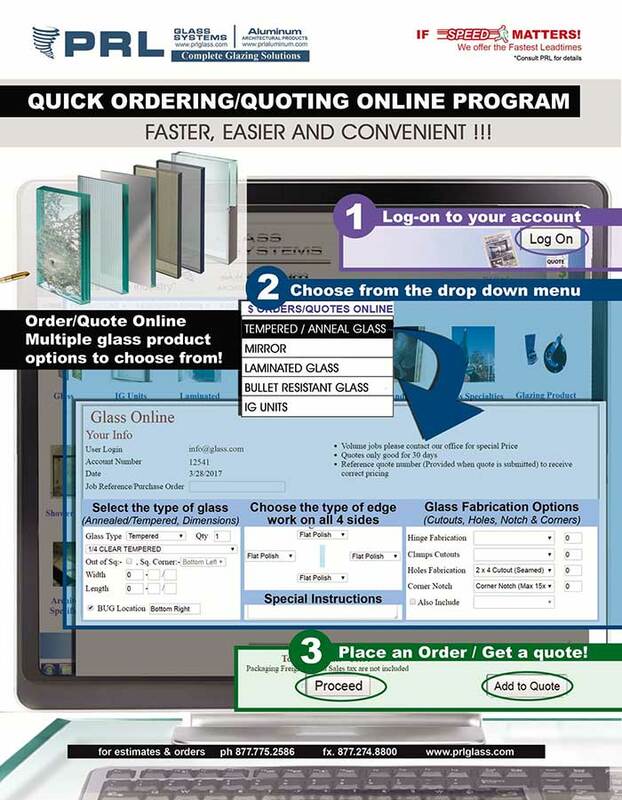 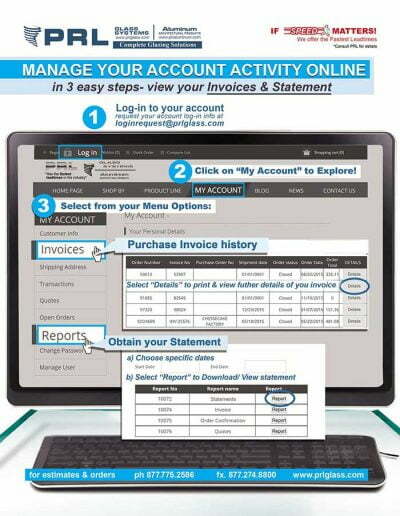 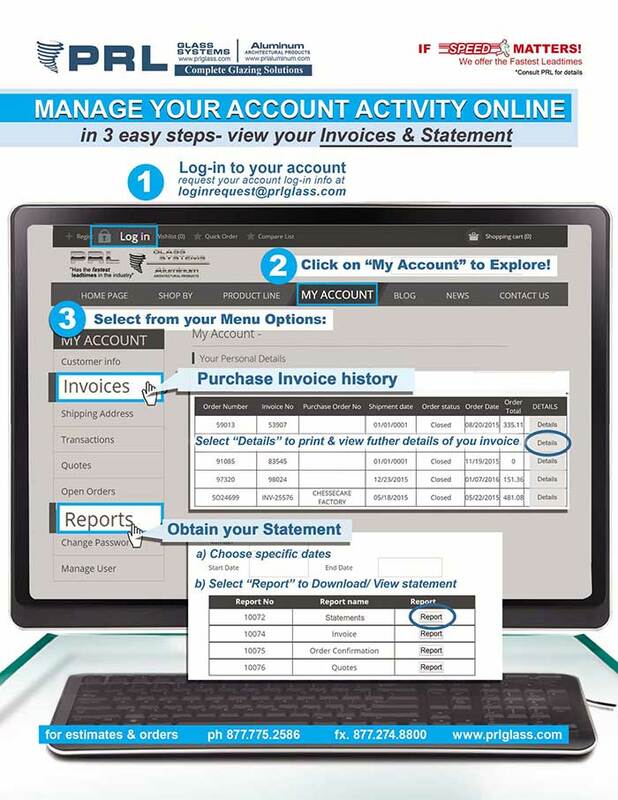 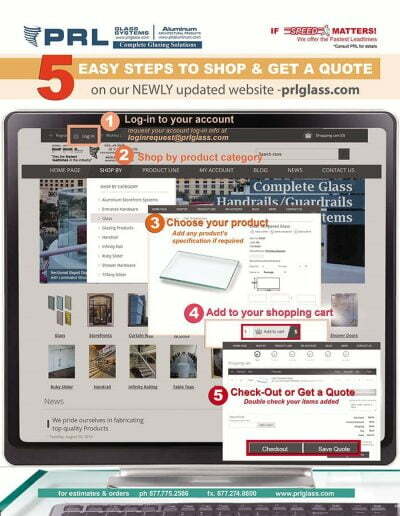 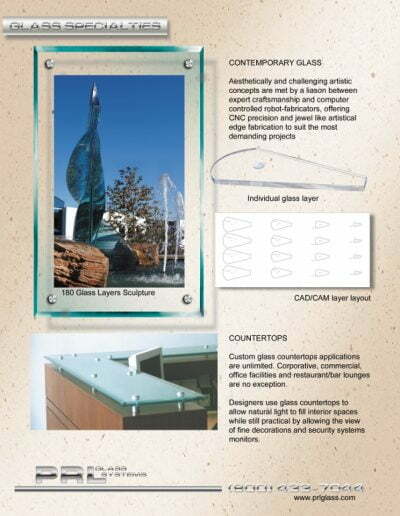 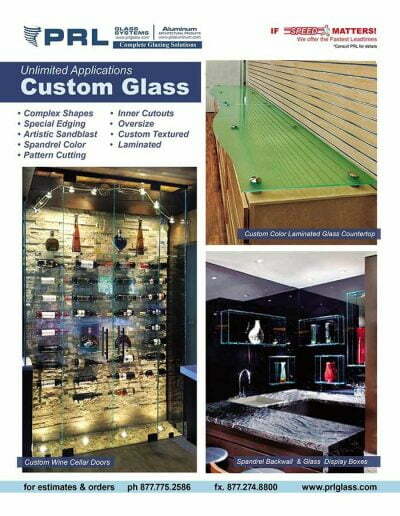 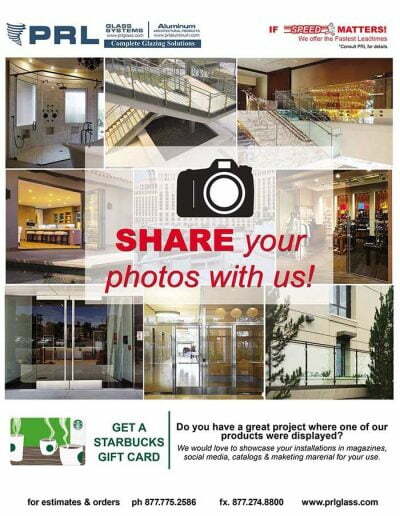 Meticulously duplicated color samples on any glass substrate can be returned to owners or clients within days. Matching on any reflective or high performance product (sputter or pyrolytic) is possible without guesswork regarding the final outcome. 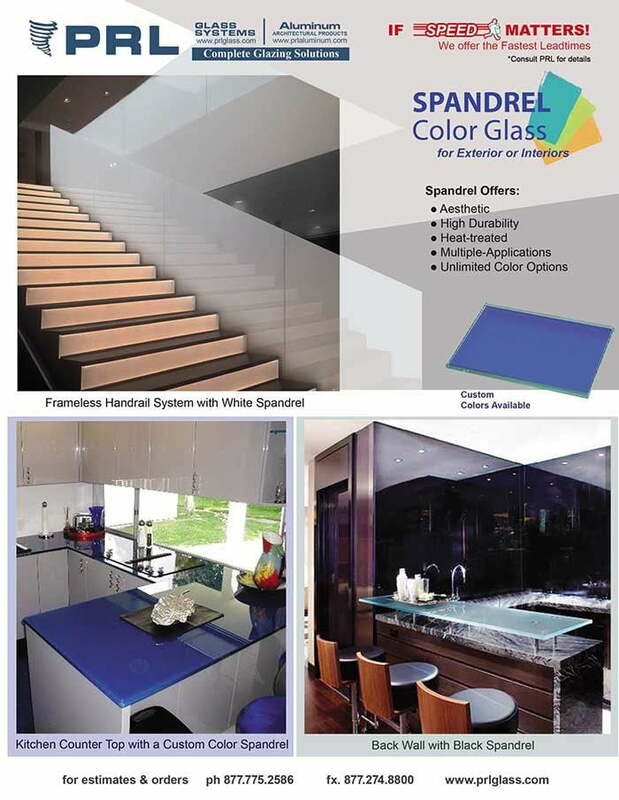 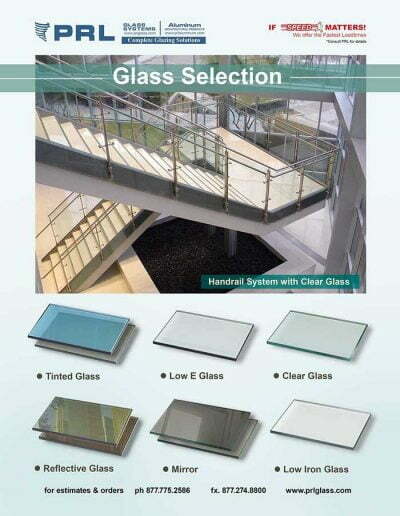 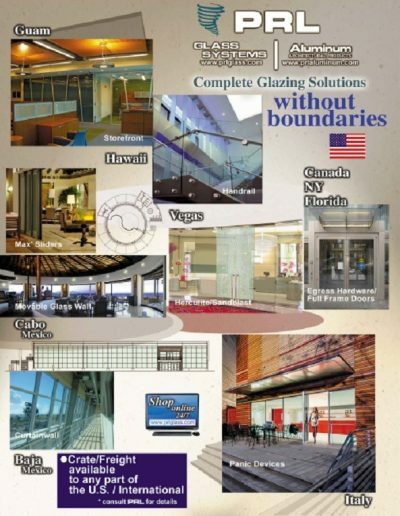 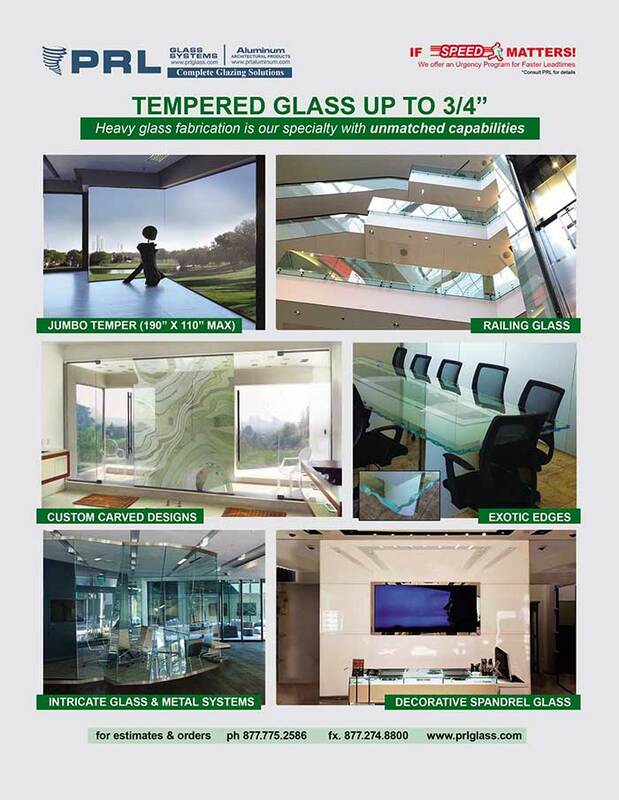 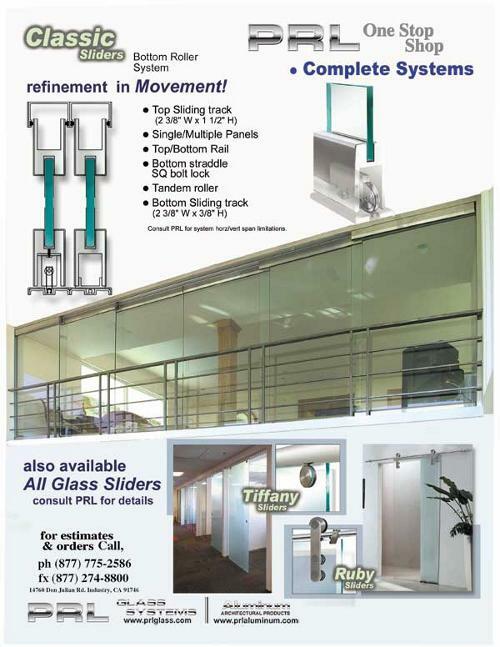 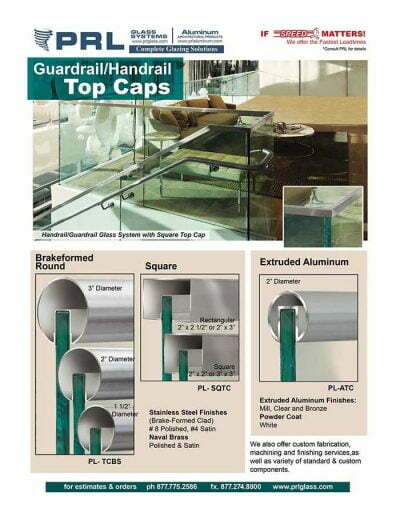 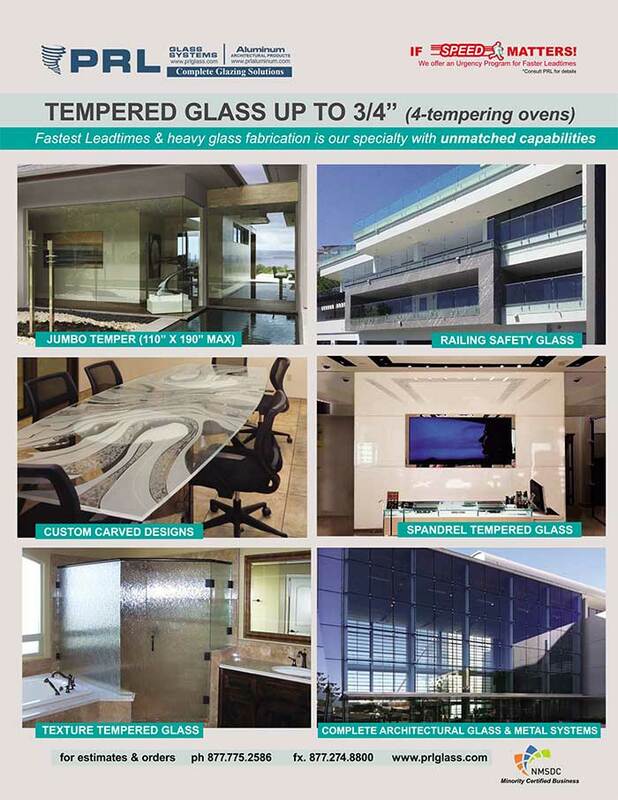 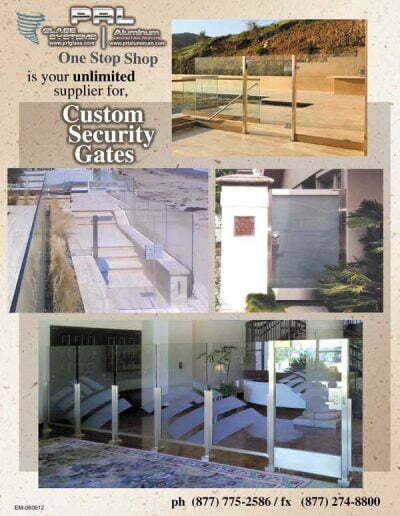 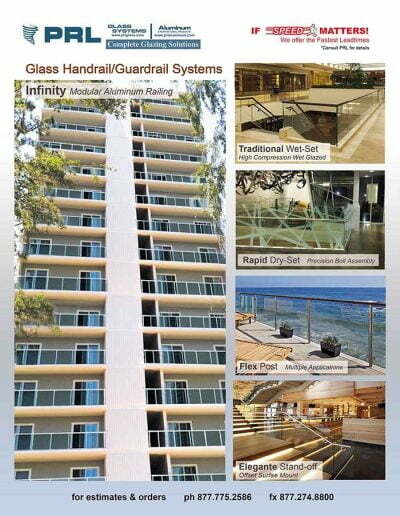 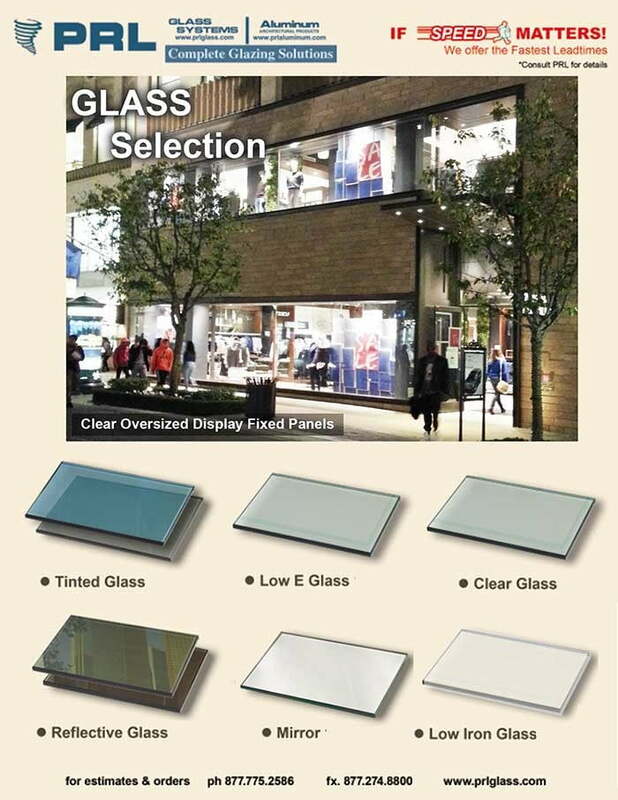 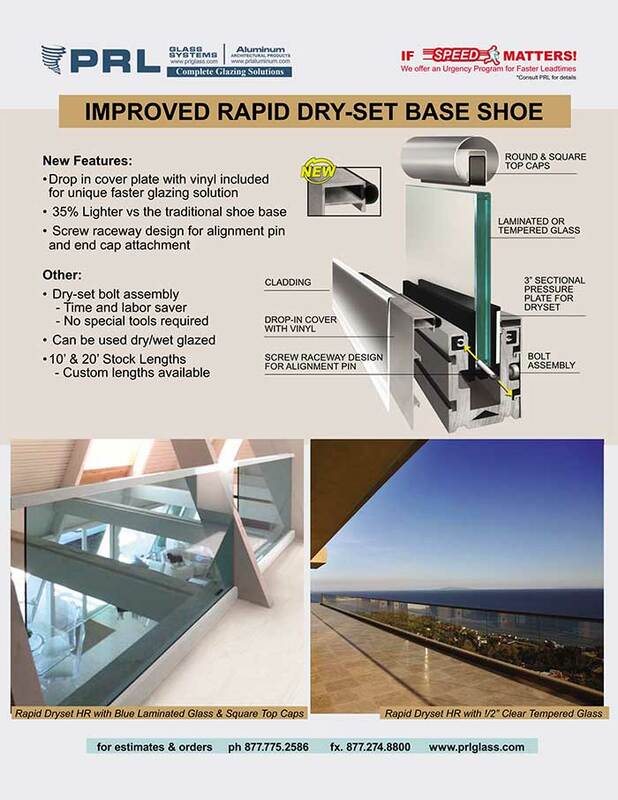 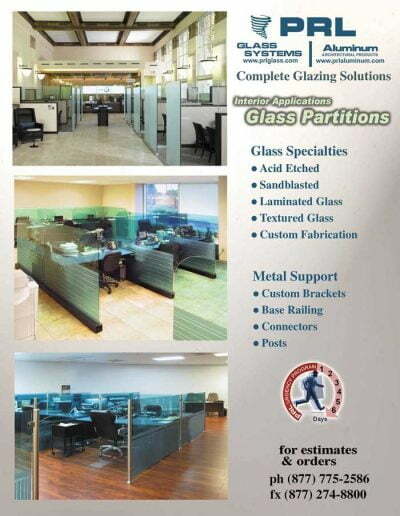 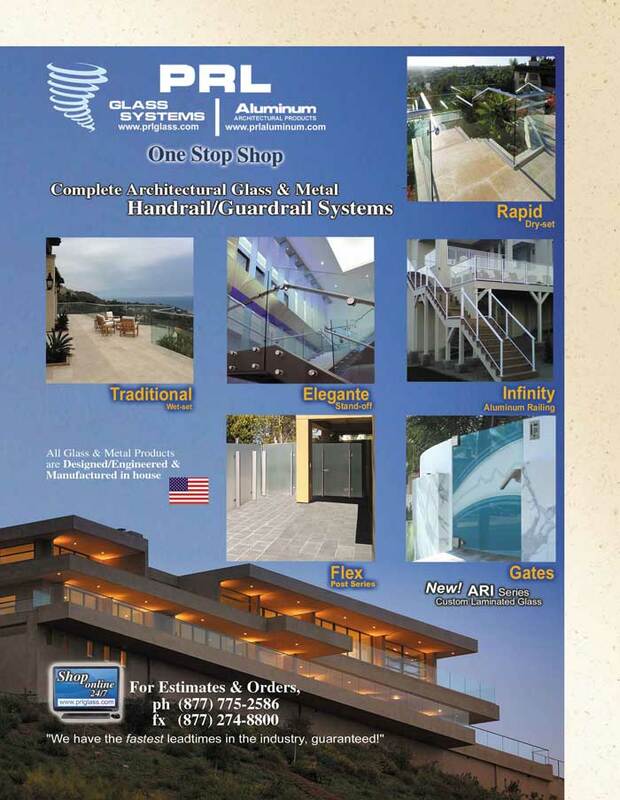 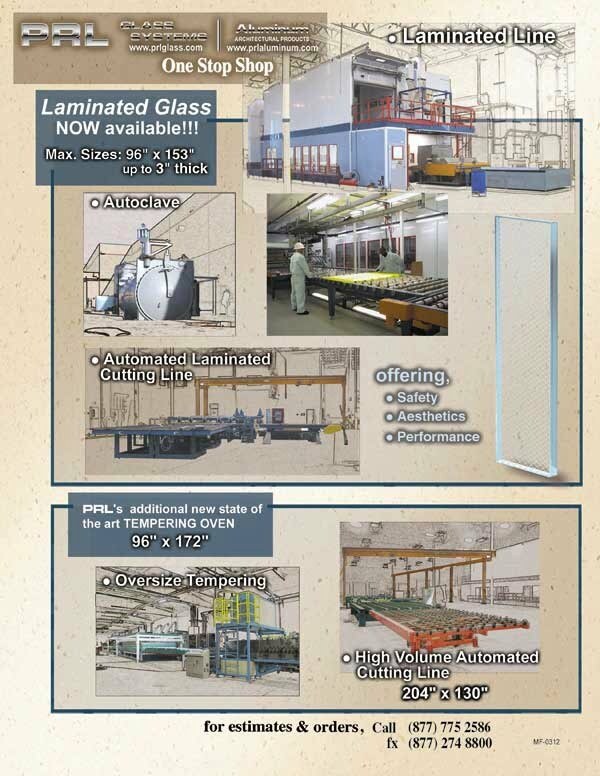 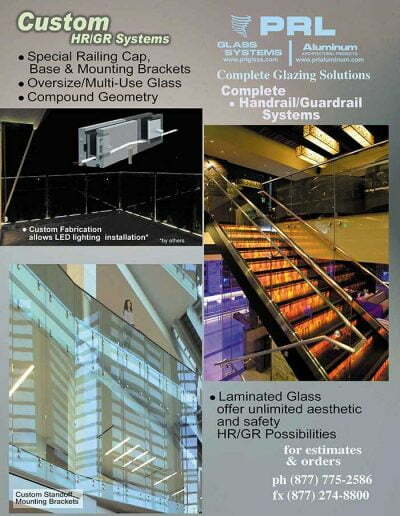 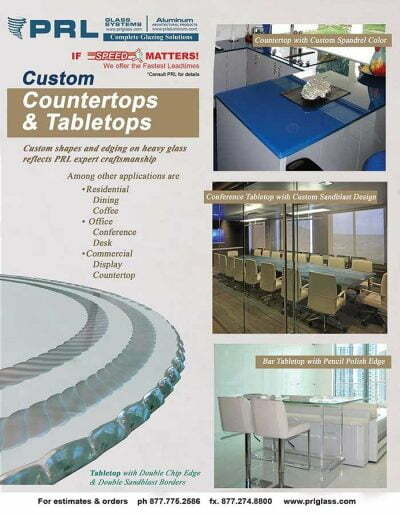 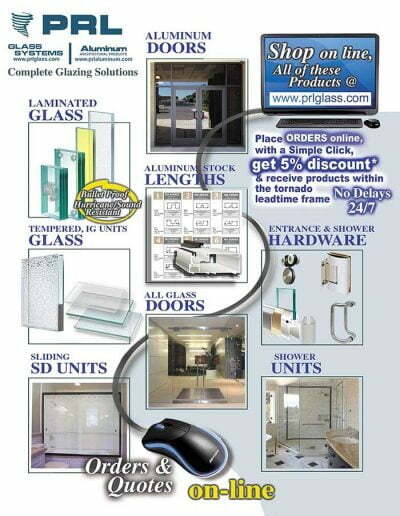 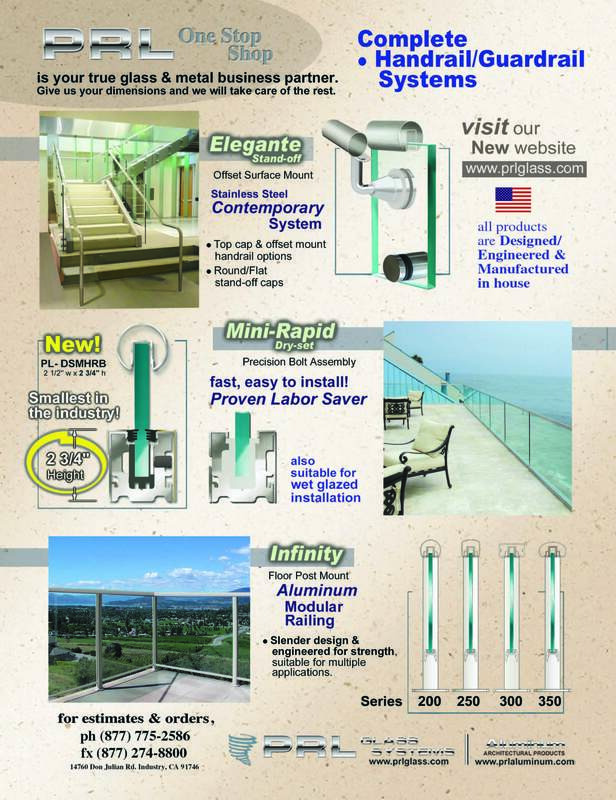 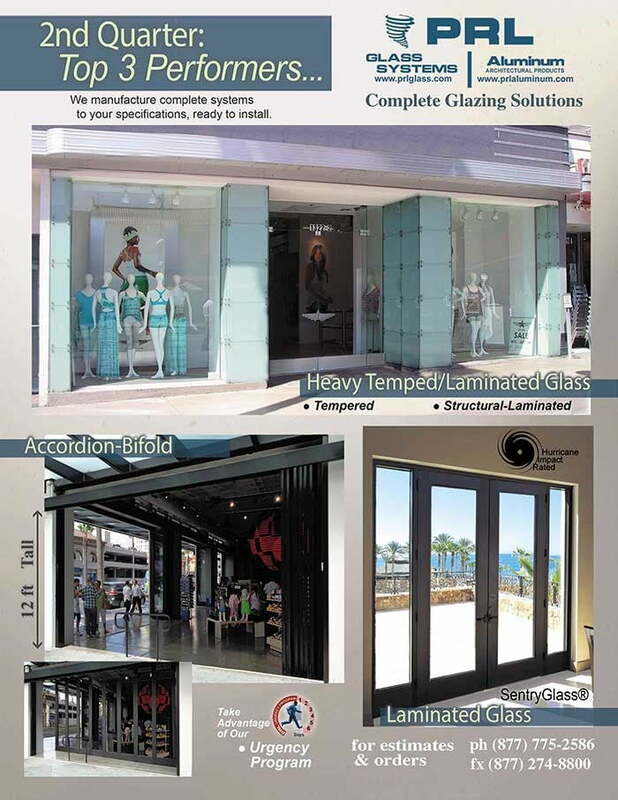 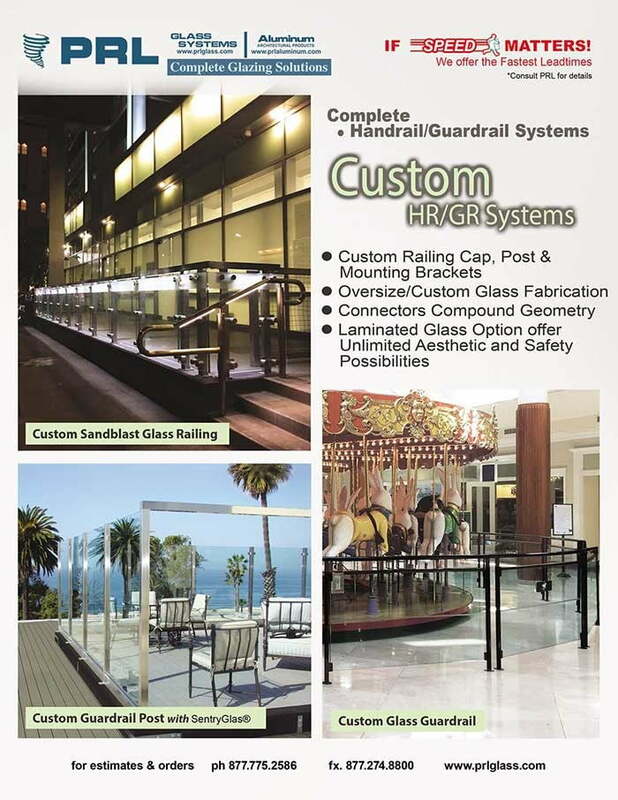 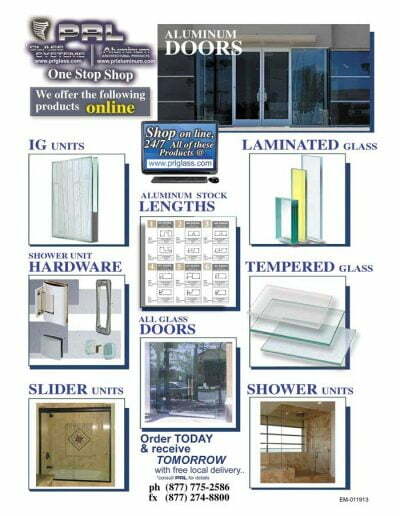 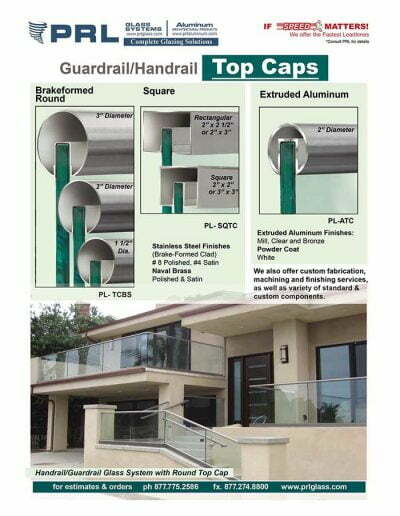 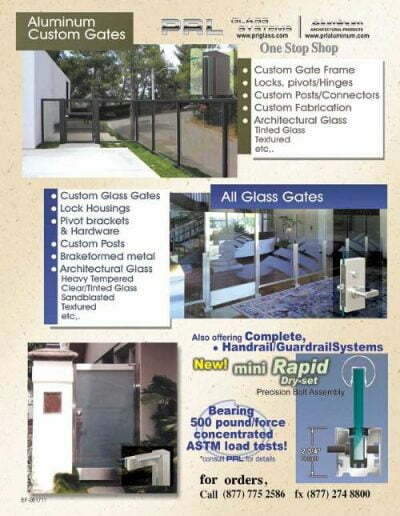 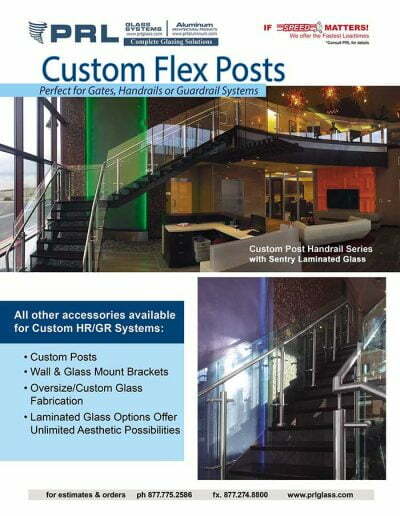 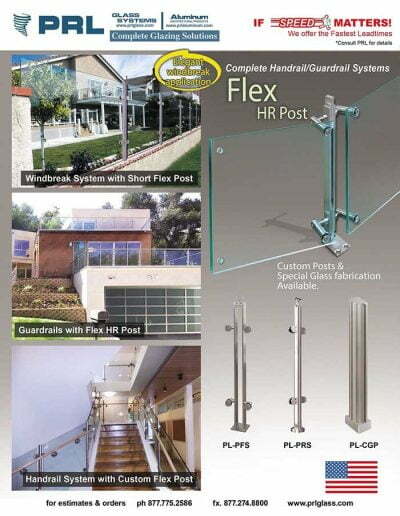 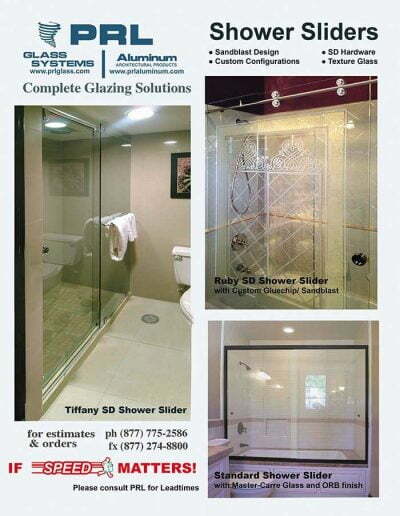 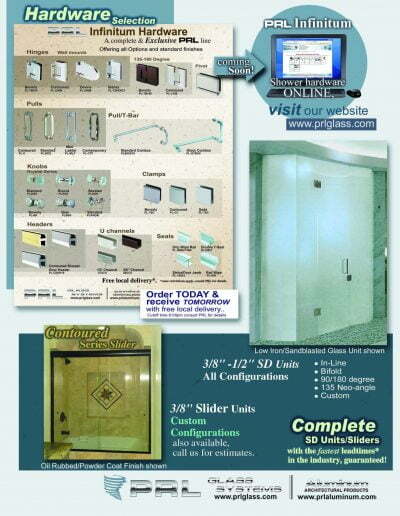 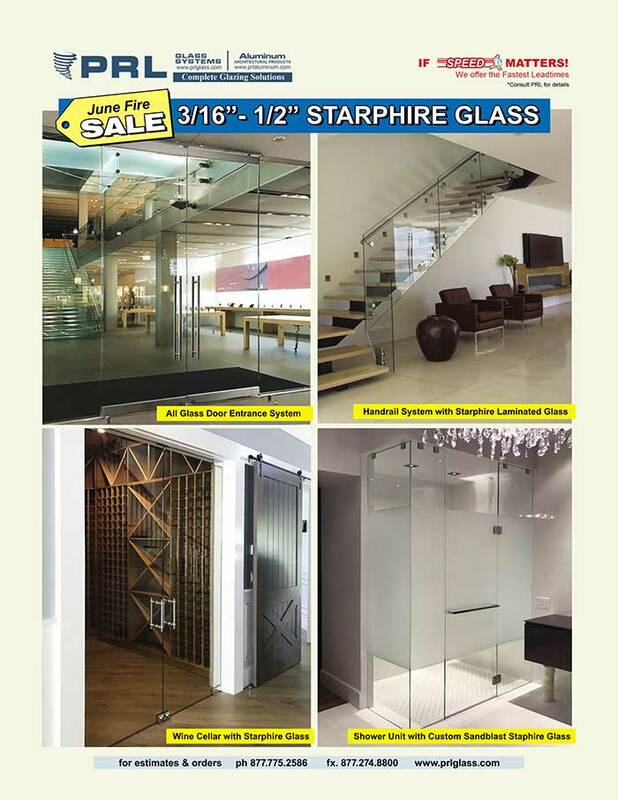 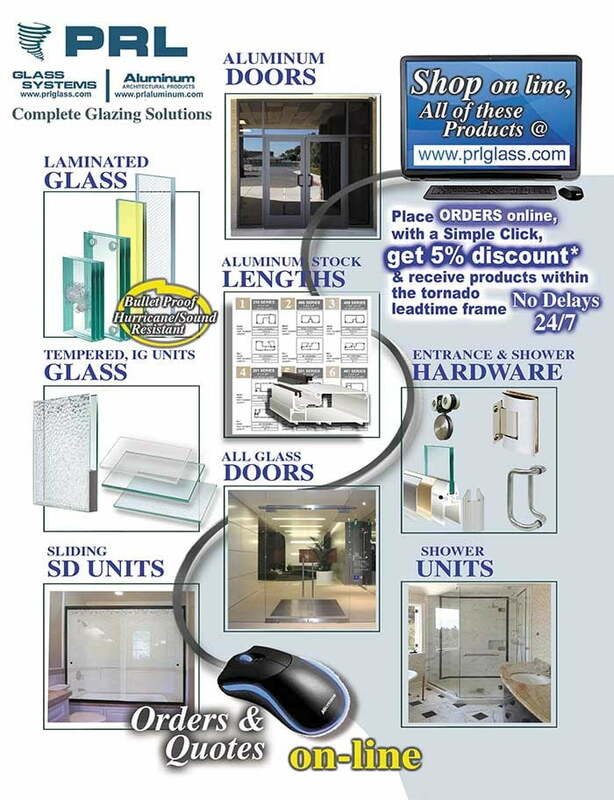 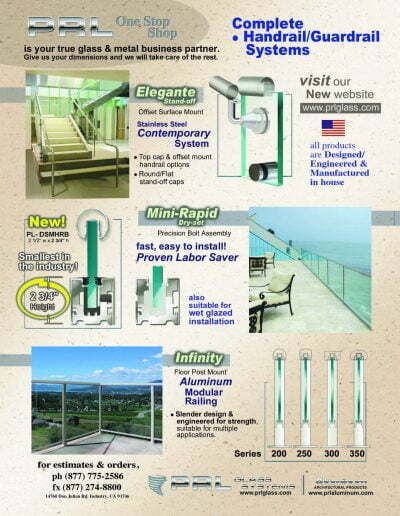 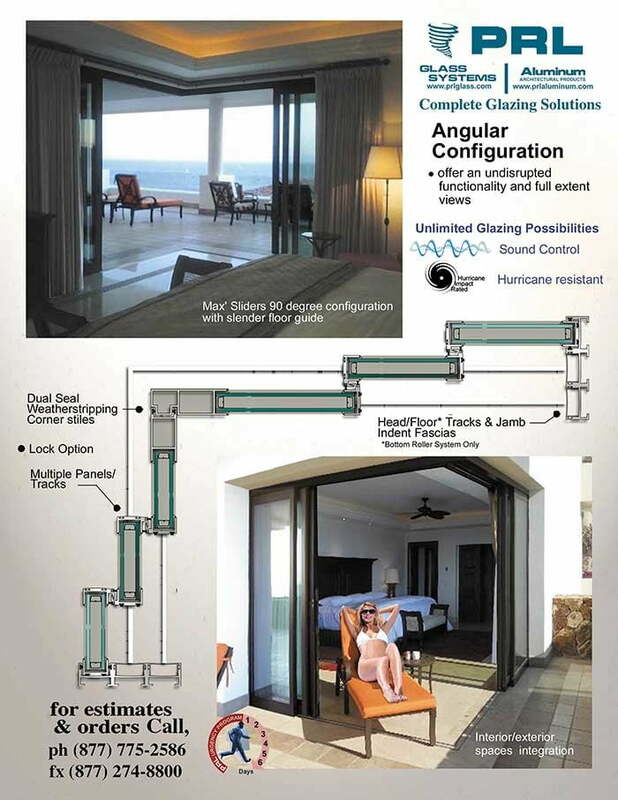 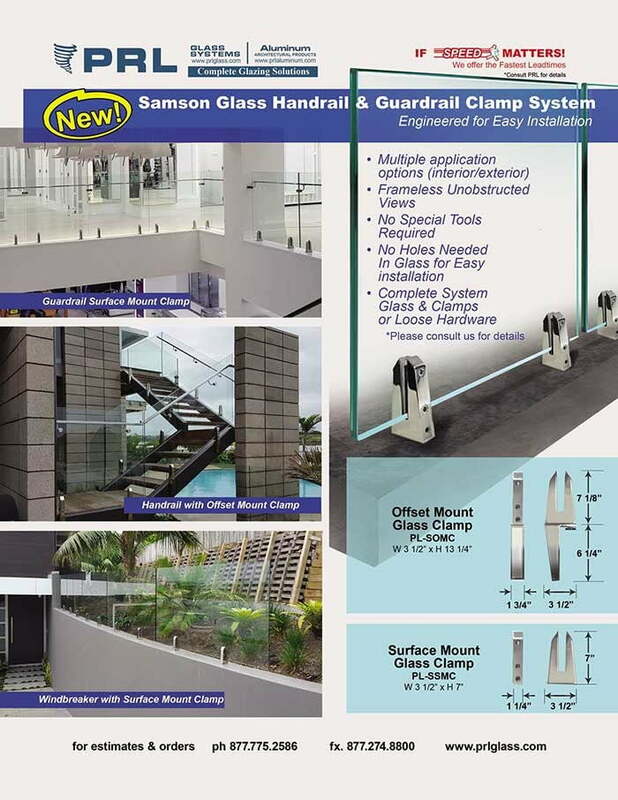 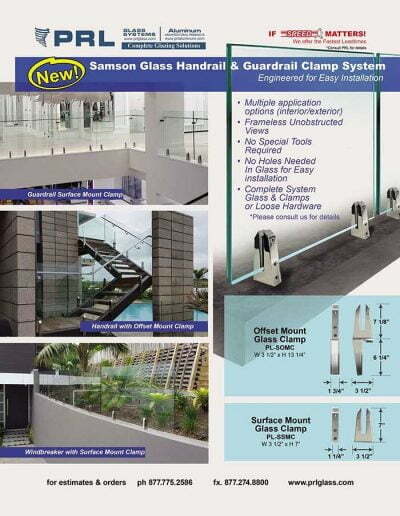 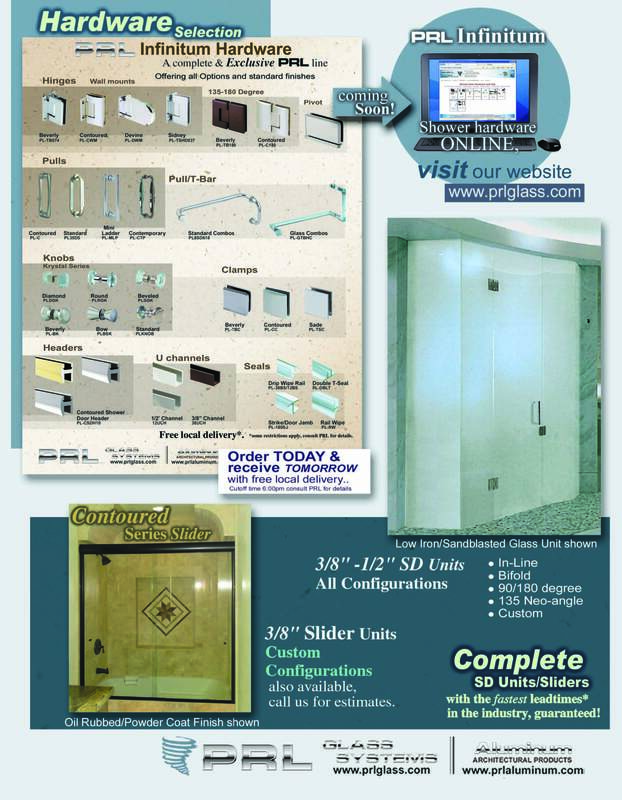 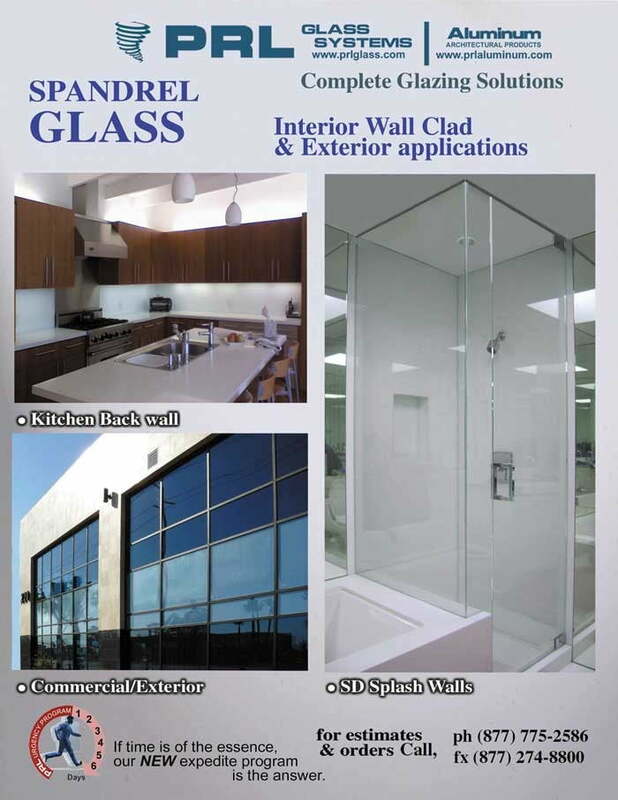 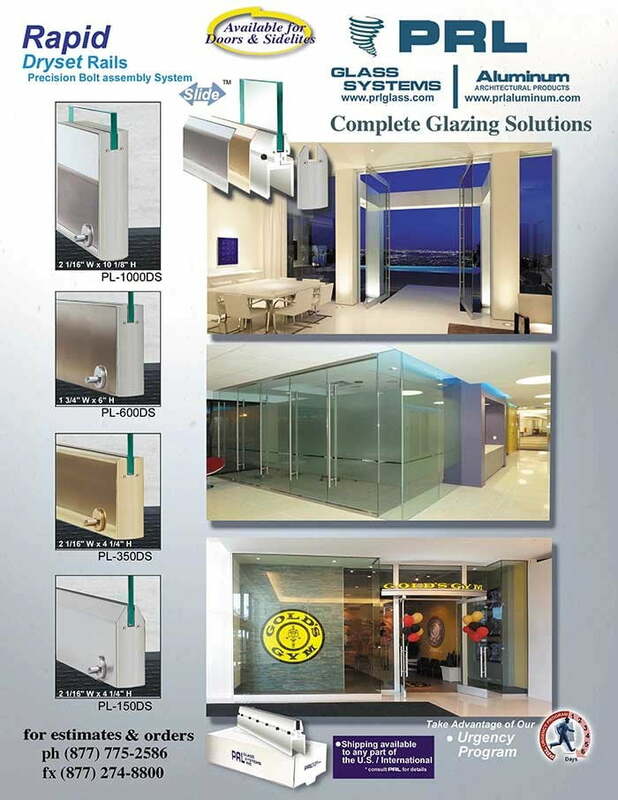 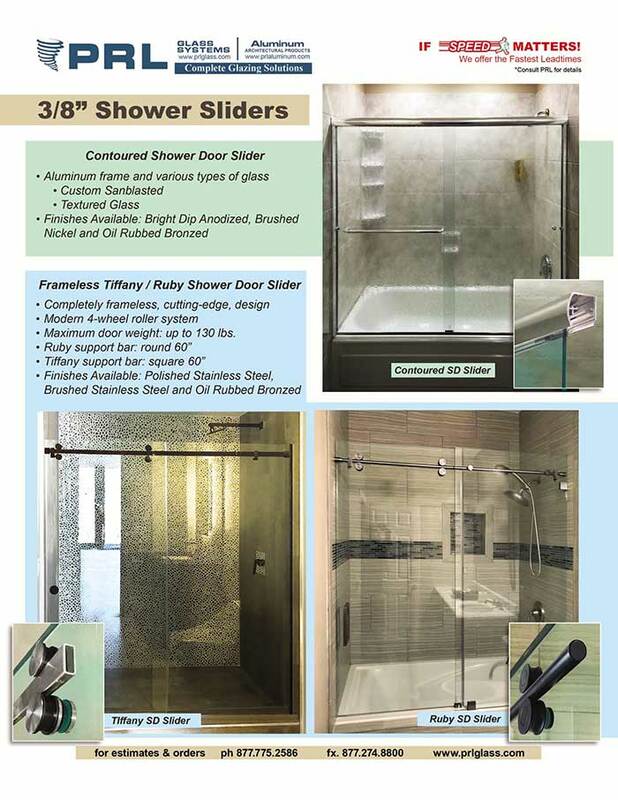 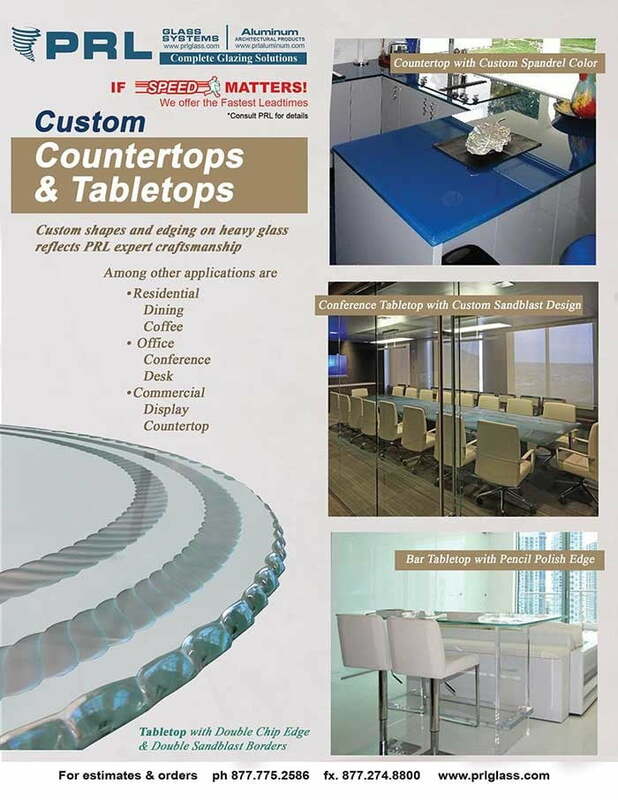 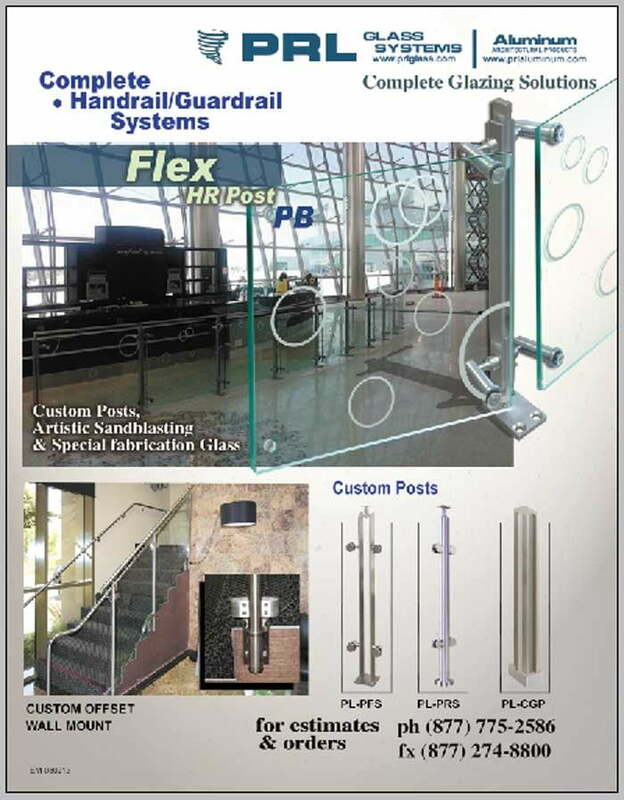 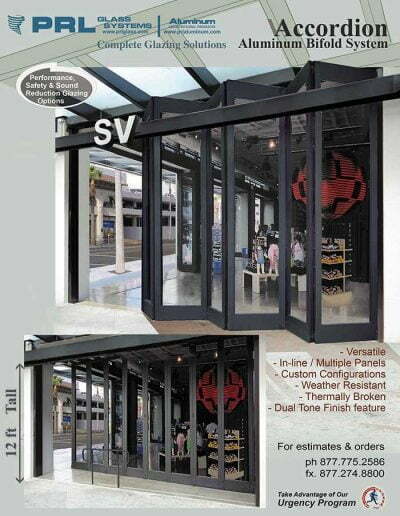 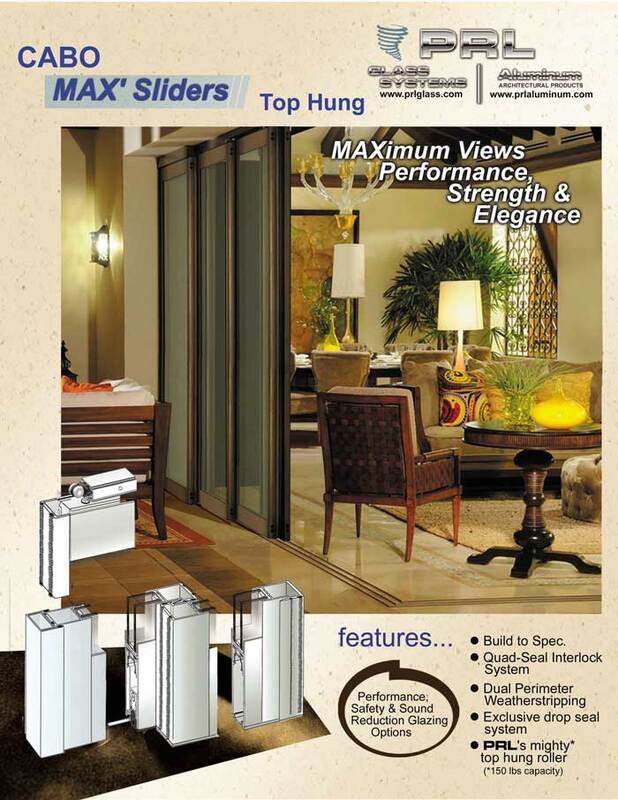 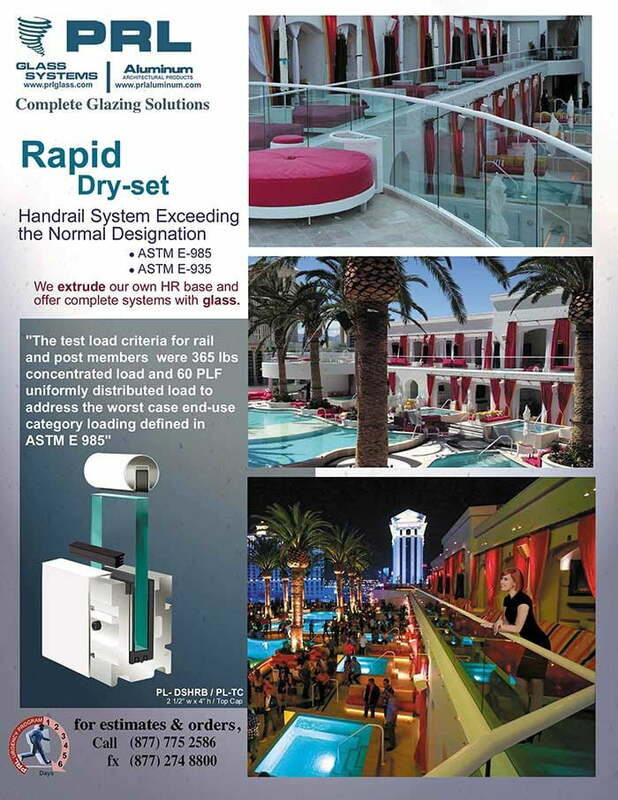 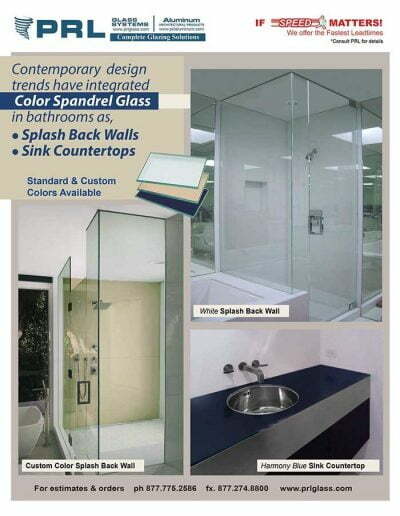 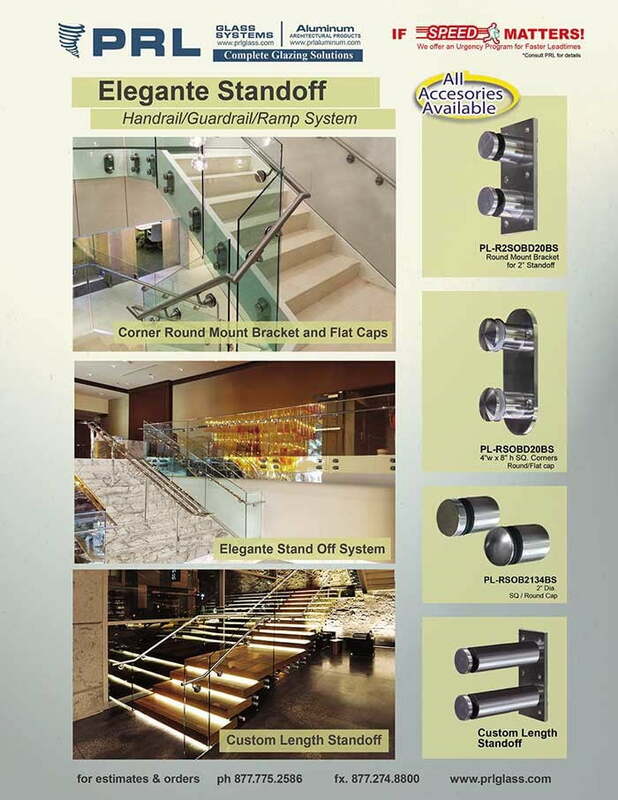 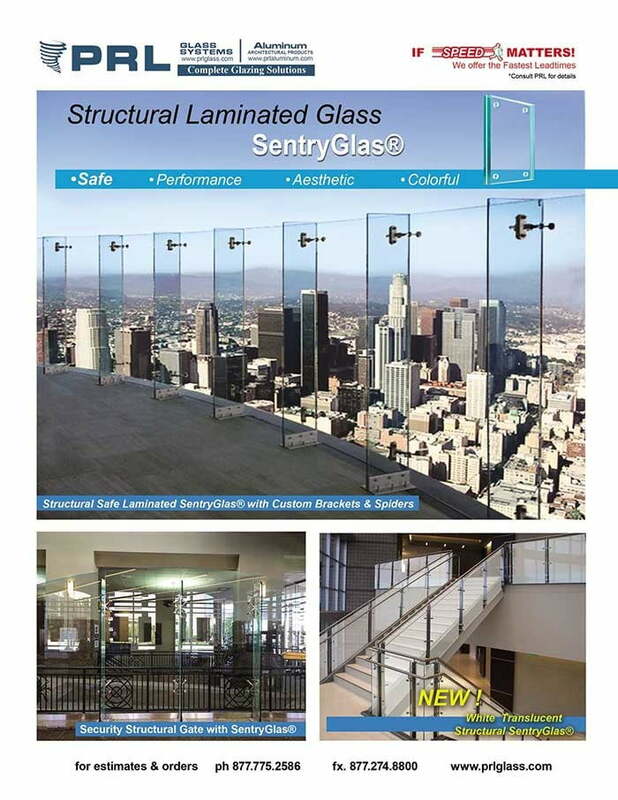 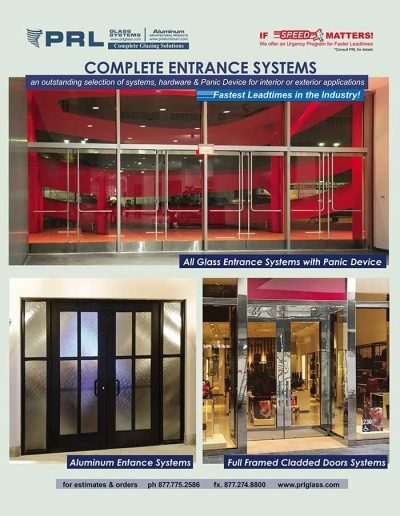 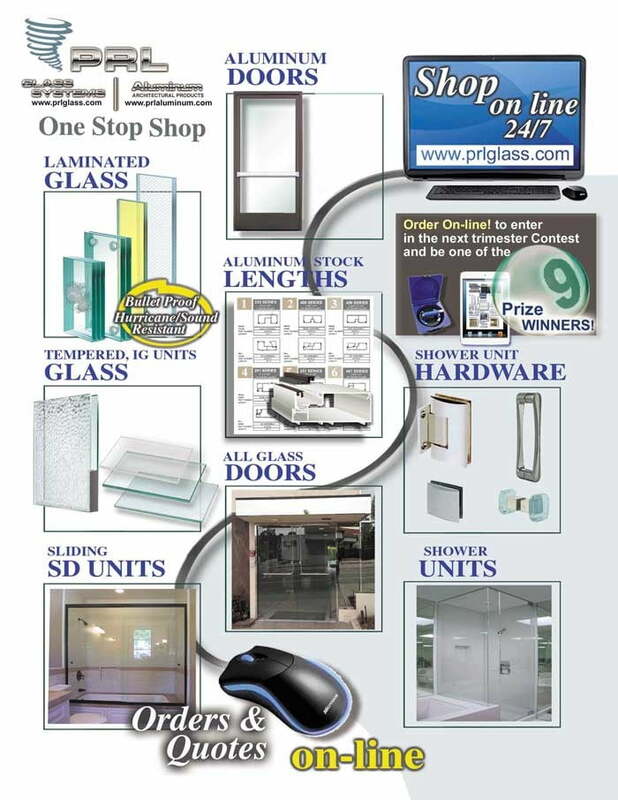 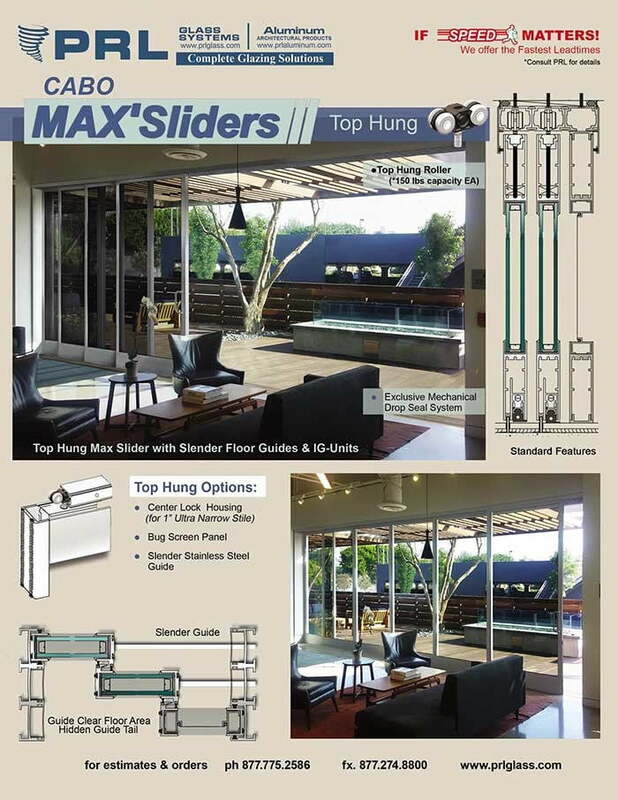 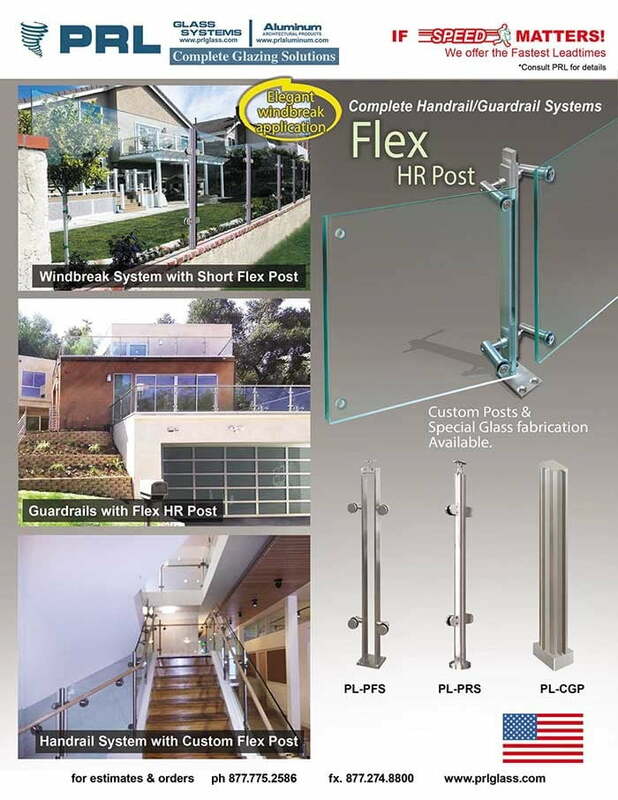 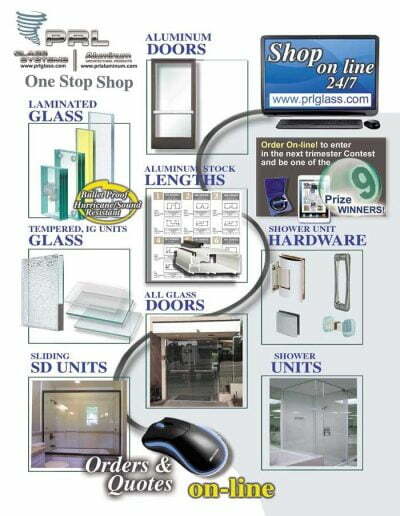 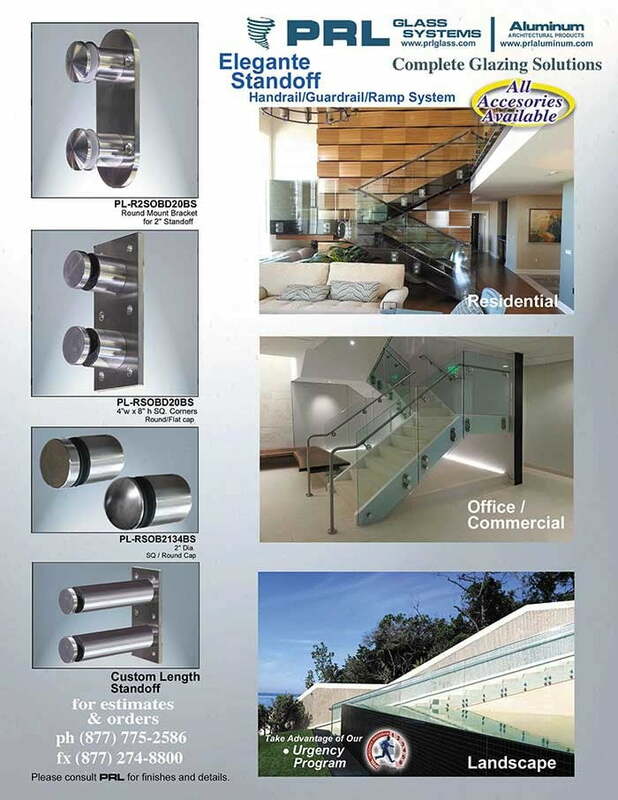 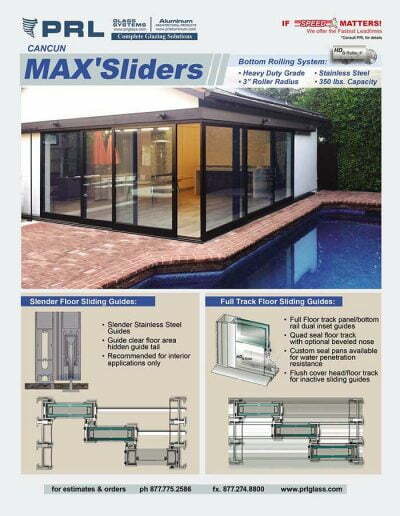 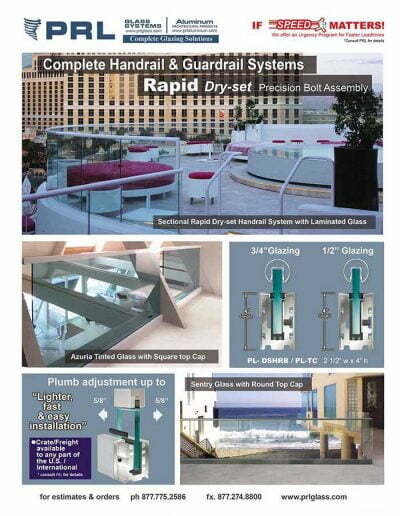 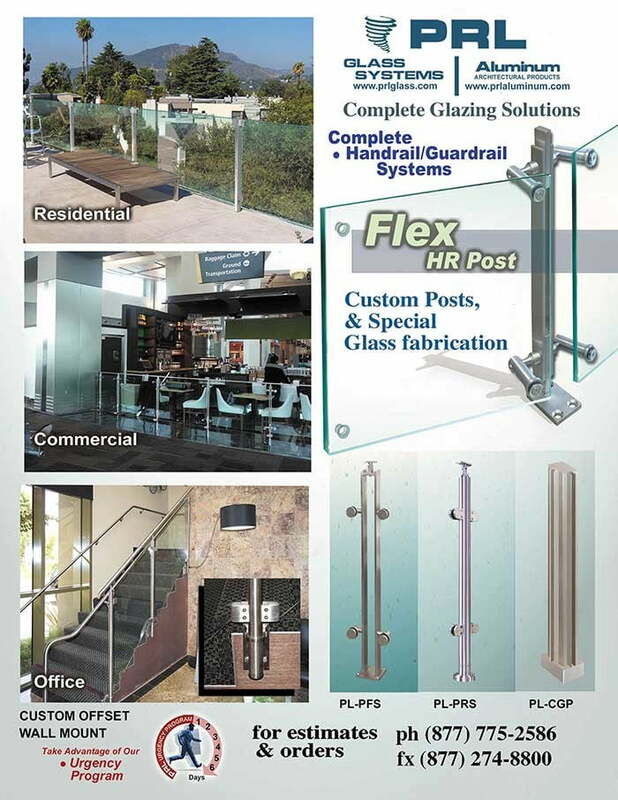 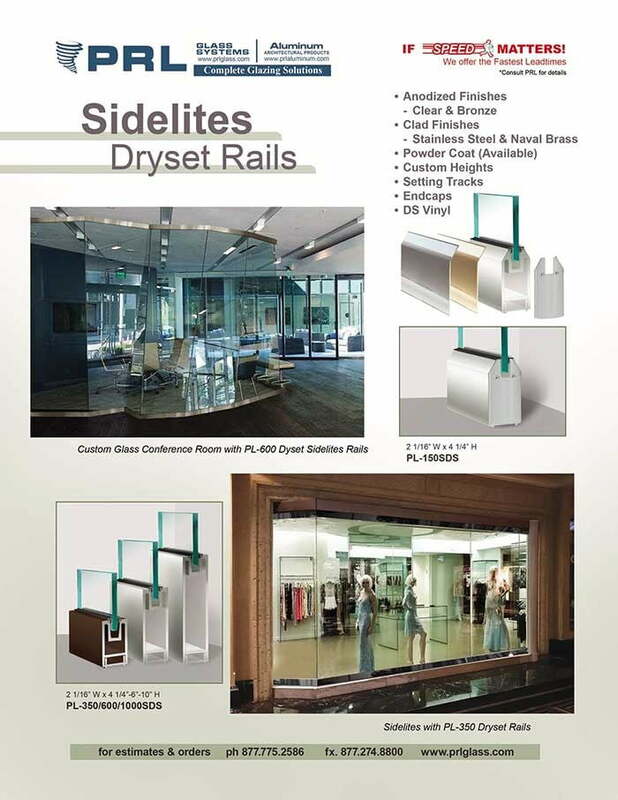 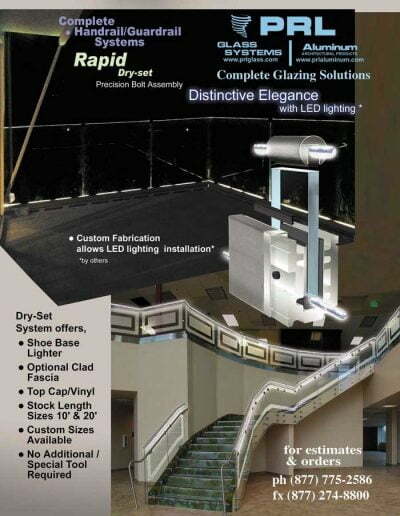 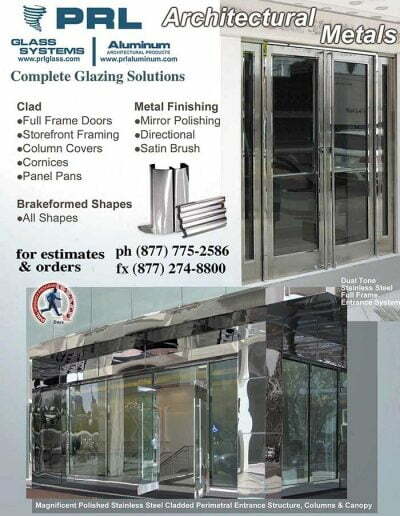 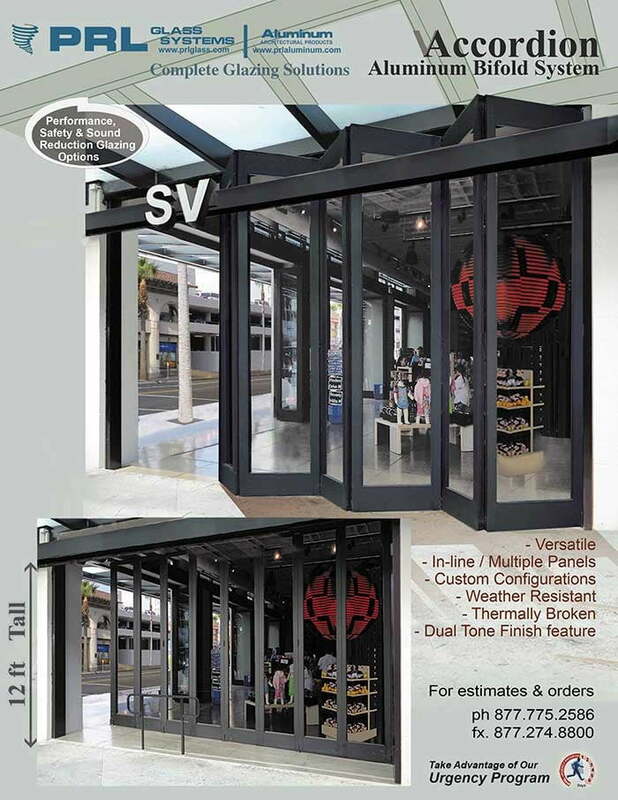 Spandrel can be applied to annealed, tempered glass, reflective and insulating glass units and any thickness of glass. 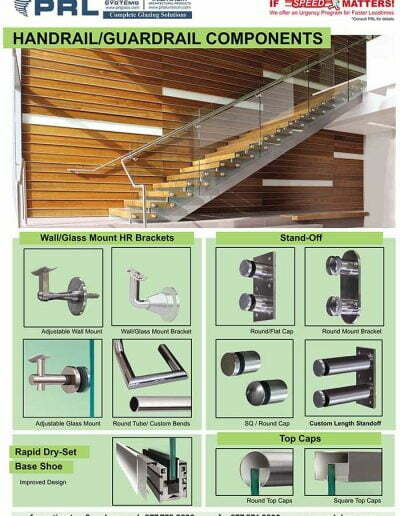 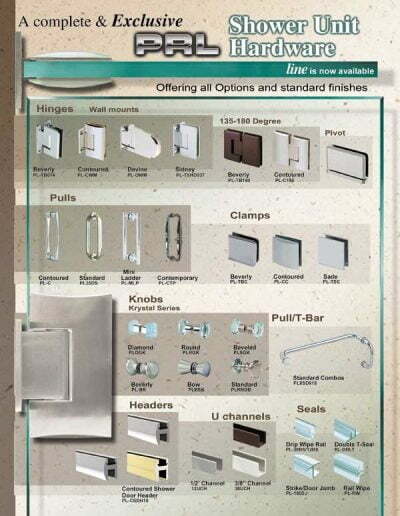 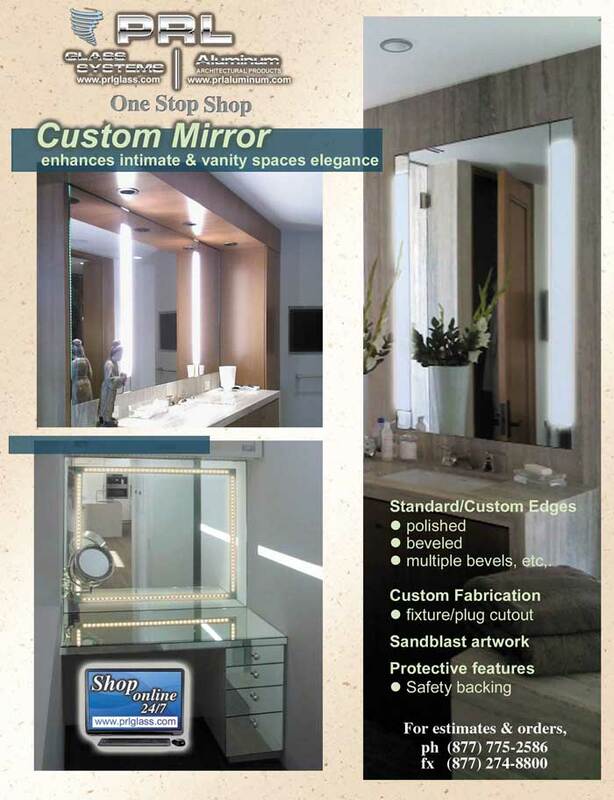 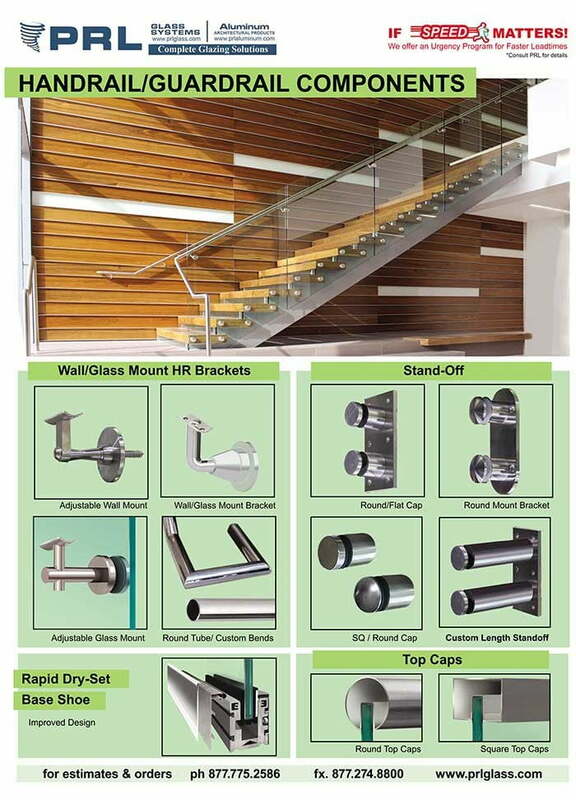 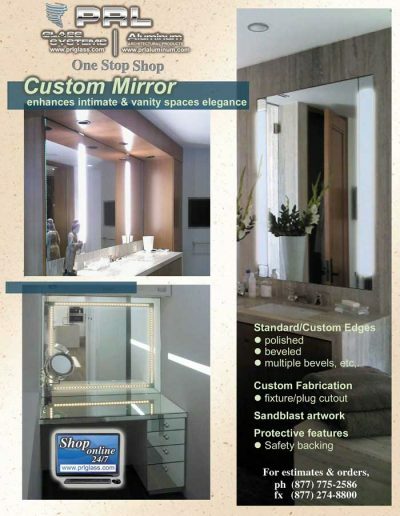 Spandrel is suitable for interior applications, wall cladding, counter tops. 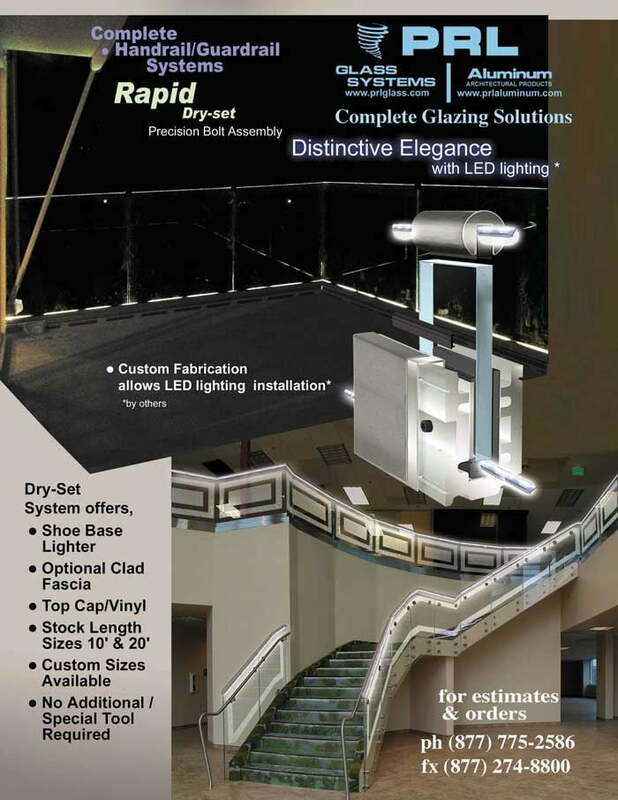 This type of application is not meant to be used with light behind it, being that the spandrel is not transparent. 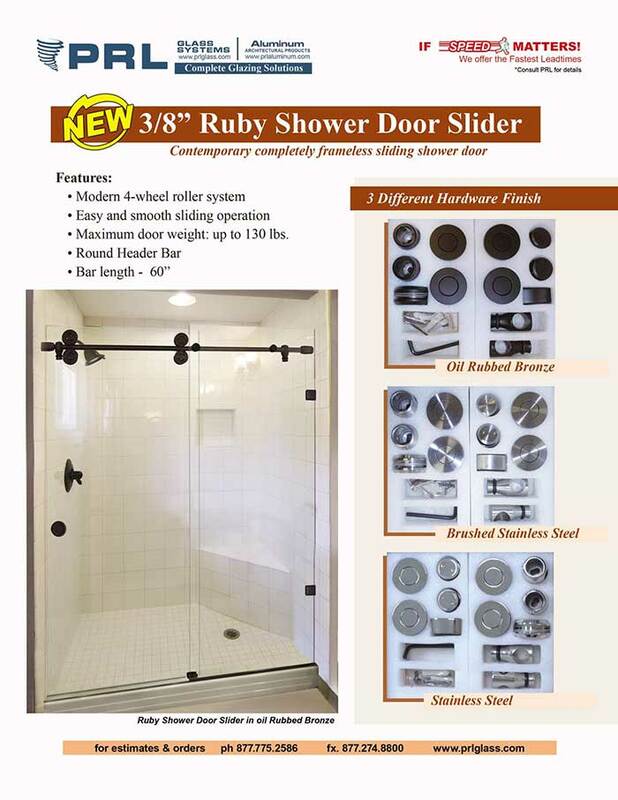 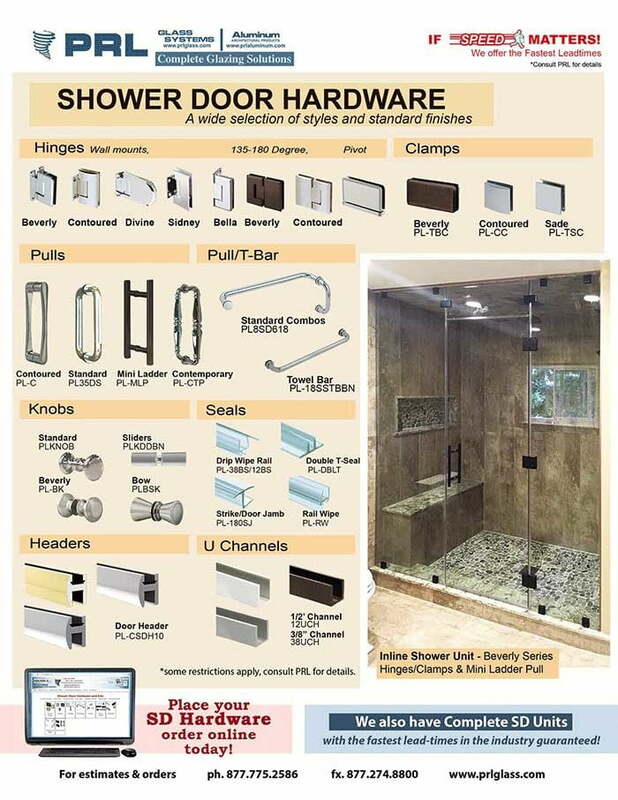 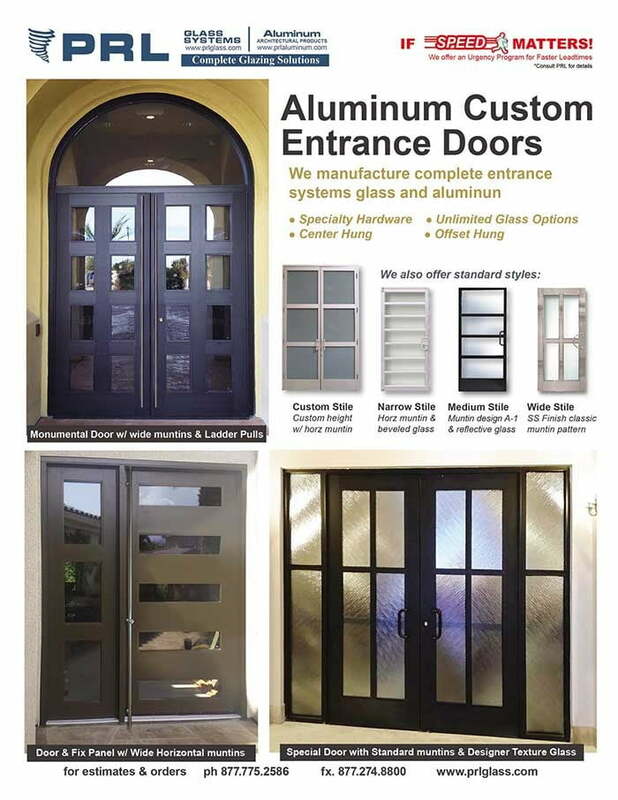 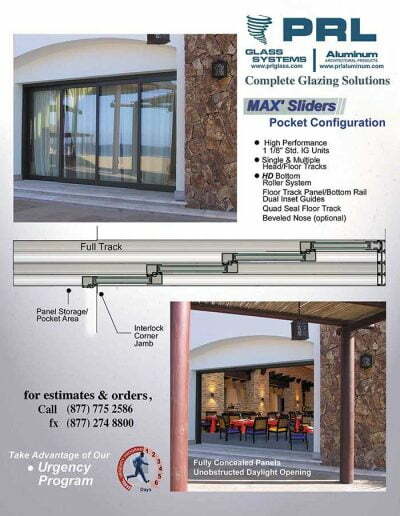 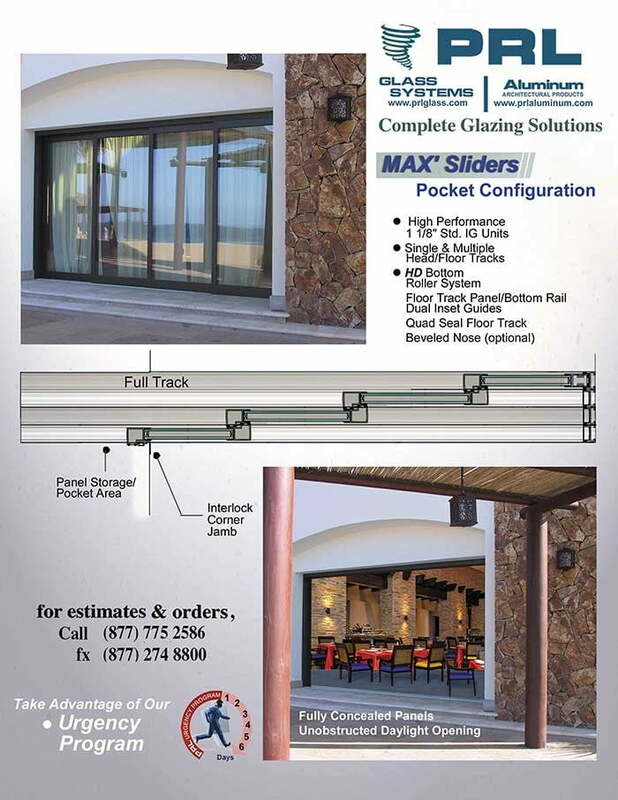 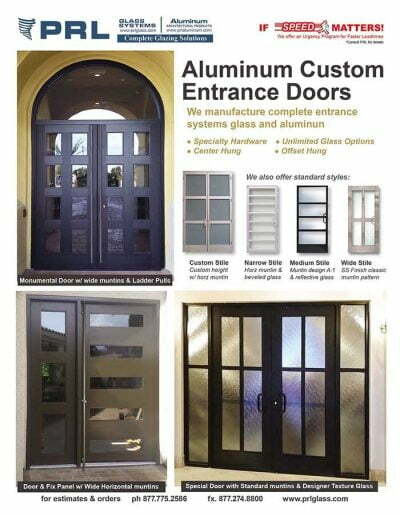 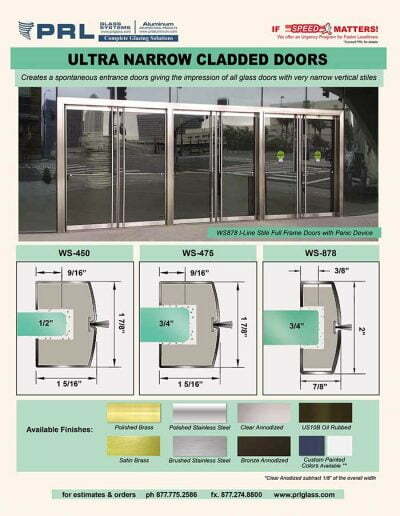 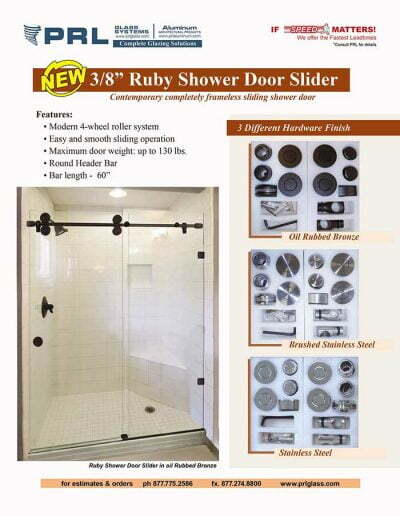 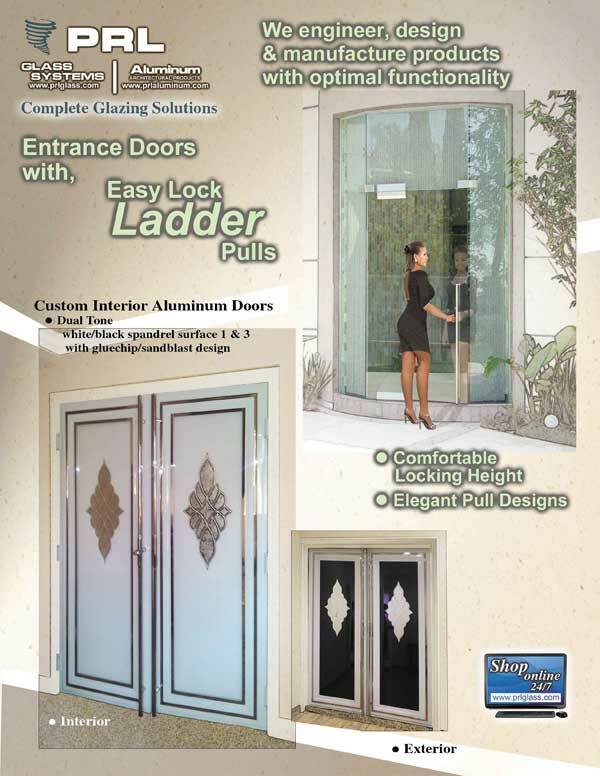 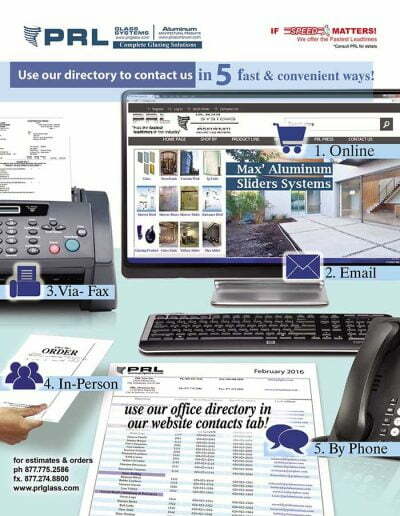 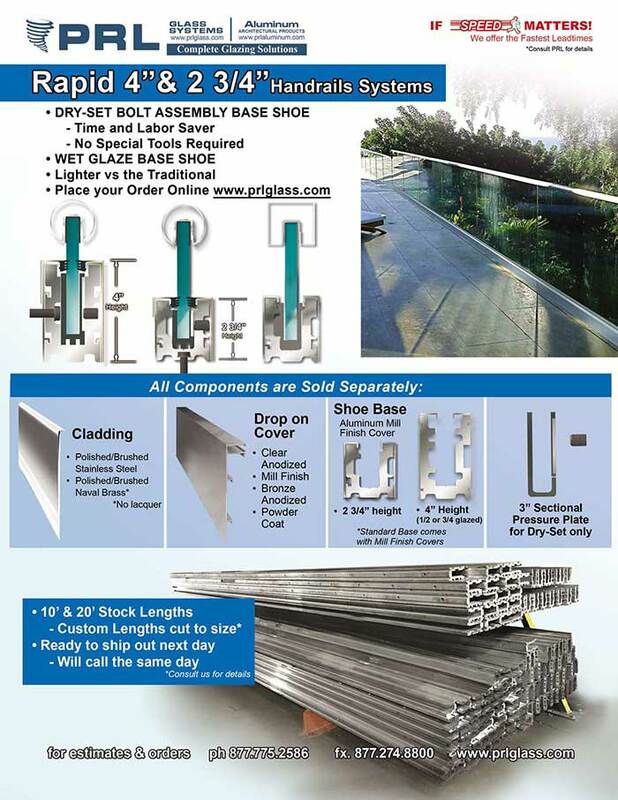 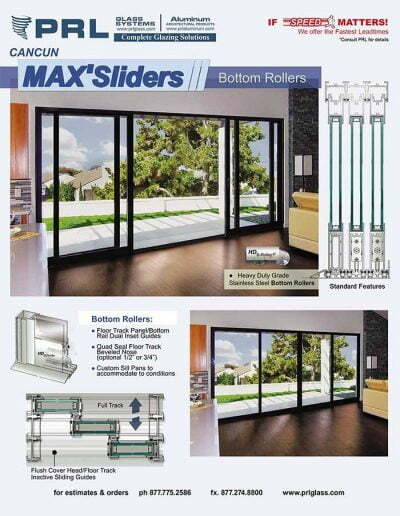 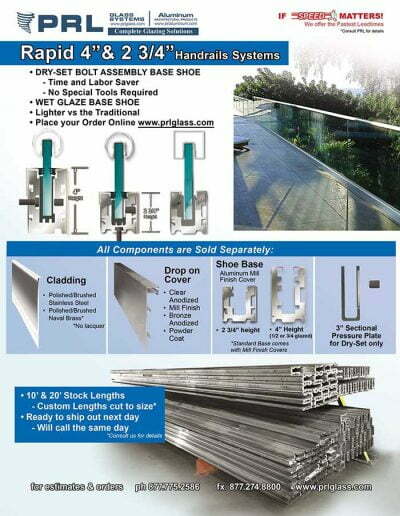 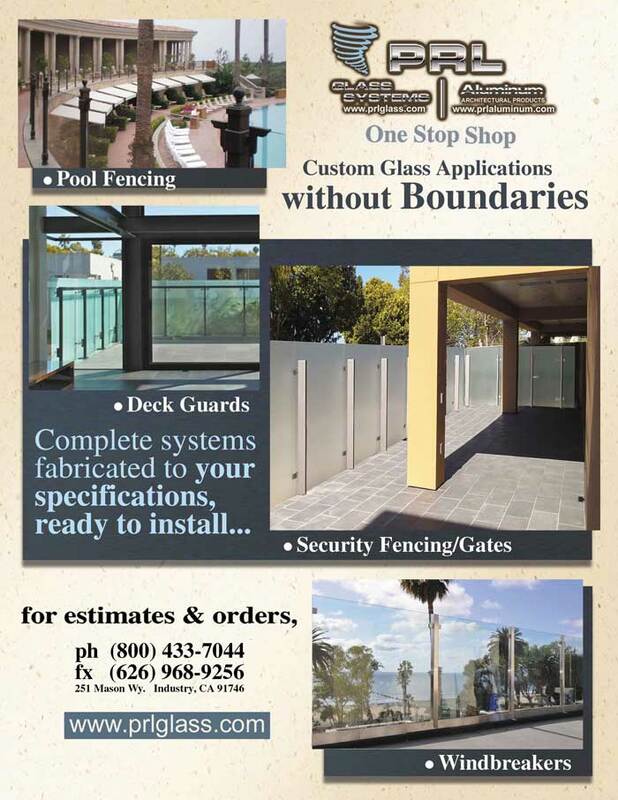 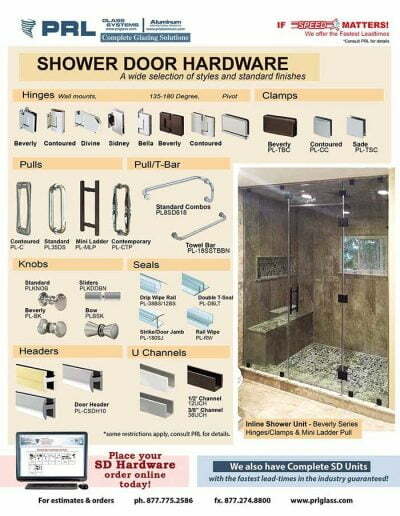 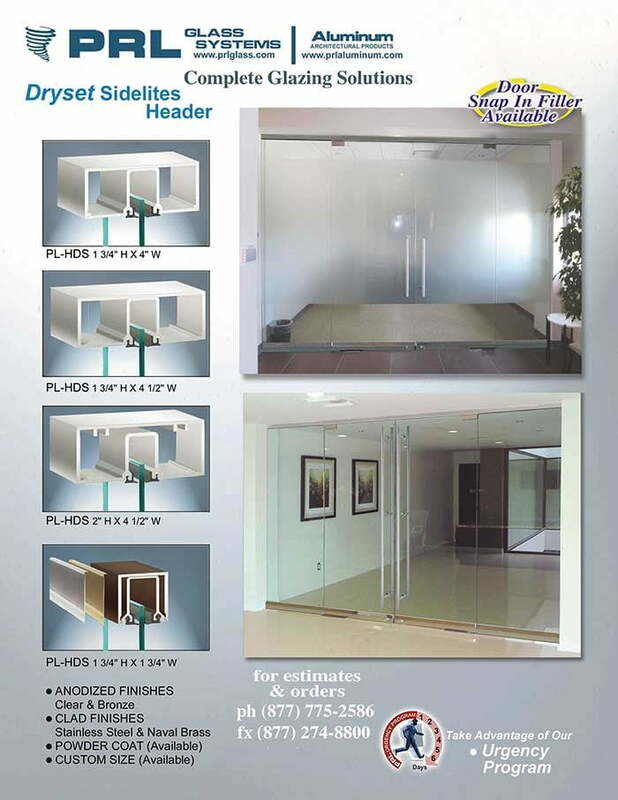 We also offer the option of a double coating for your job. 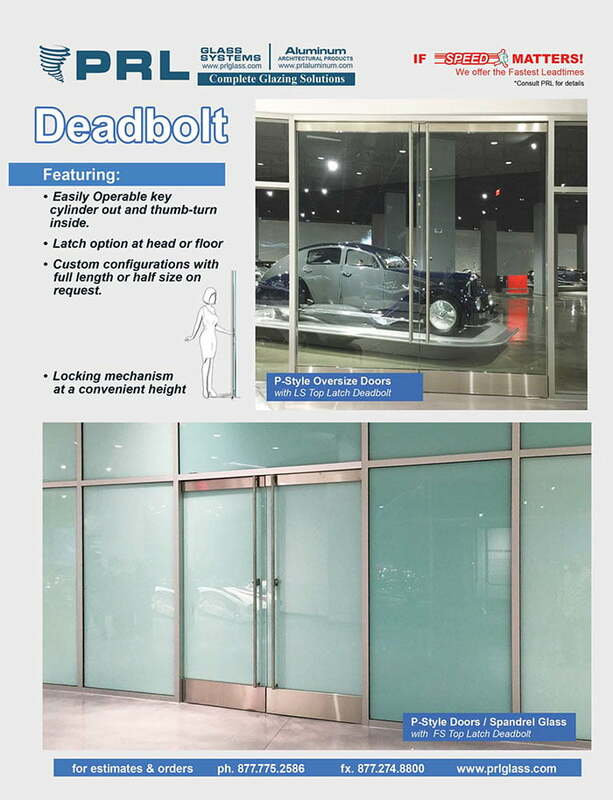 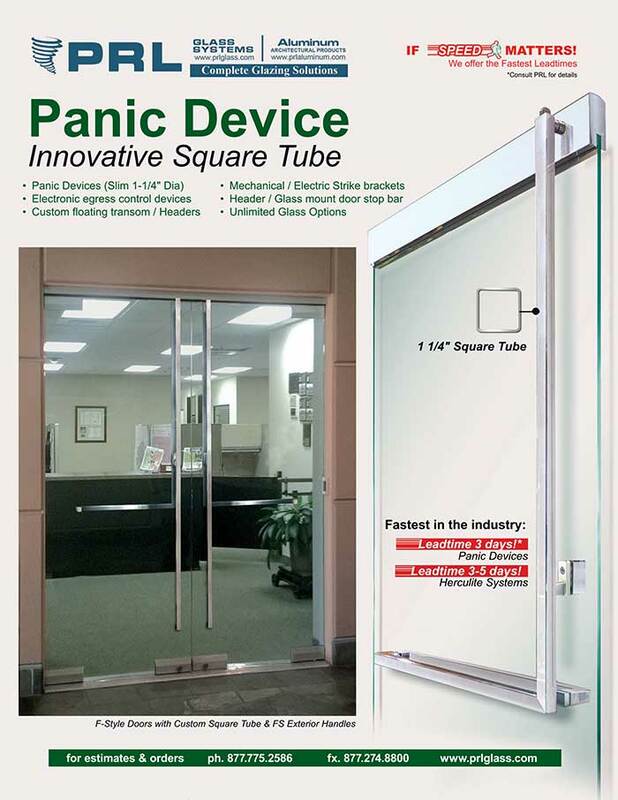 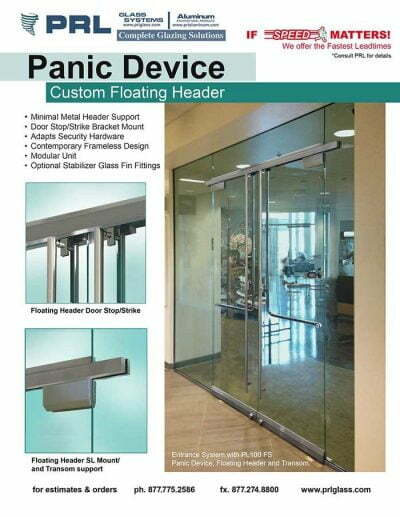 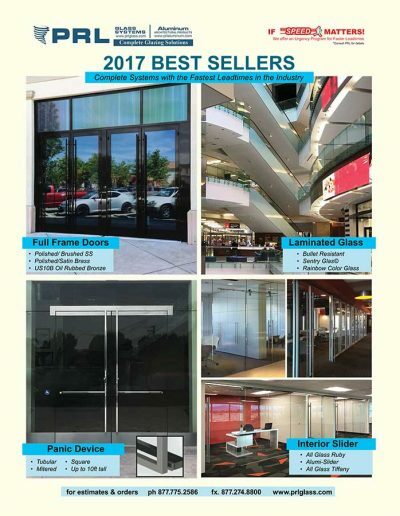 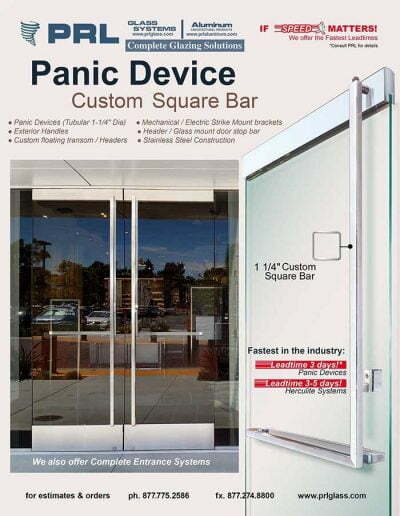 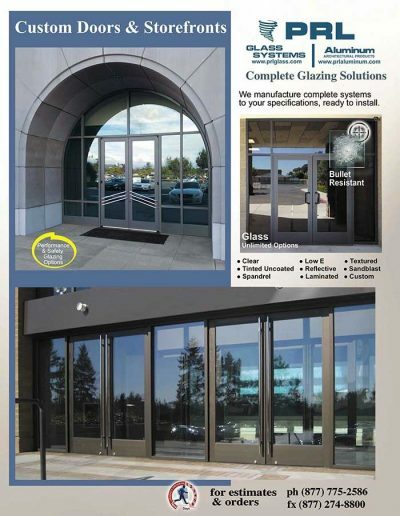 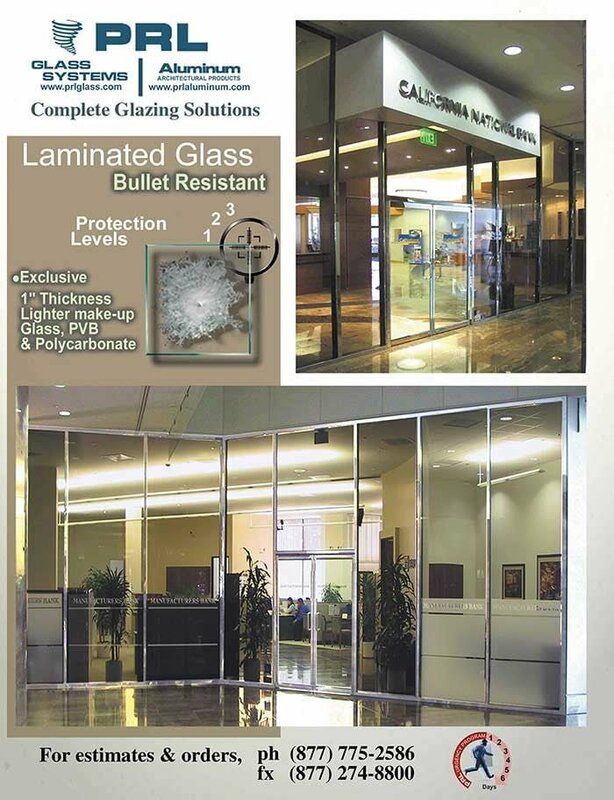 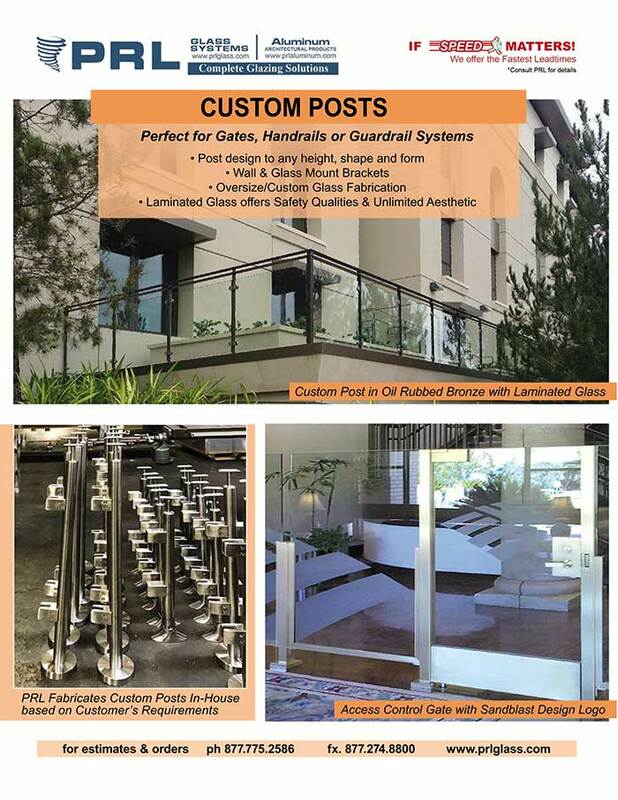 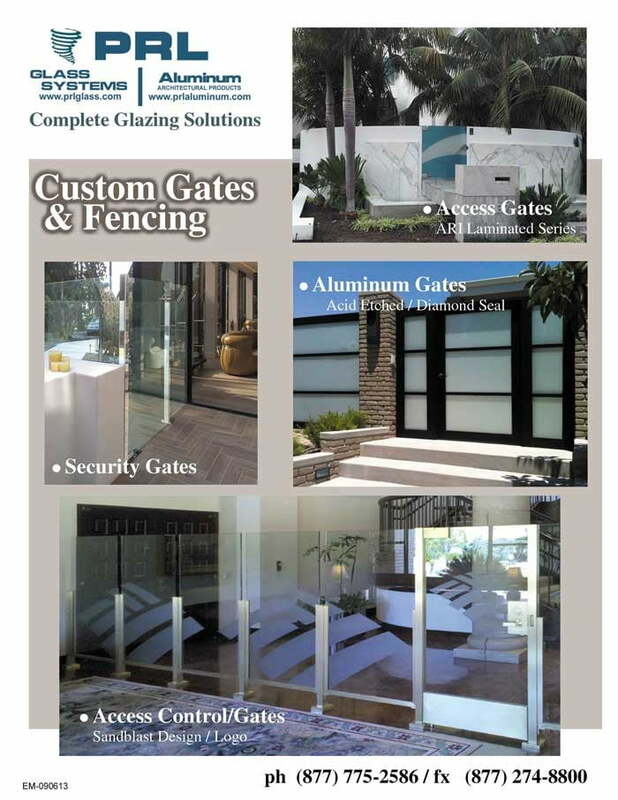 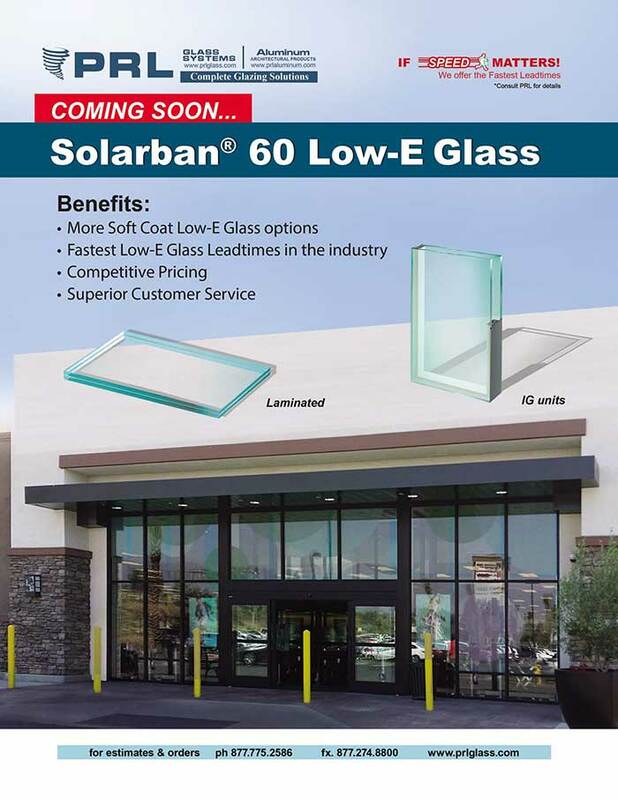 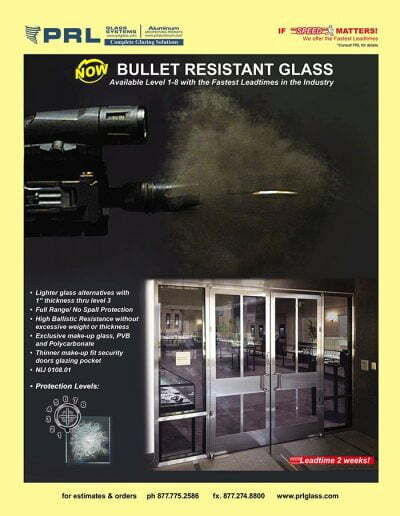 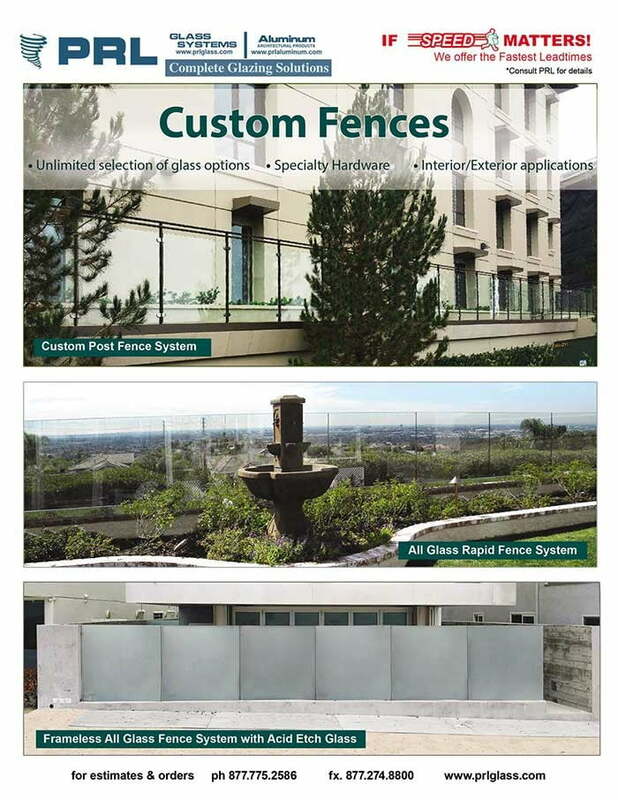 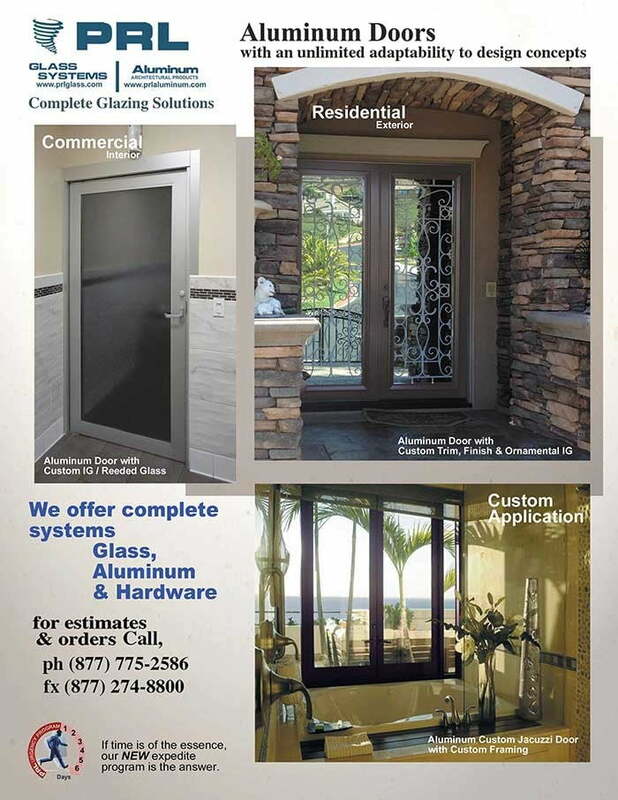 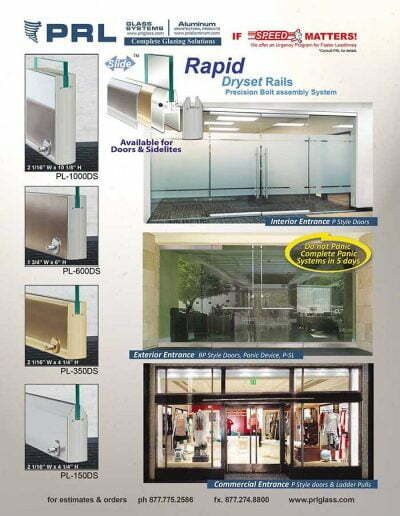 When OPACI-COAT-300® is applied to glass; a rubber-like elastomeric film is created which satisfies the criteria for fallout protection/safety glazing without the need for taping or the application of scrim films. 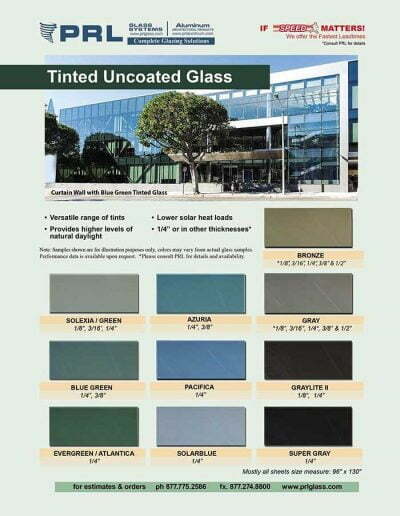 Unlike other glass opacifying materials, opaci-coat spandrel is lead free, contains no organic solvents and is self extinguishing. 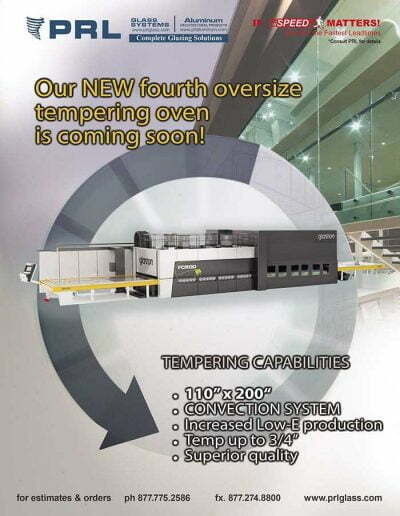 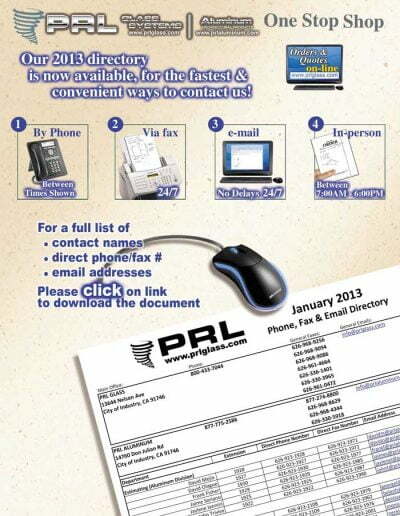 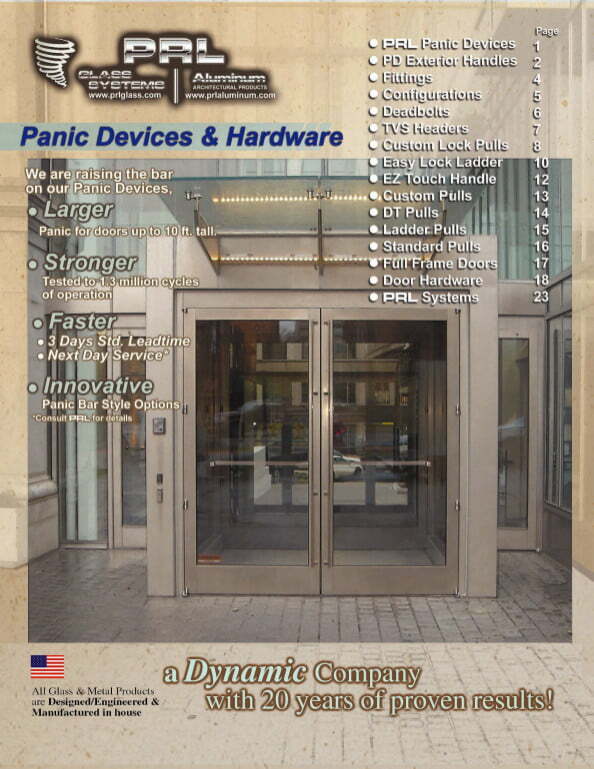 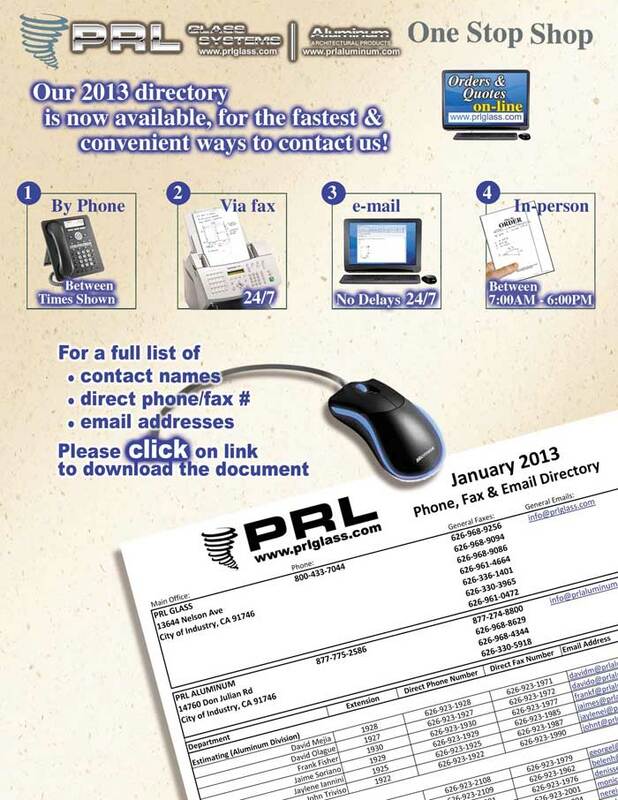 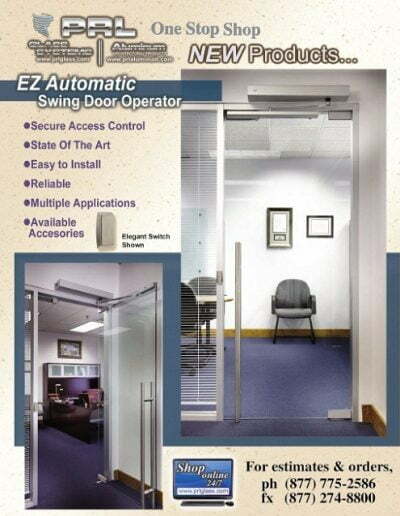 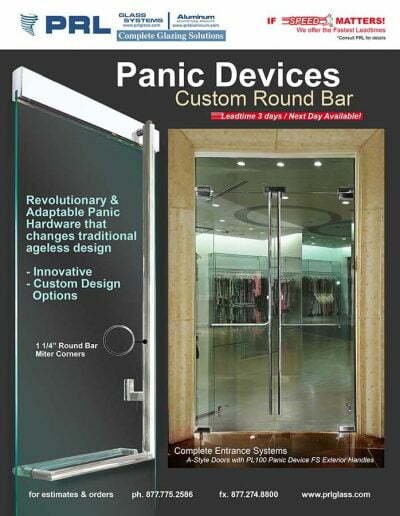 It can be handled at any stage with no fear of personal or environmental harm. 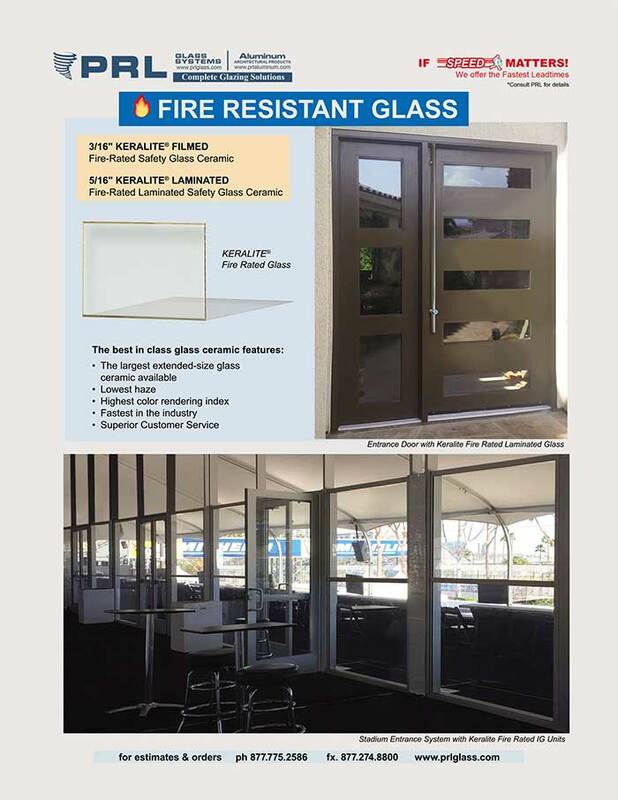 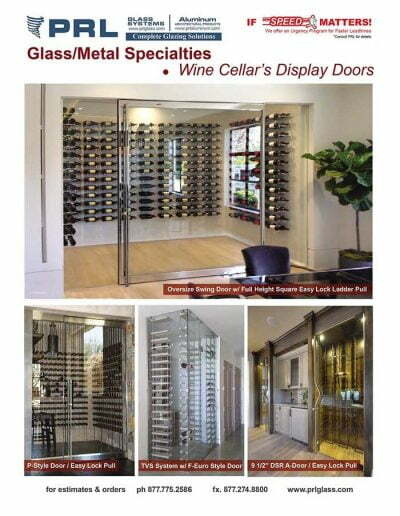 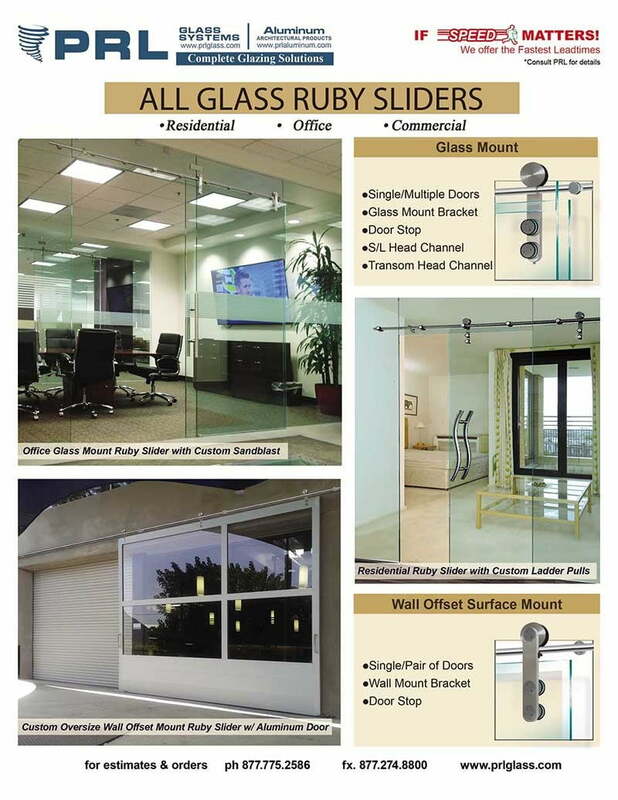 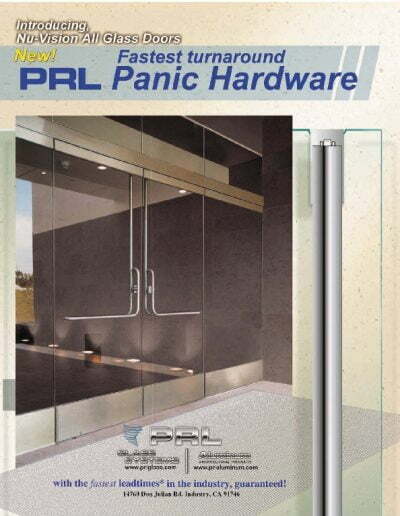 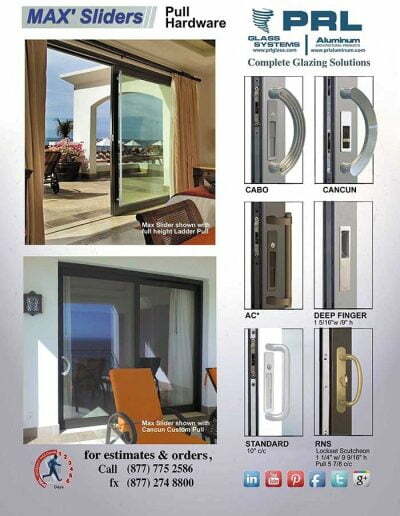 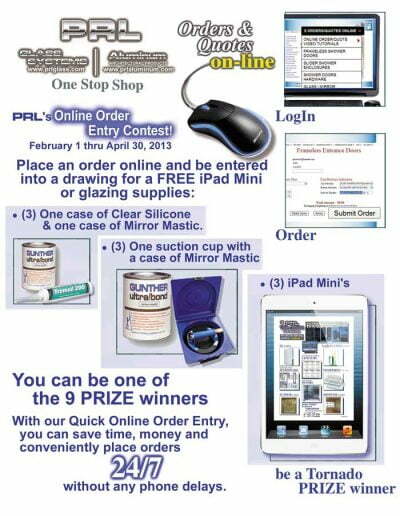 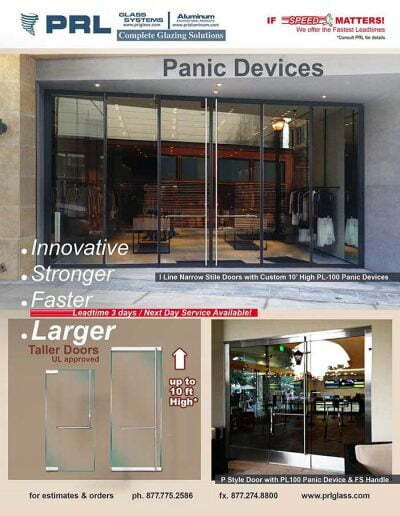 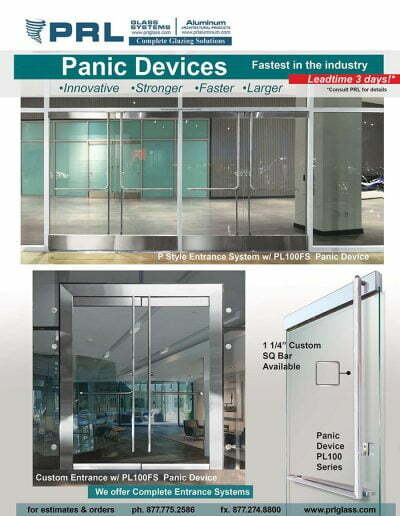 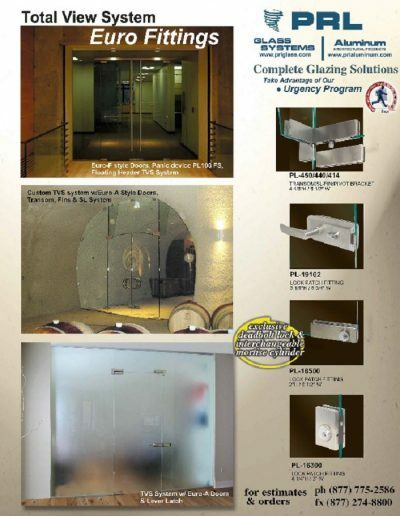 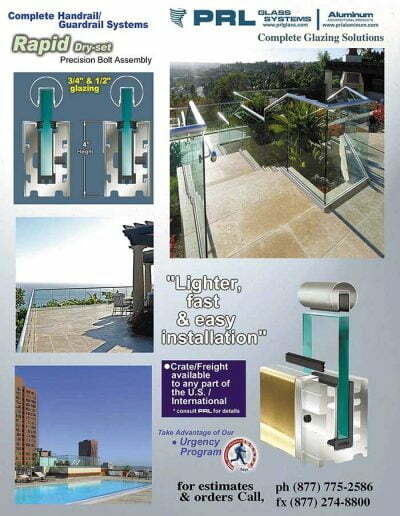 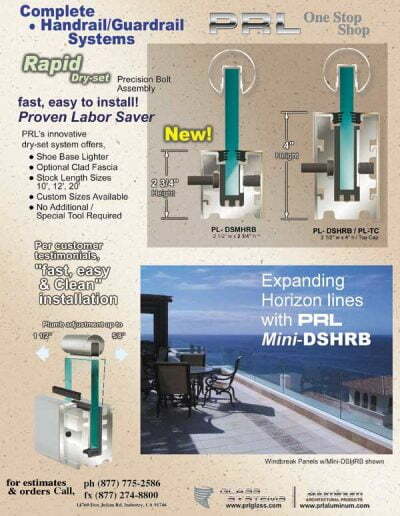 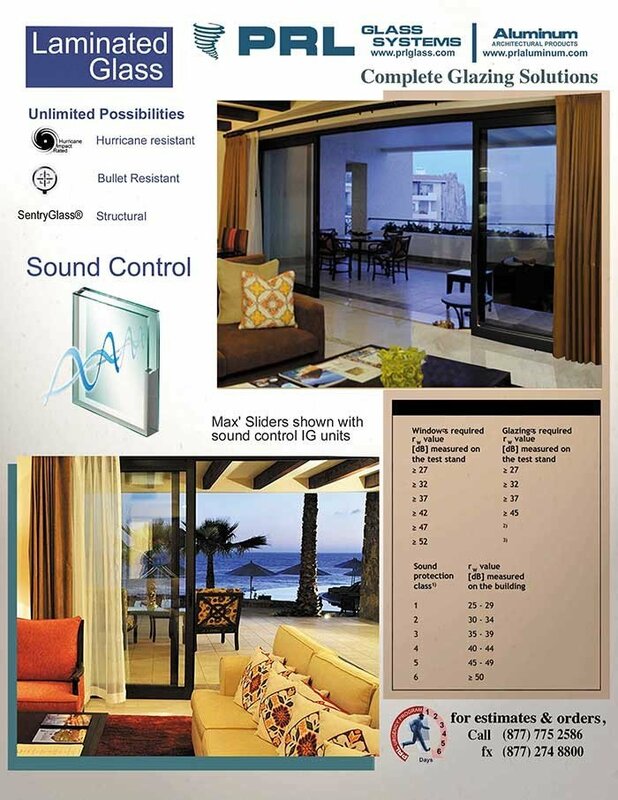 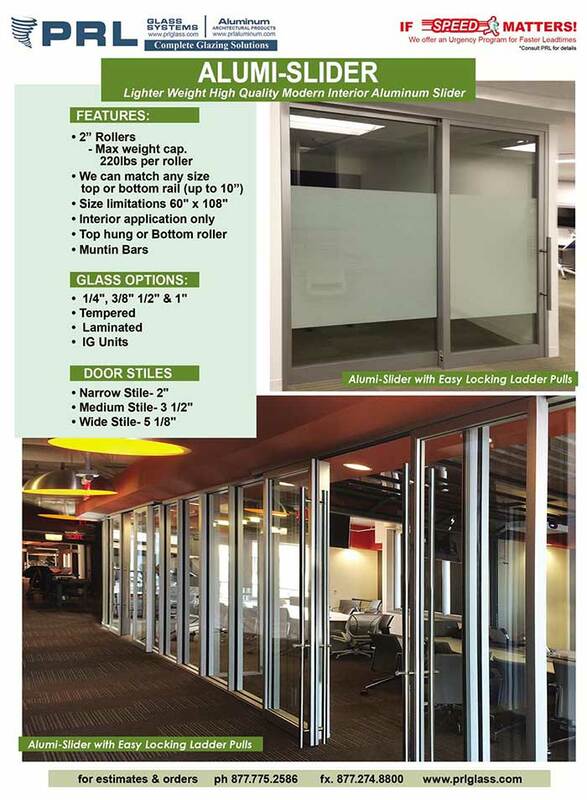 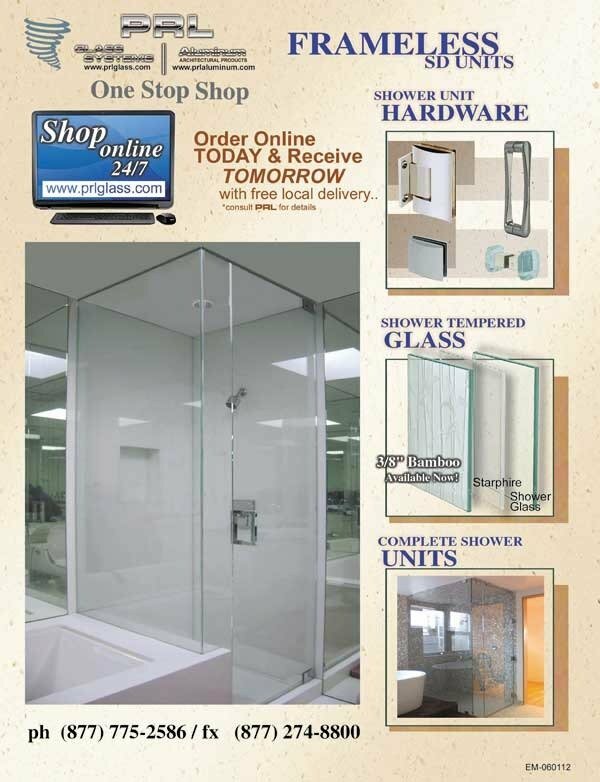 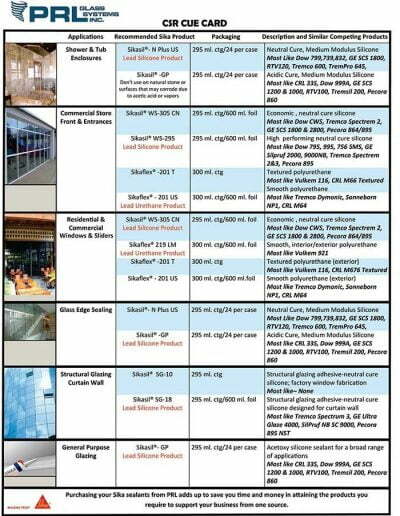 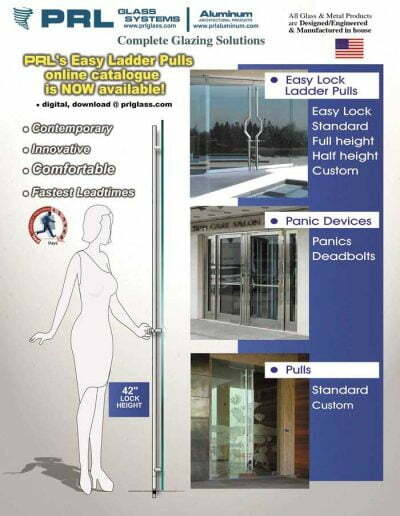 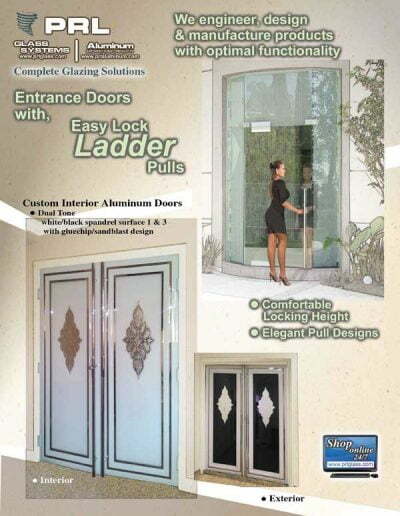 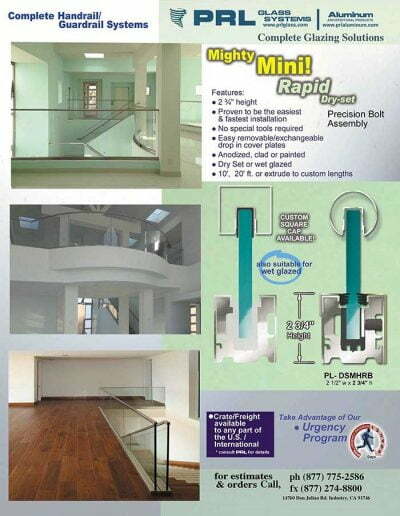 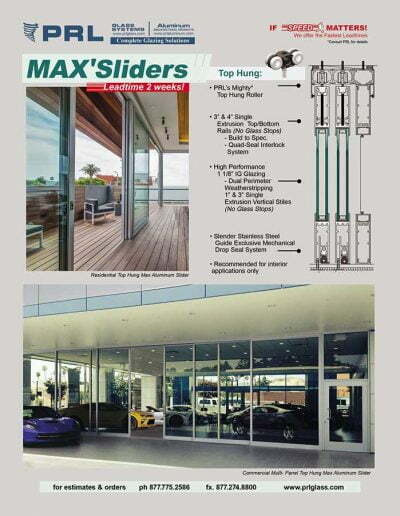 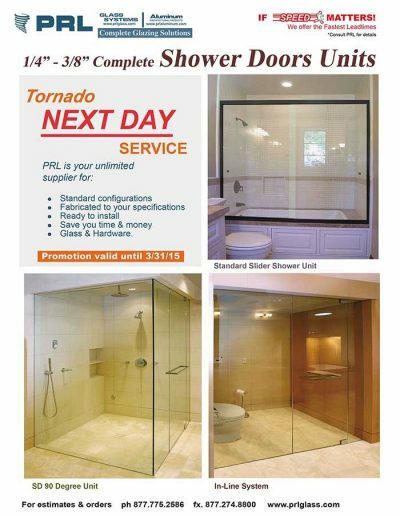 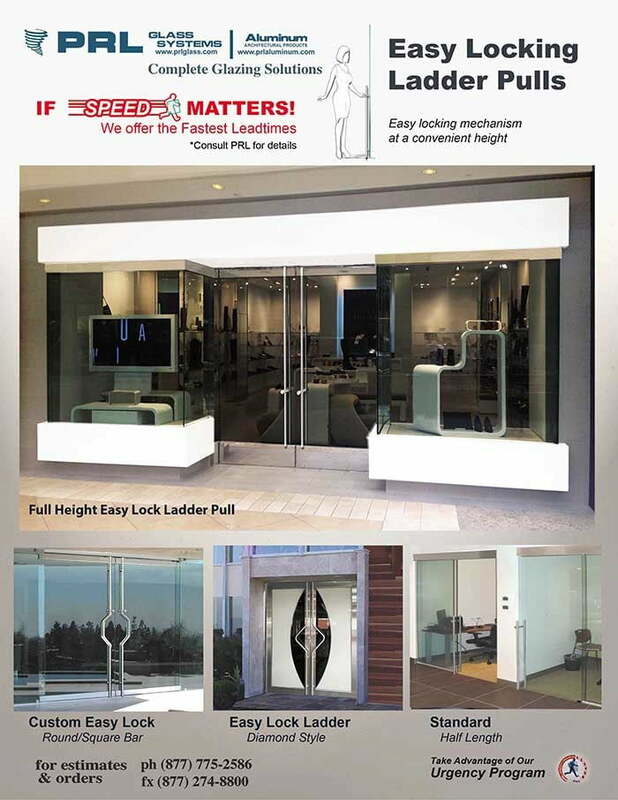 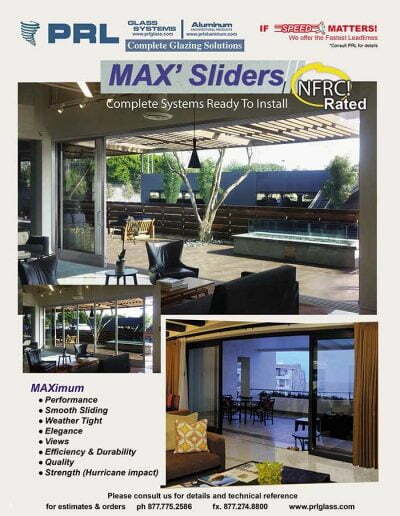 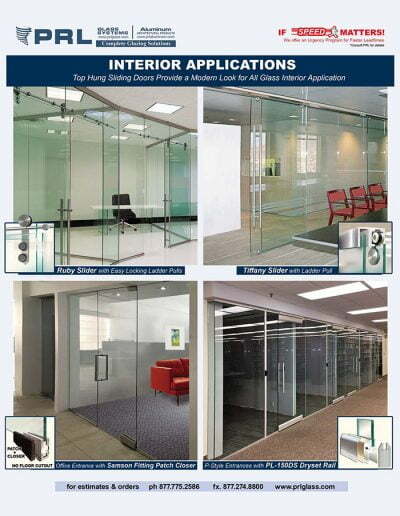 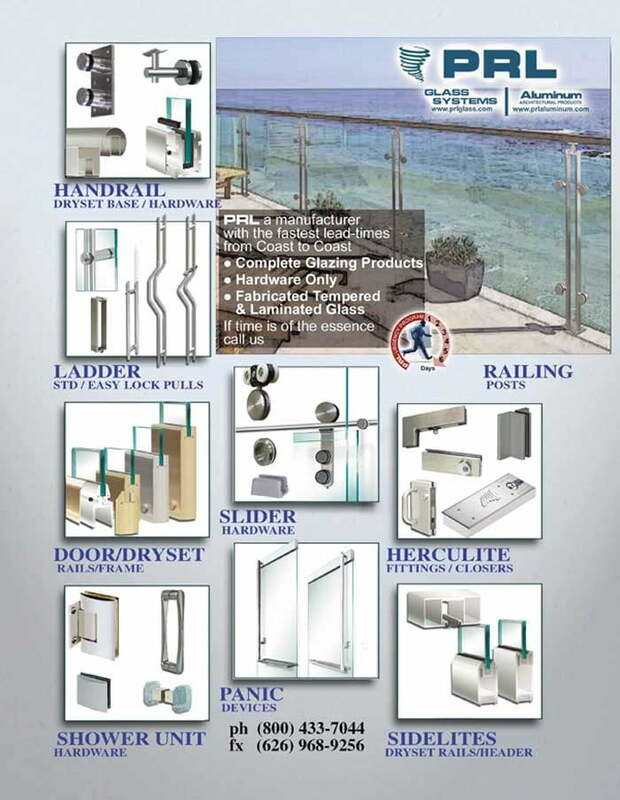 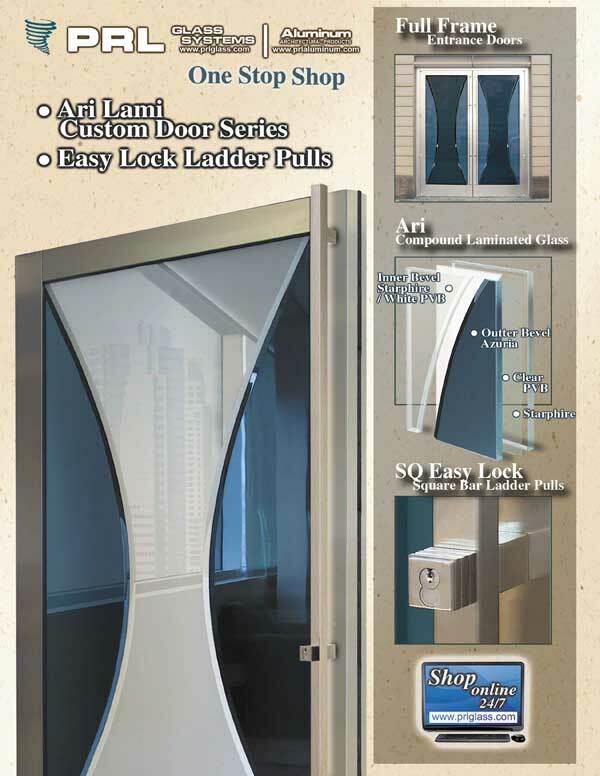 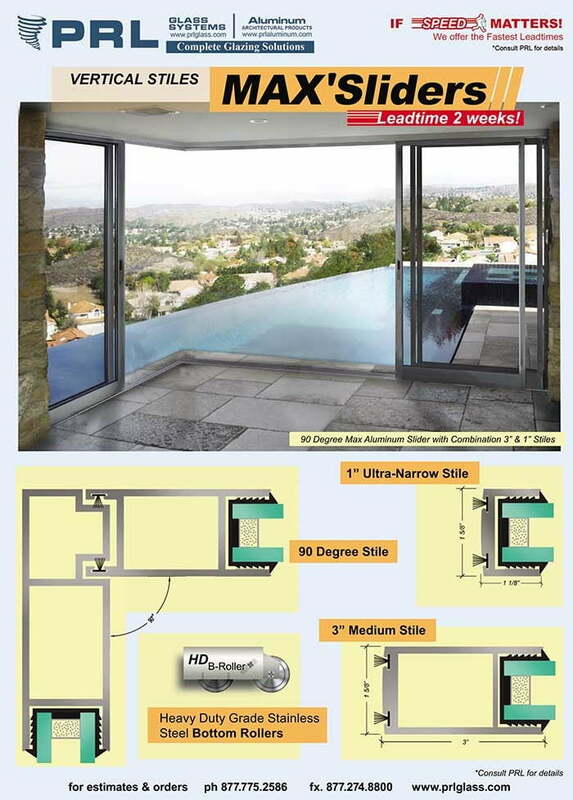 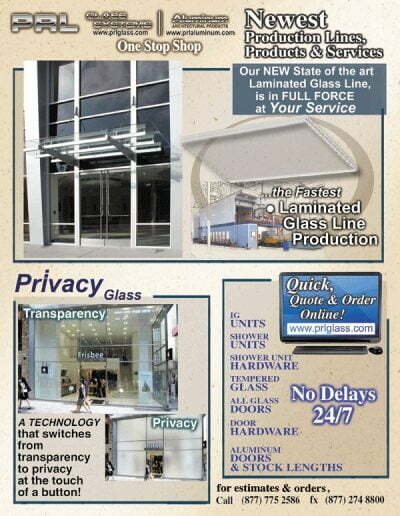 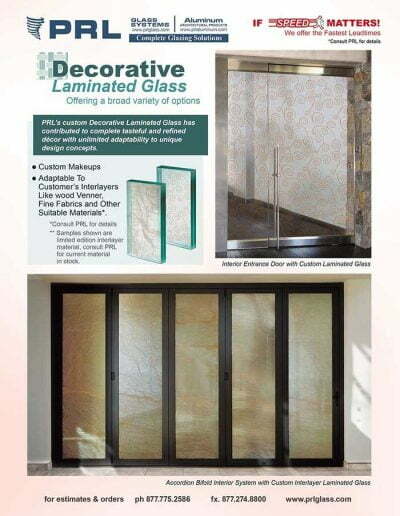 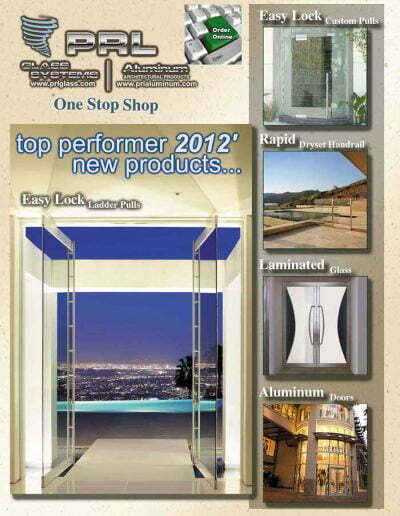 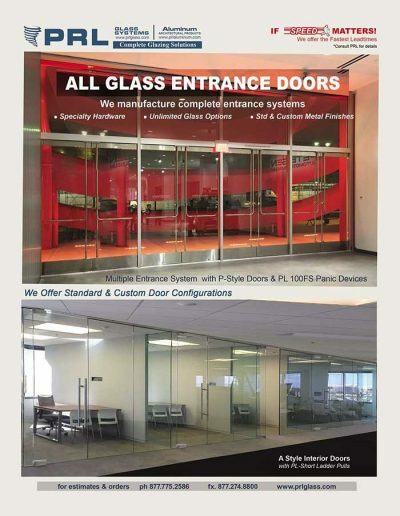 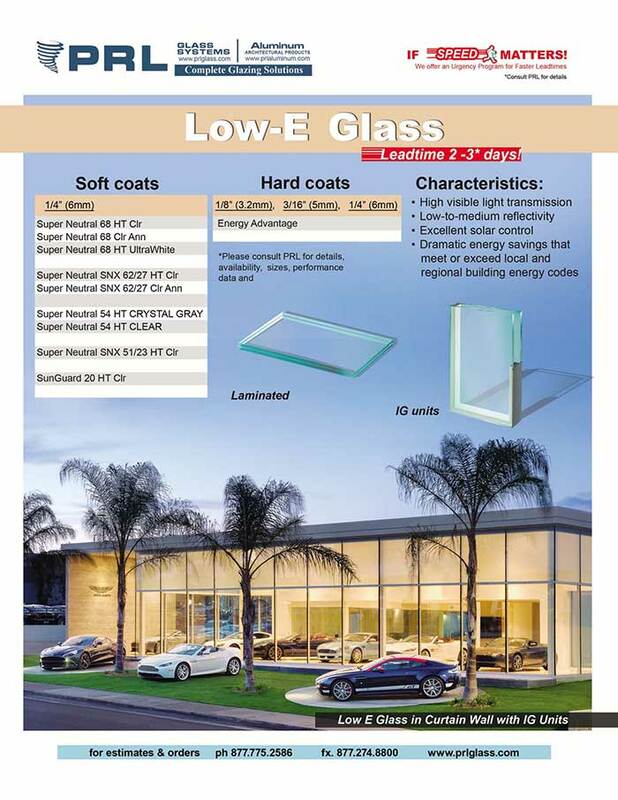 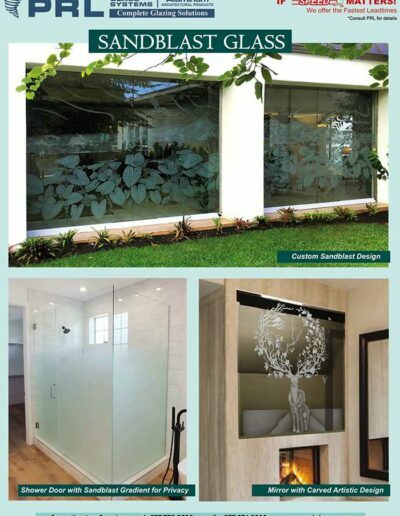 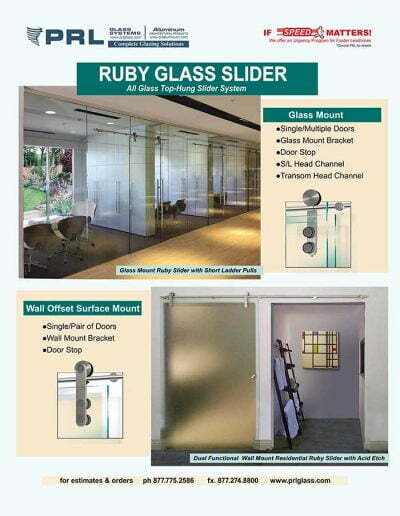 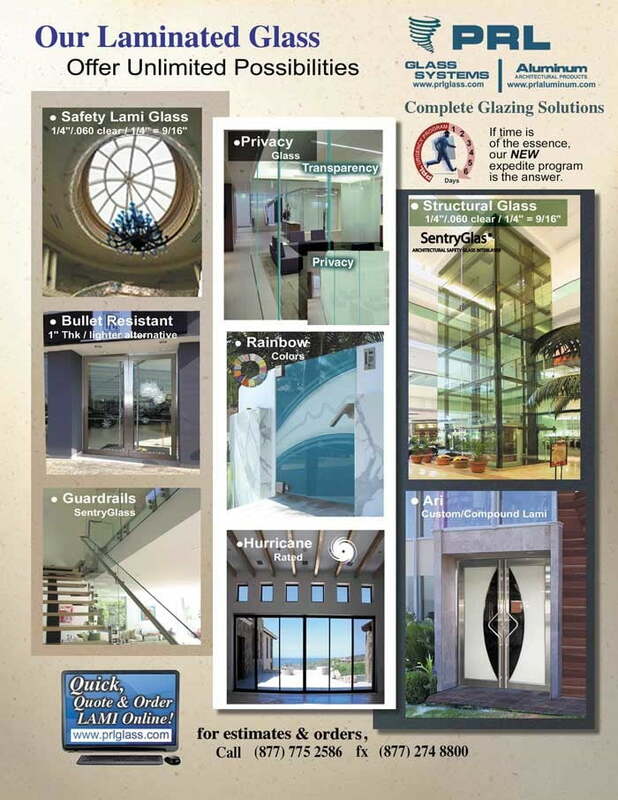 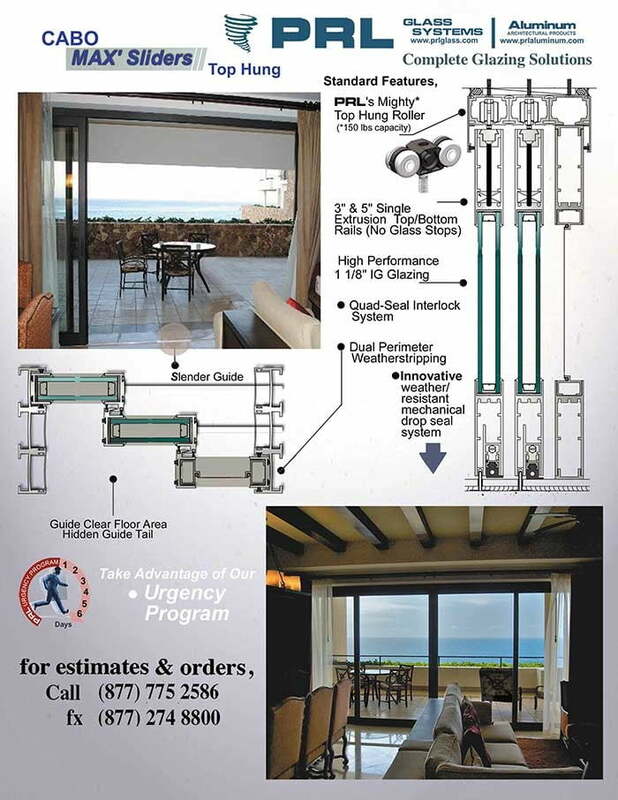 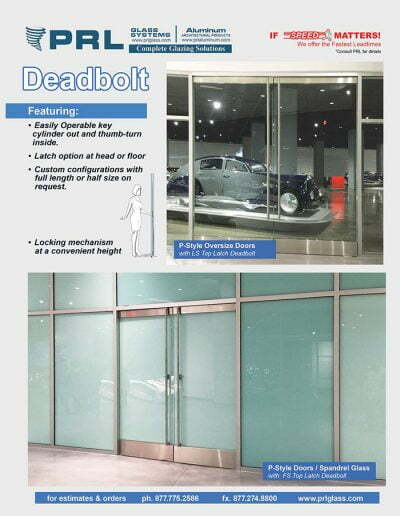 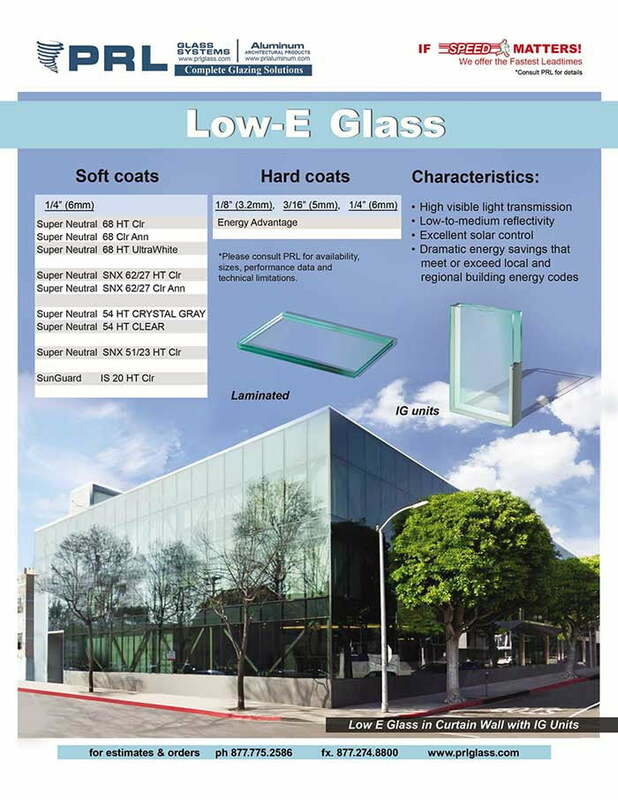 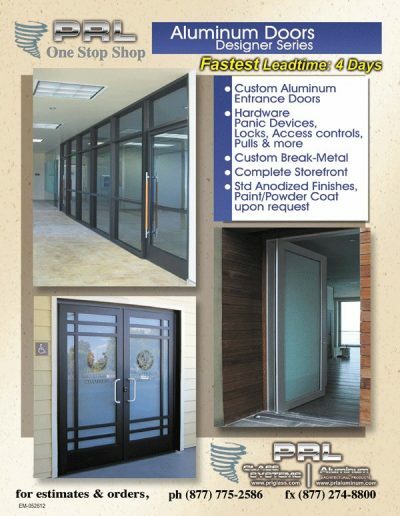 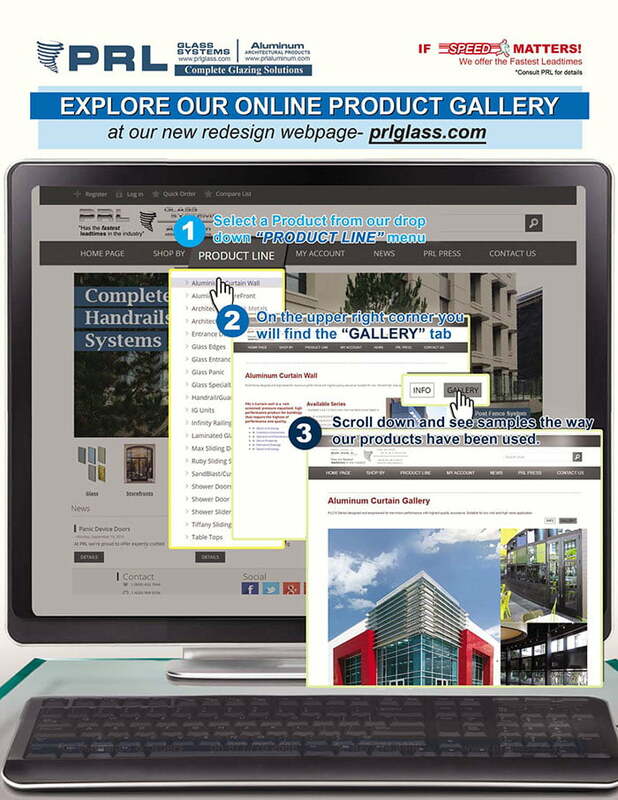 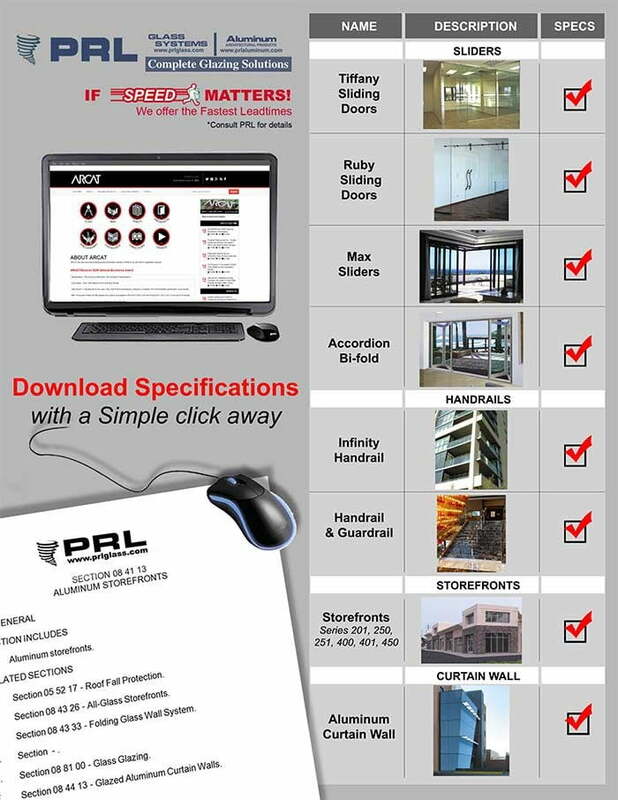 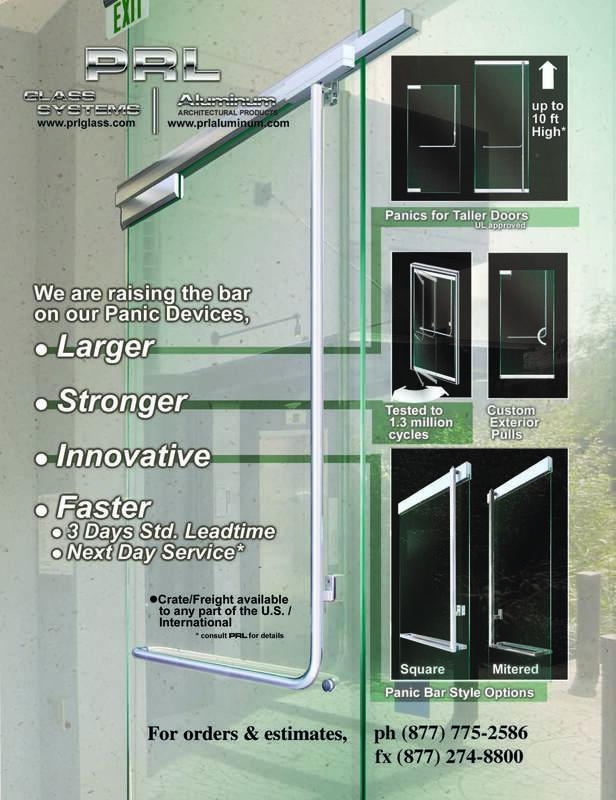 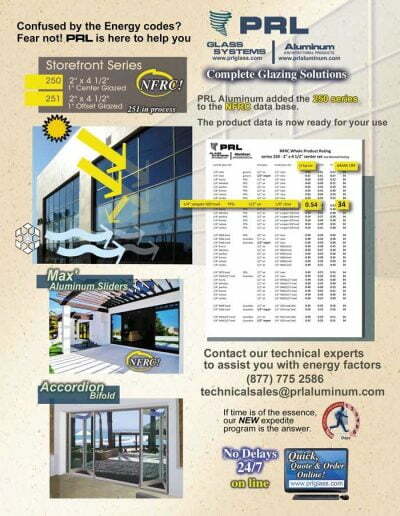 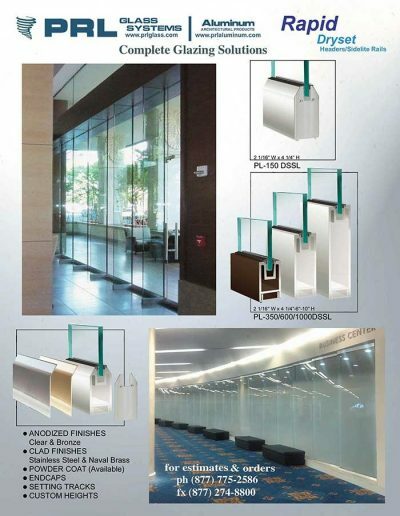 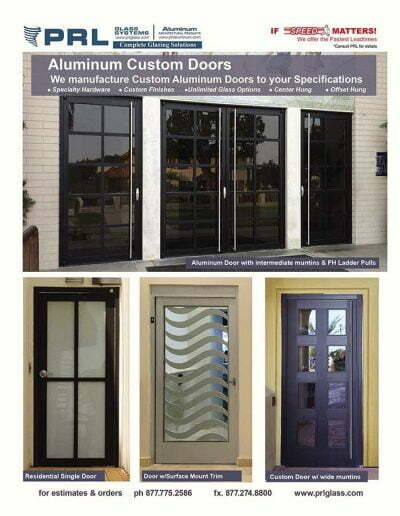 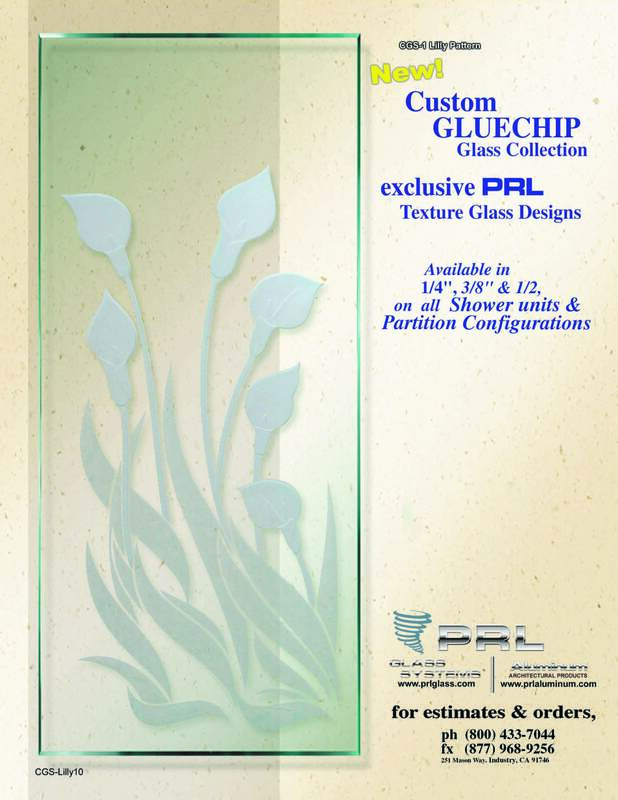 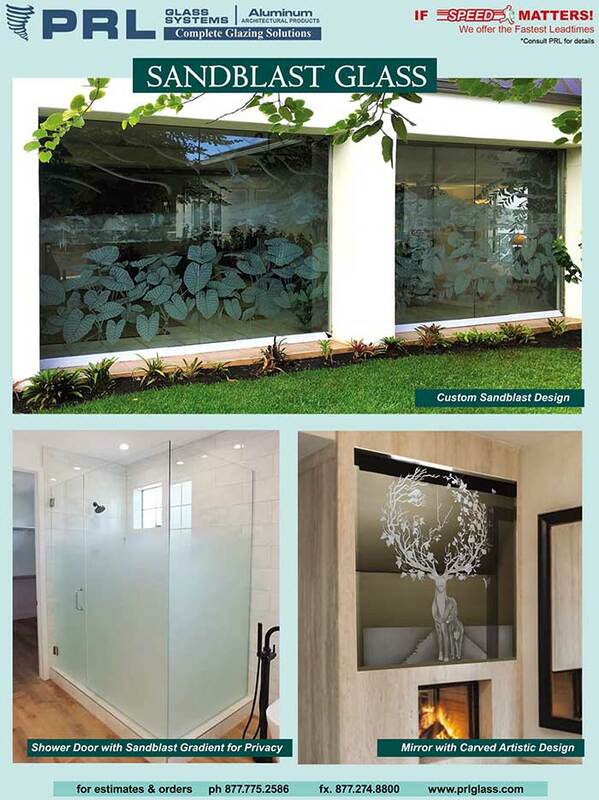 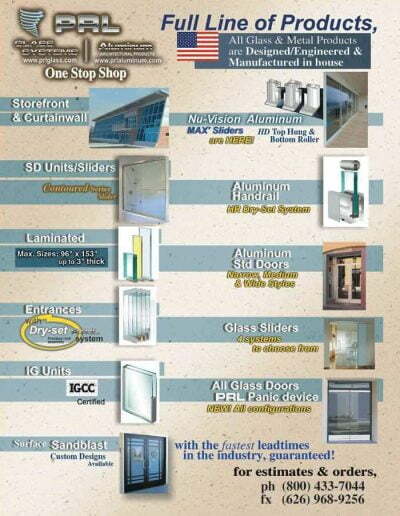 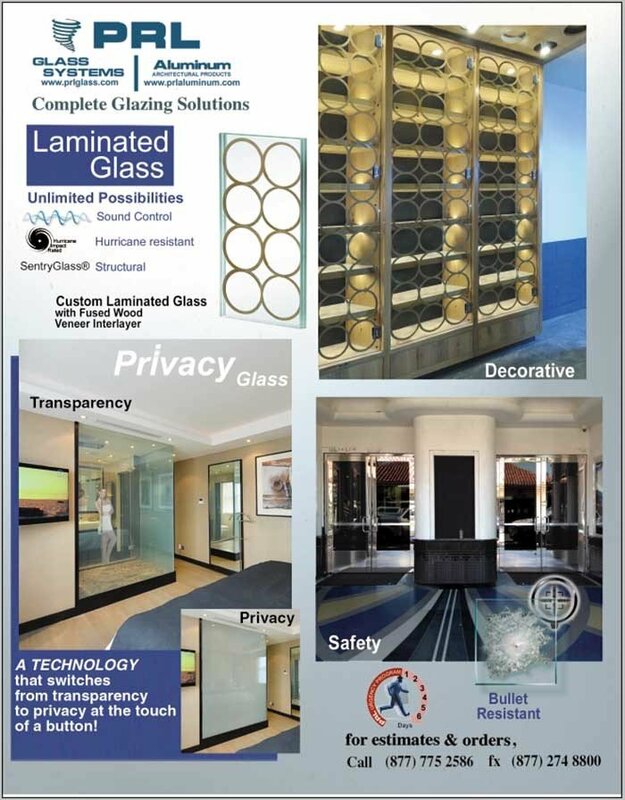 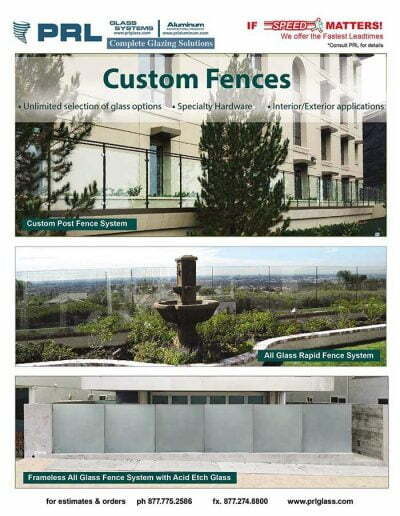 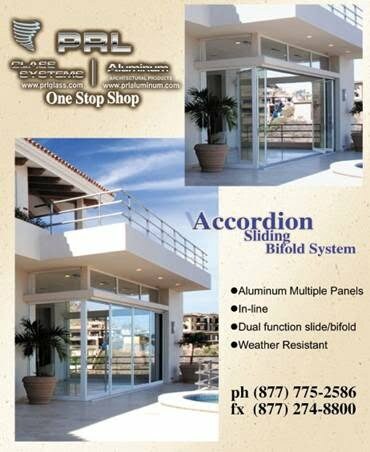 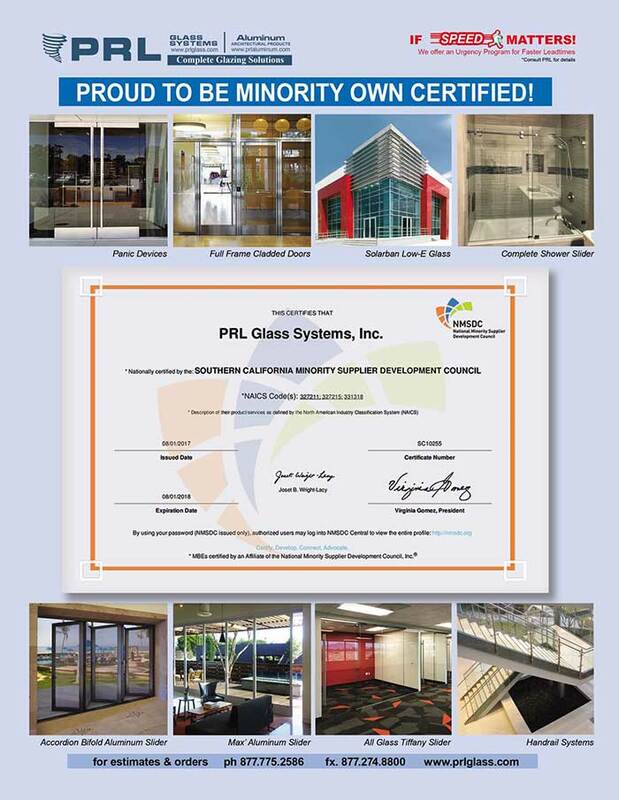 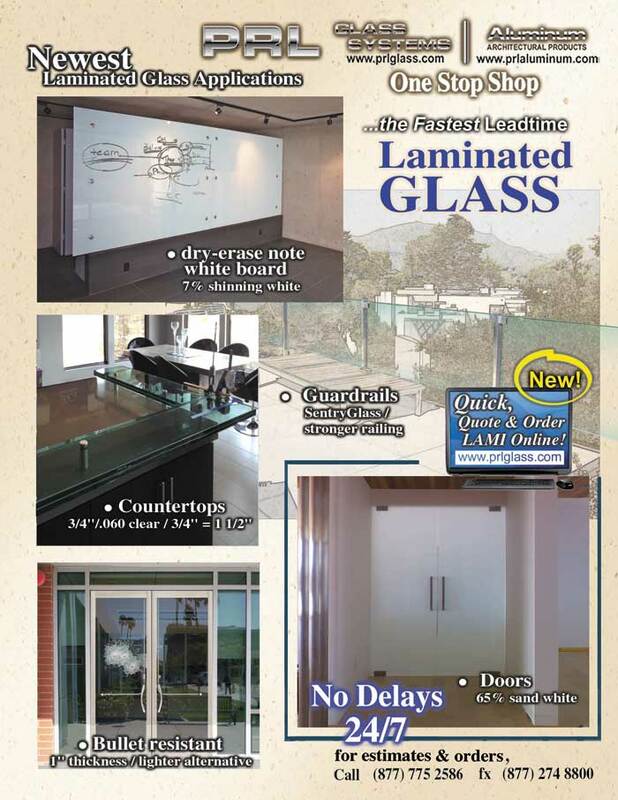 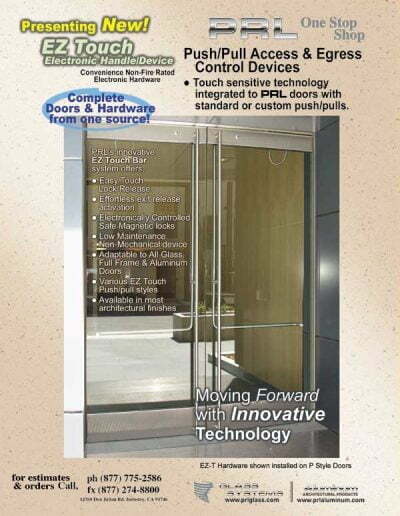 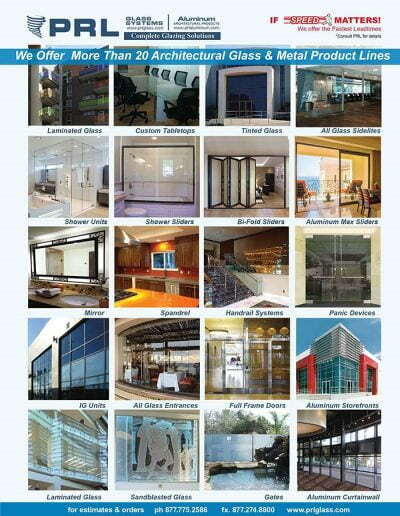 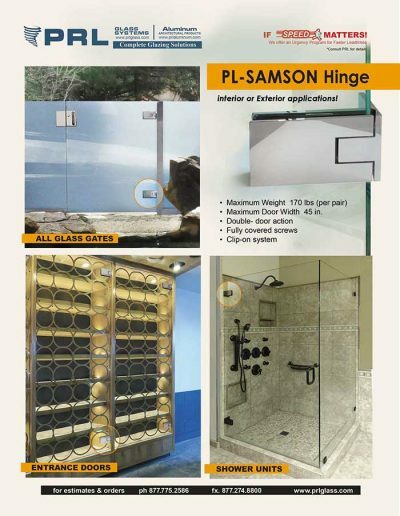 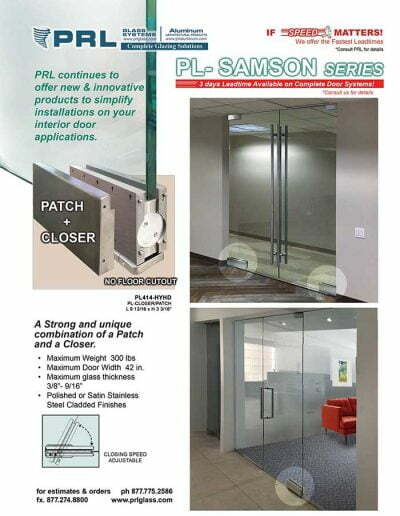 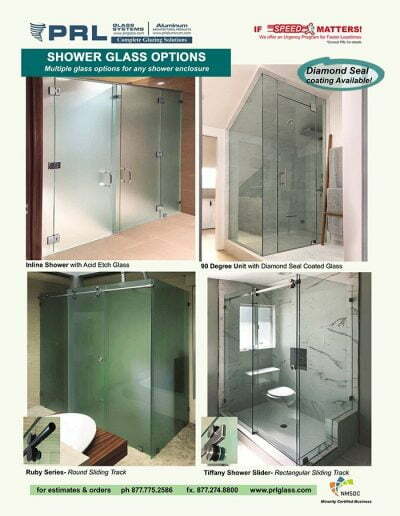 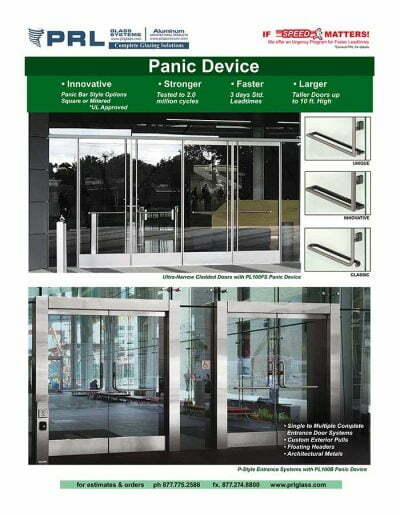 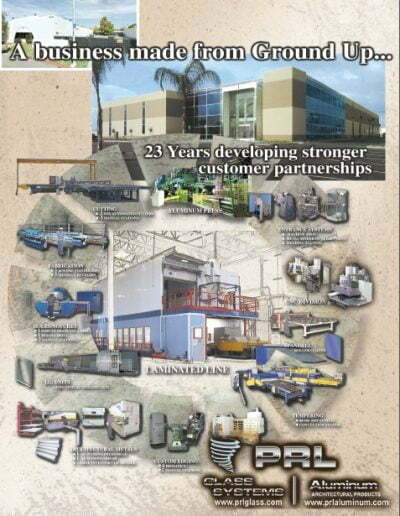 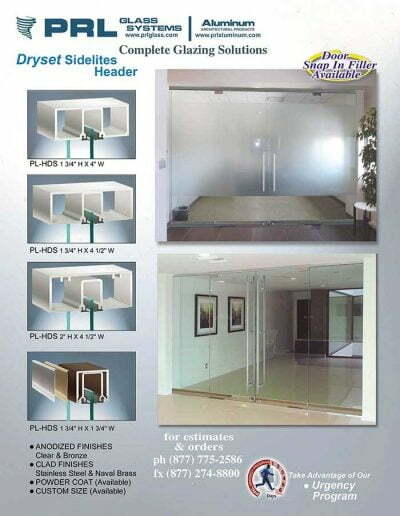 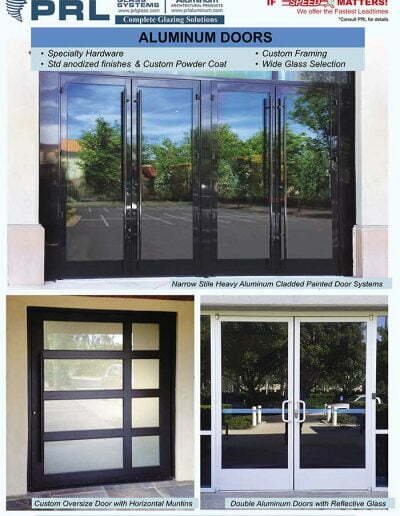 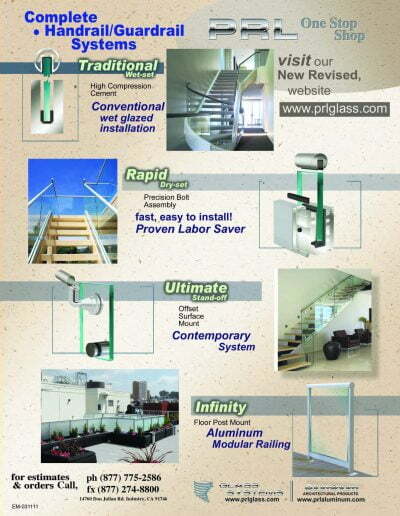 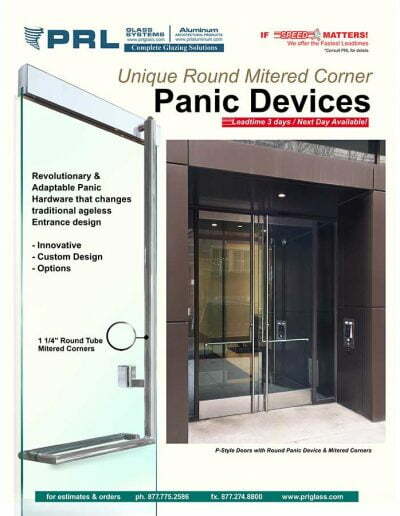 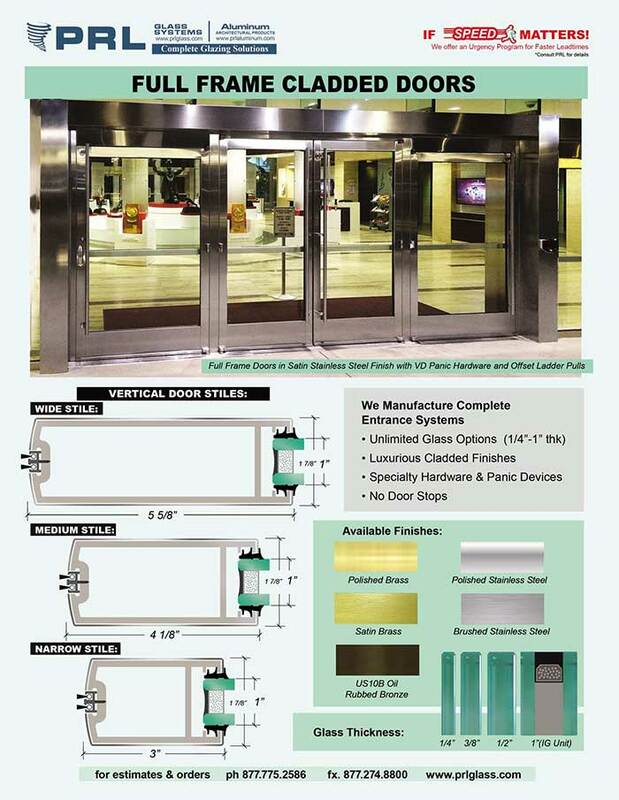 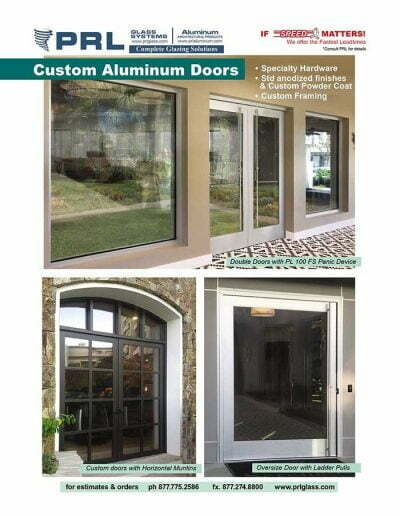 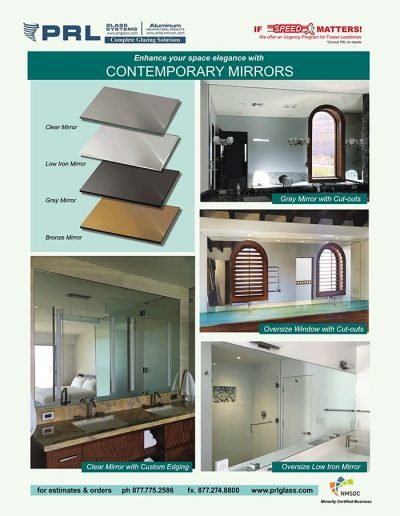 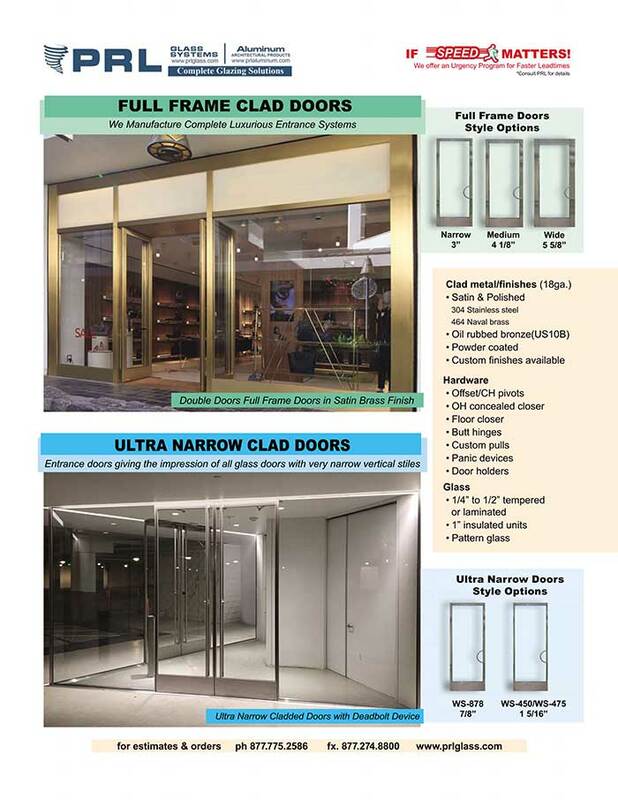 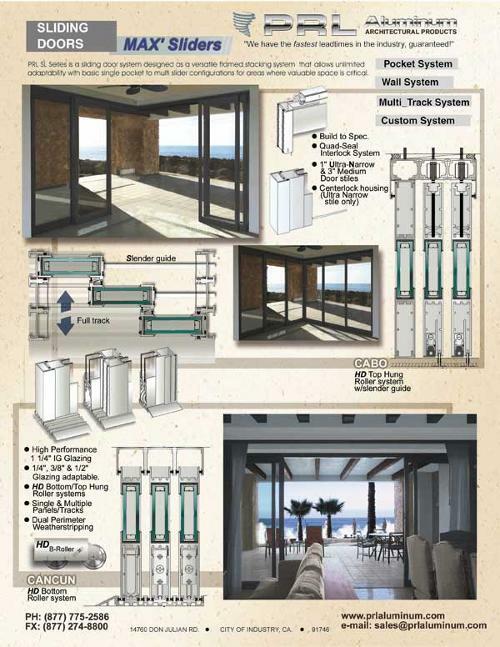 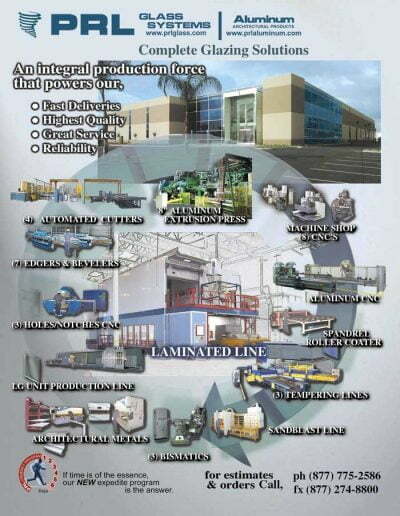 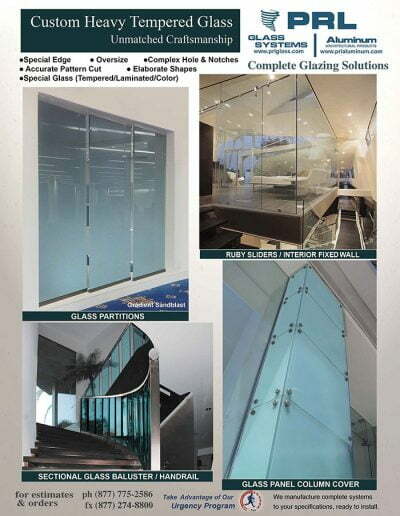 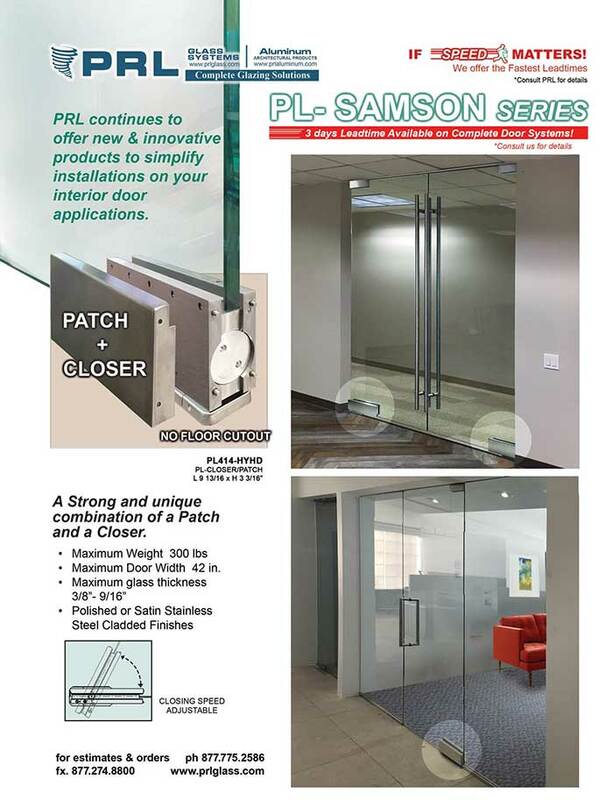 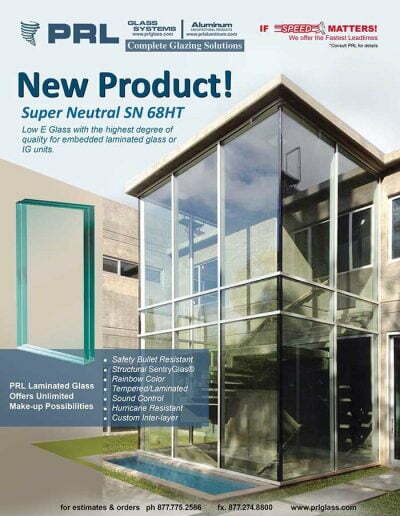 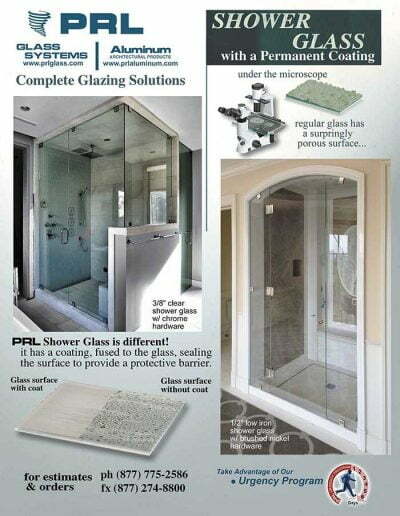 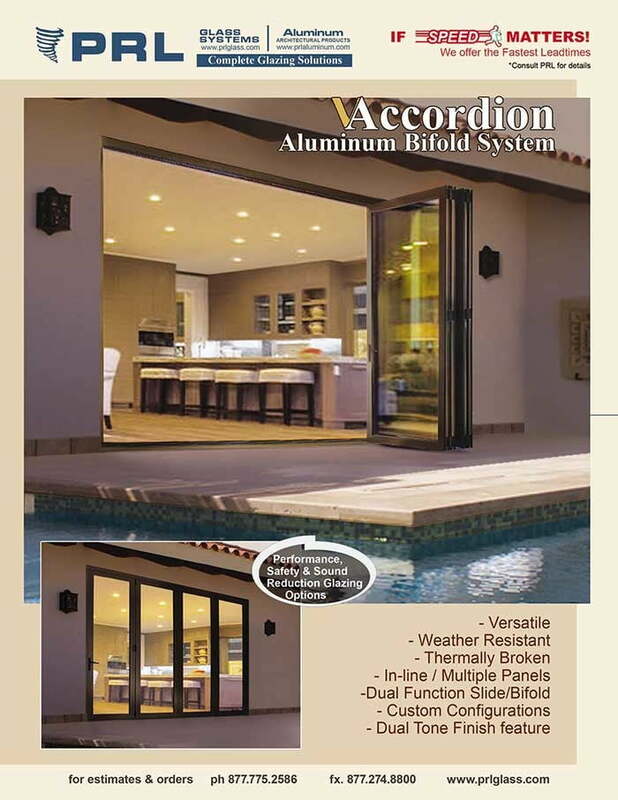 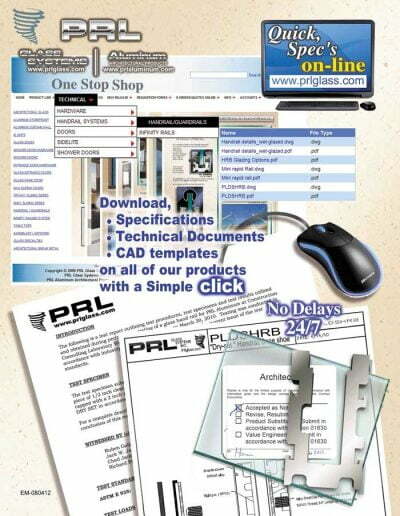 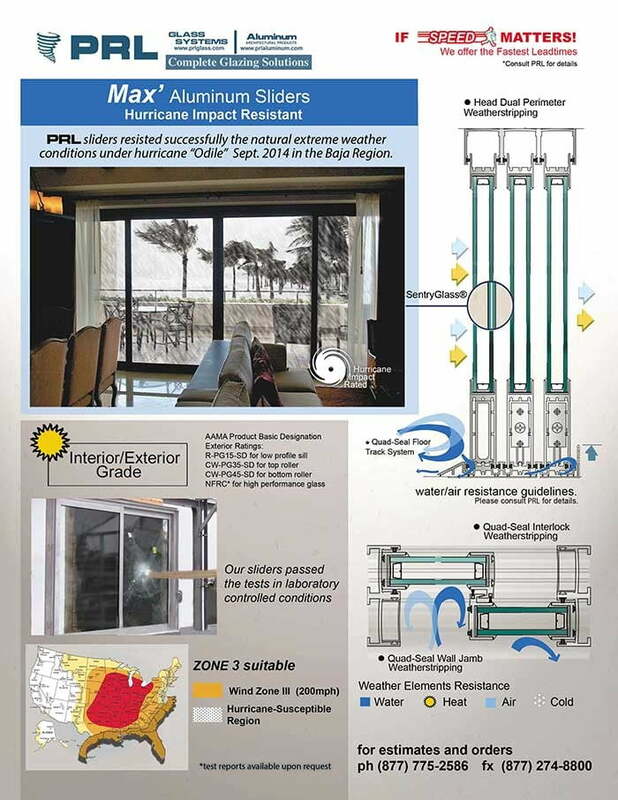 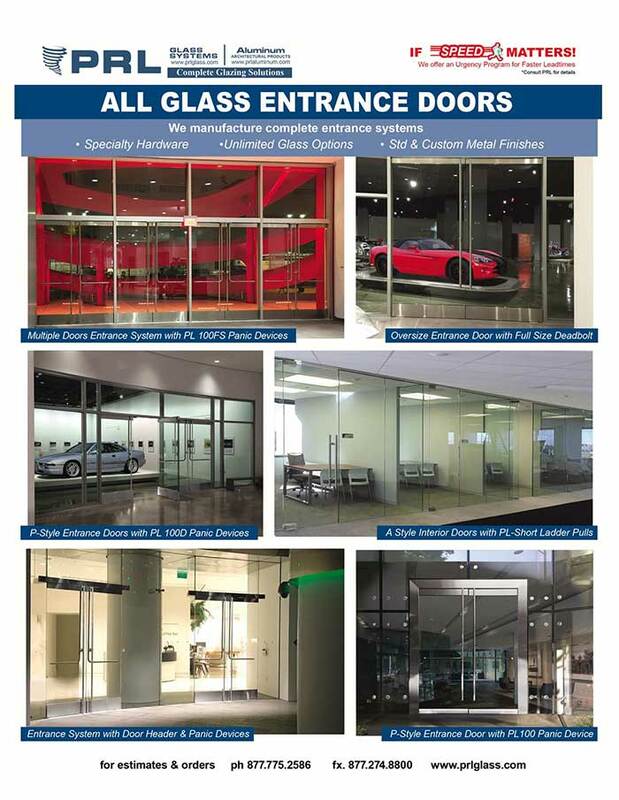 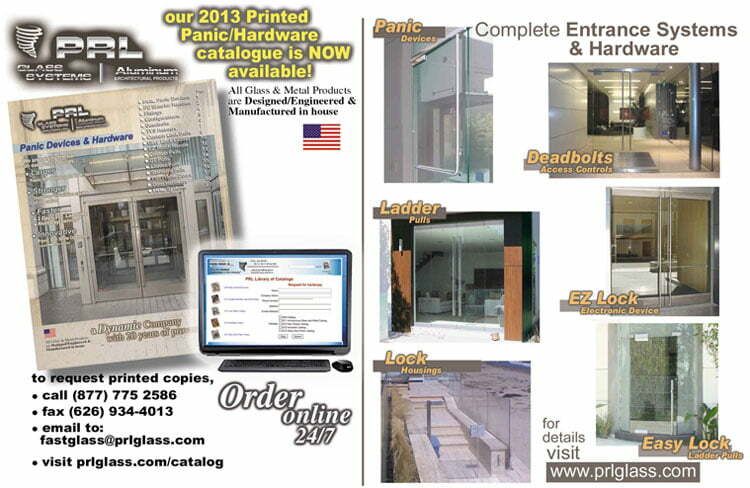 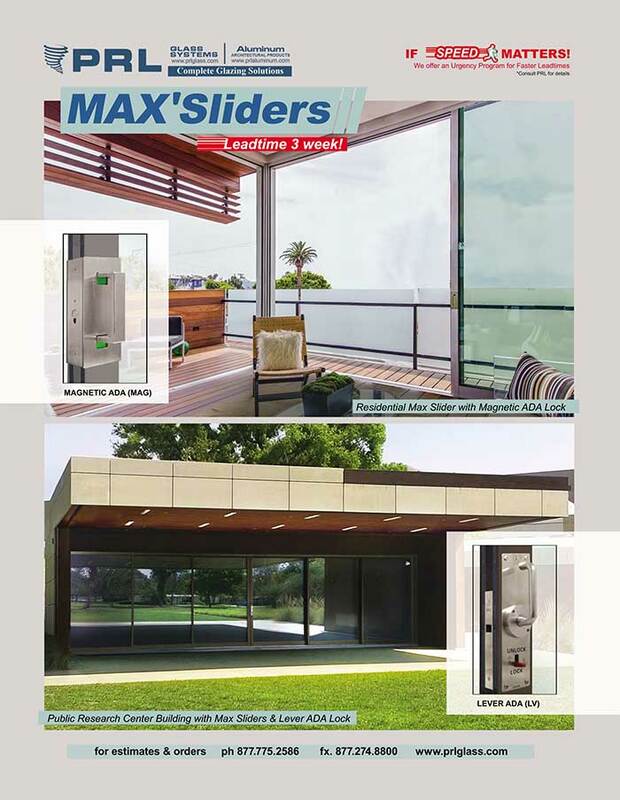 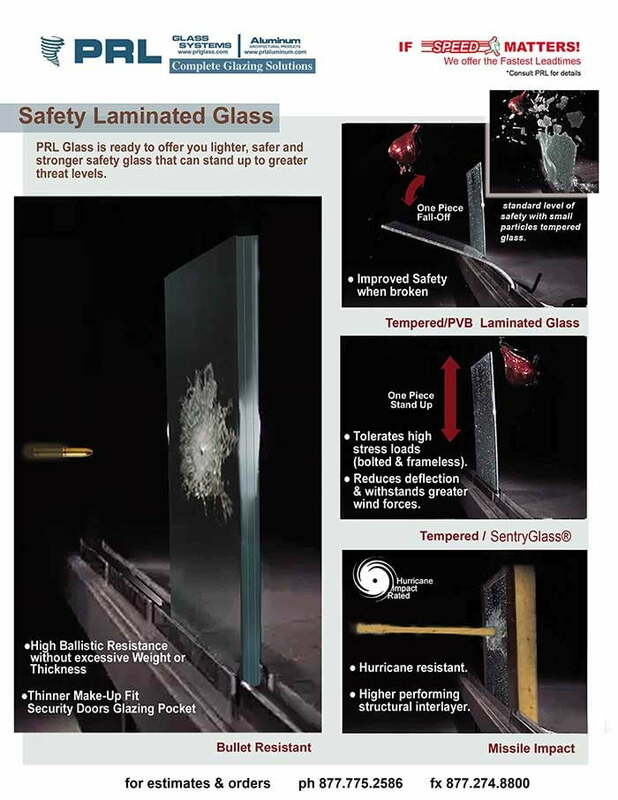 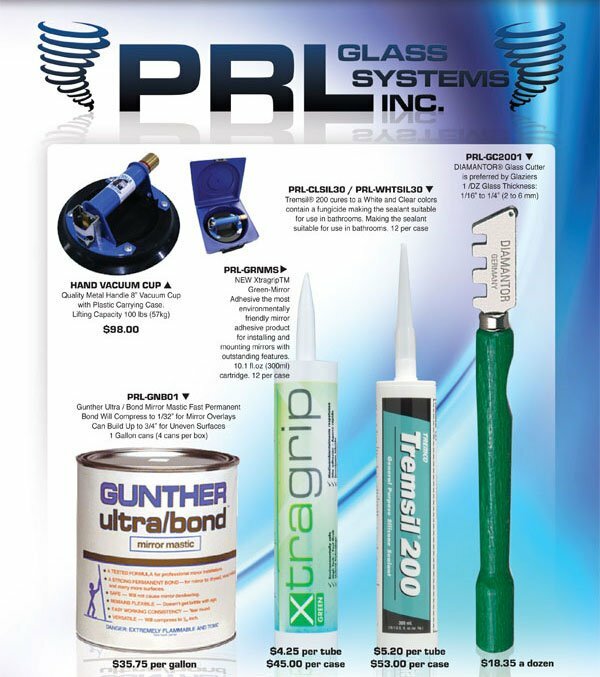 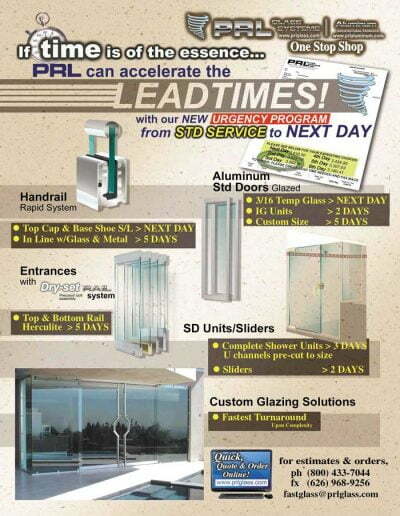 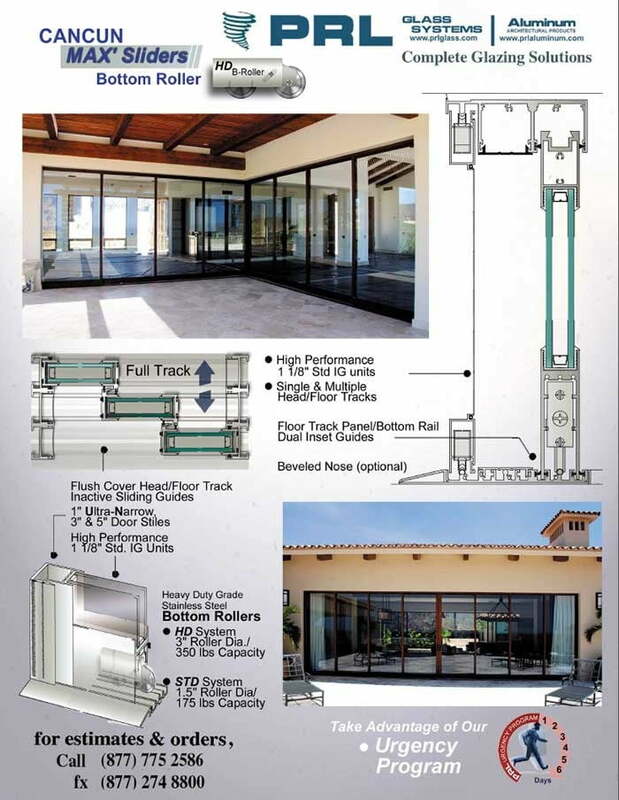 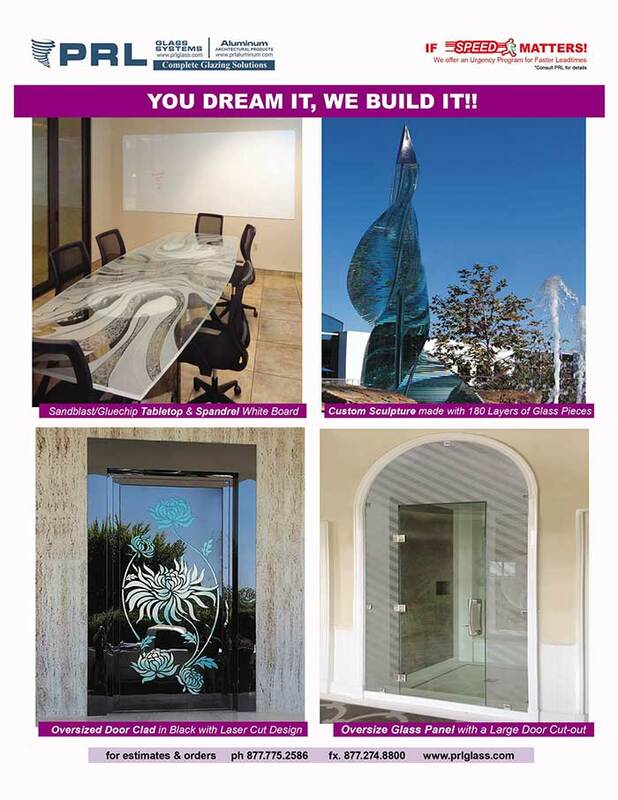 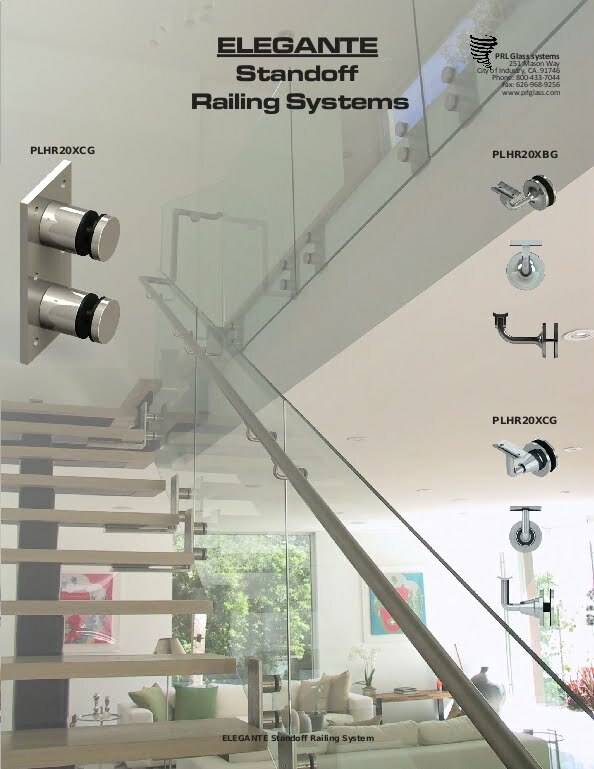 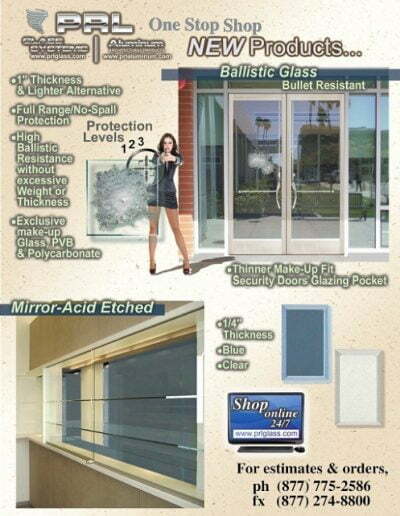 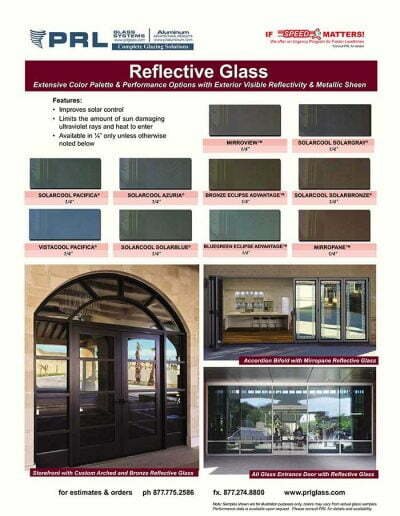 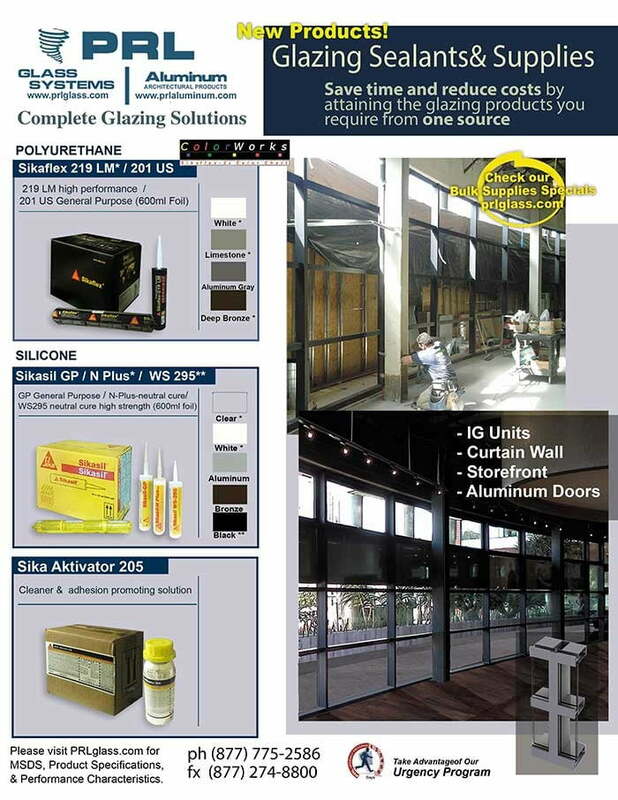 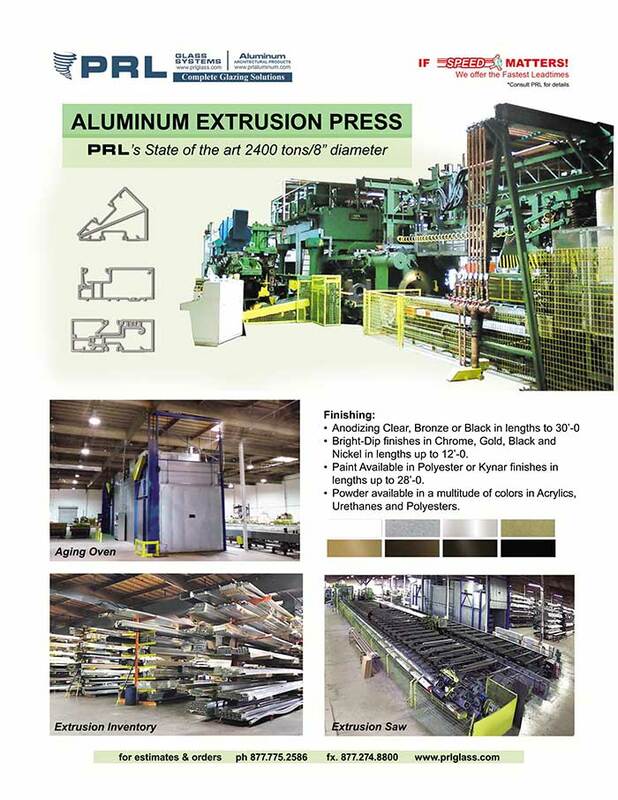 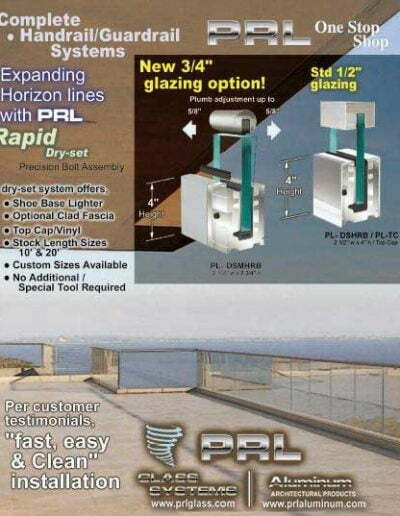 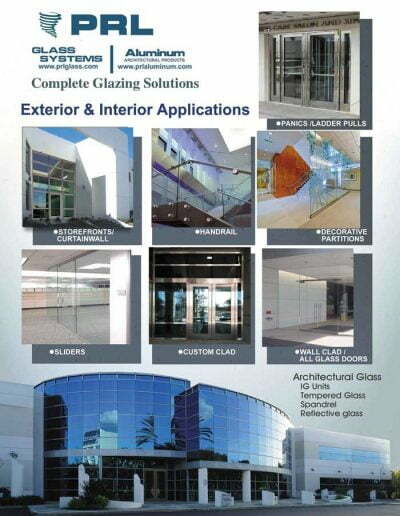 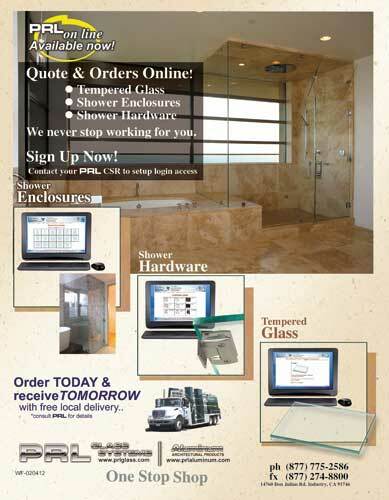 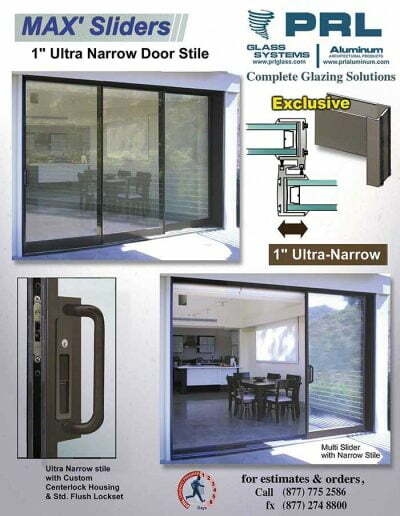 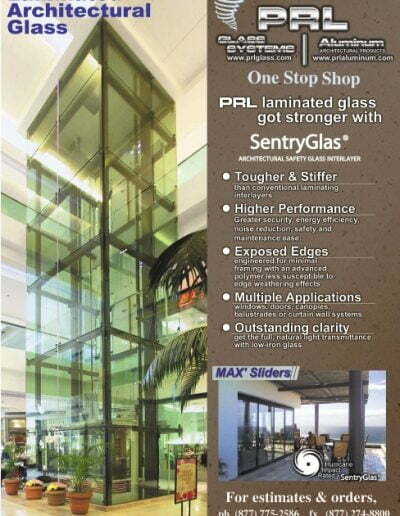 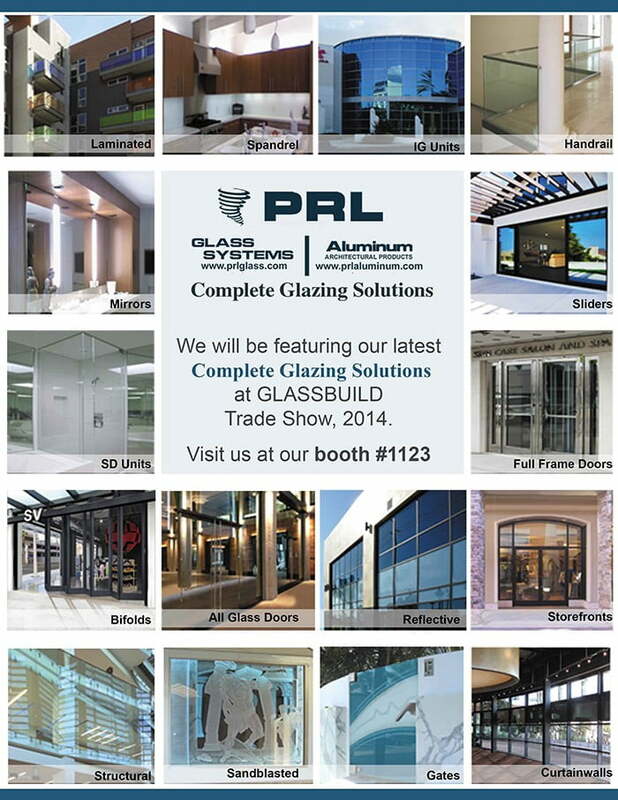 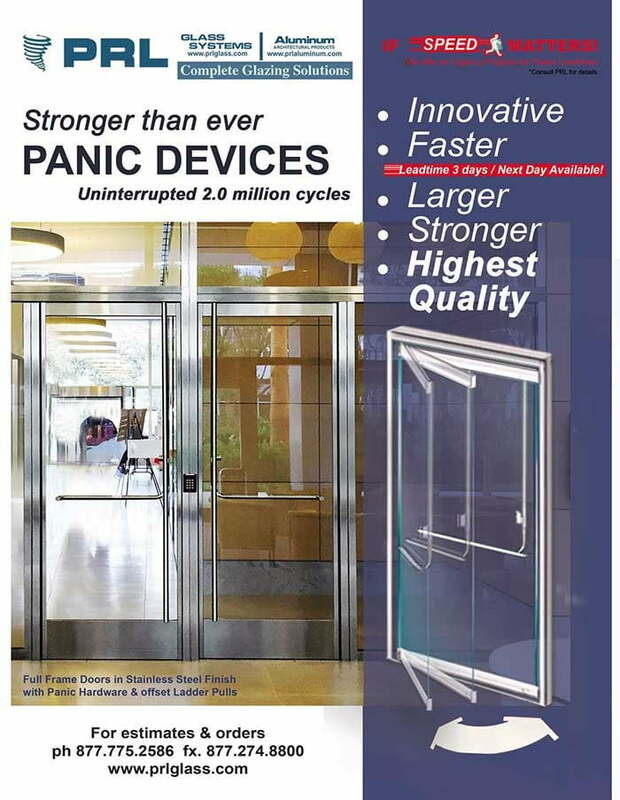 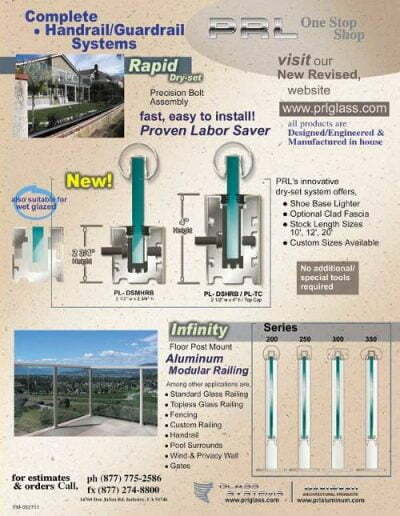 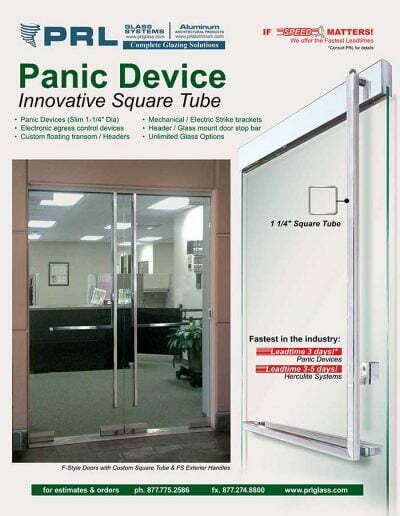 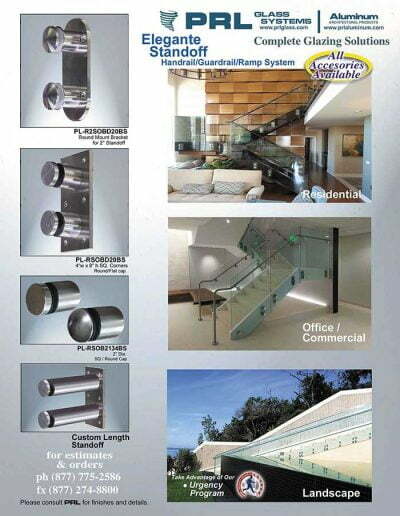 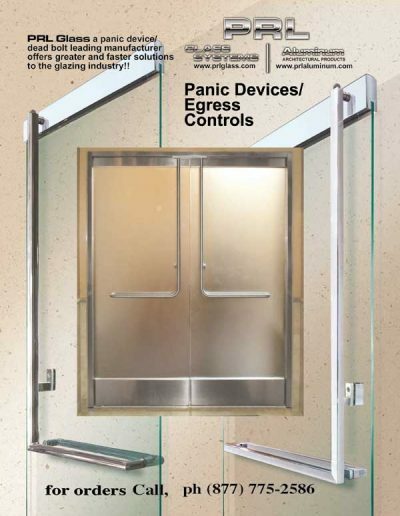 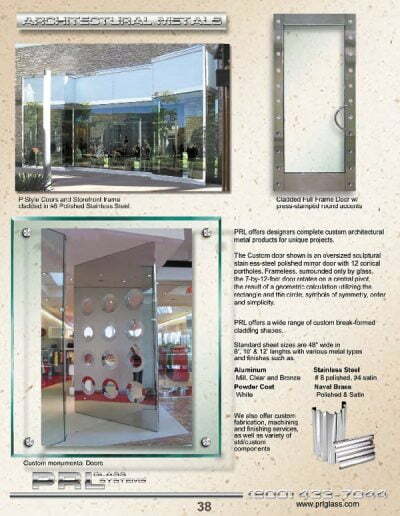 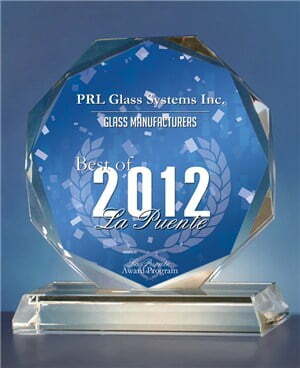 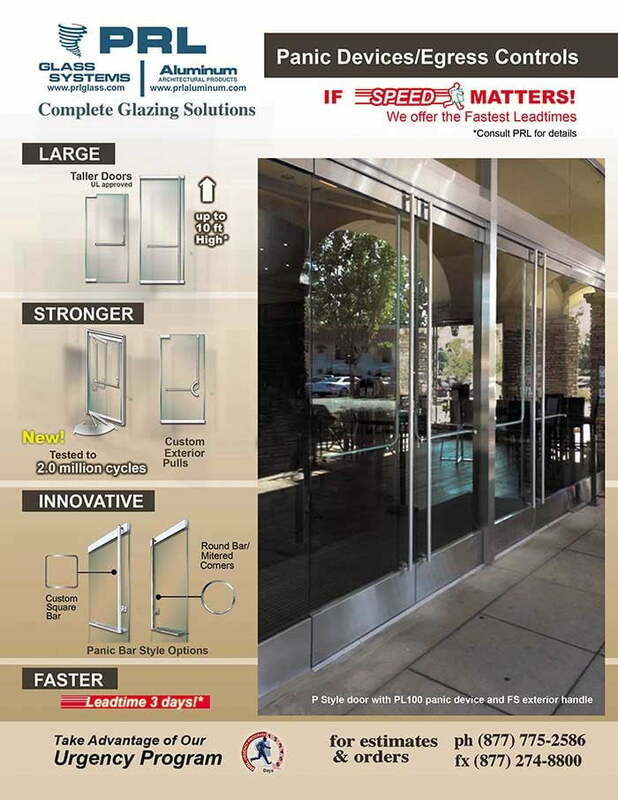 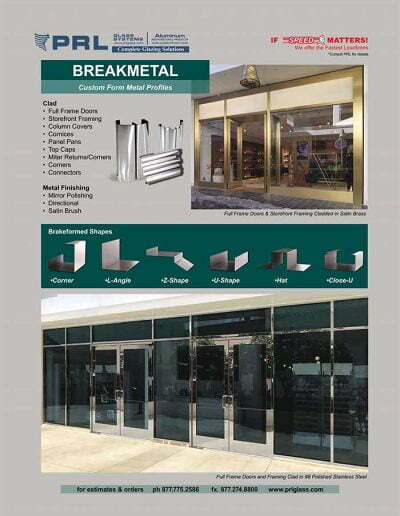 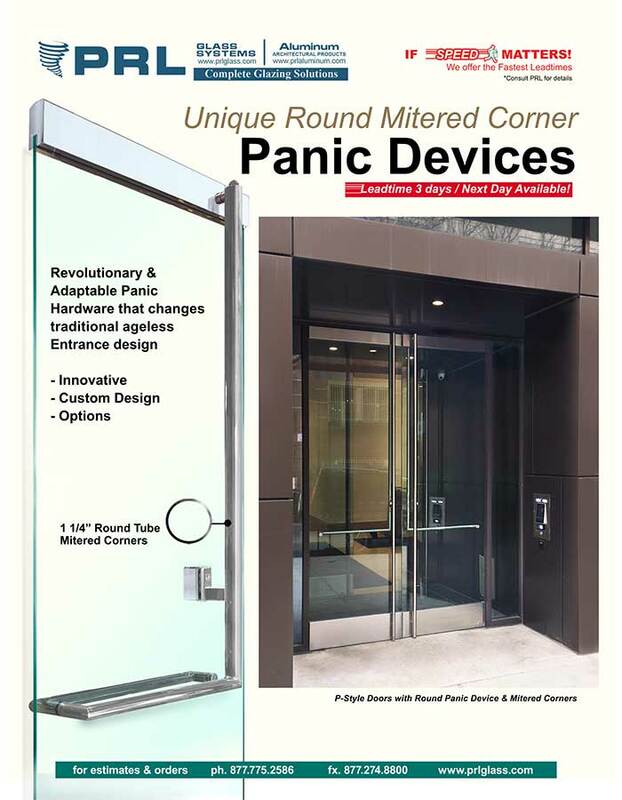 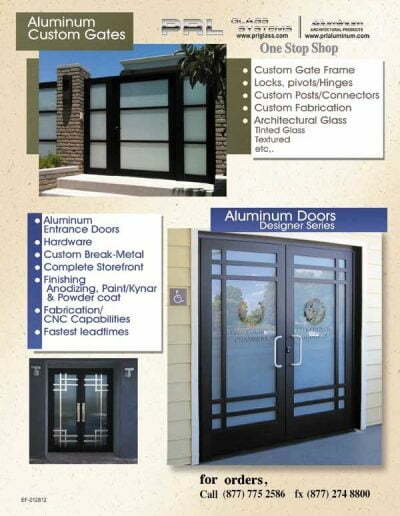 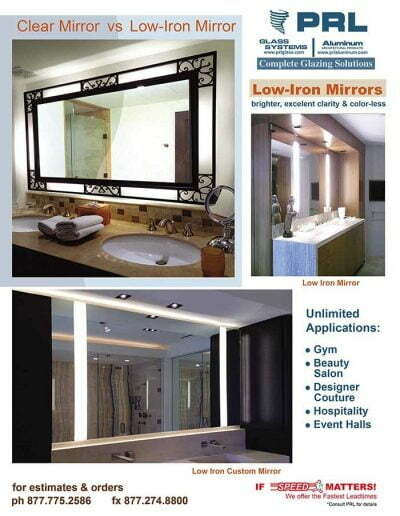 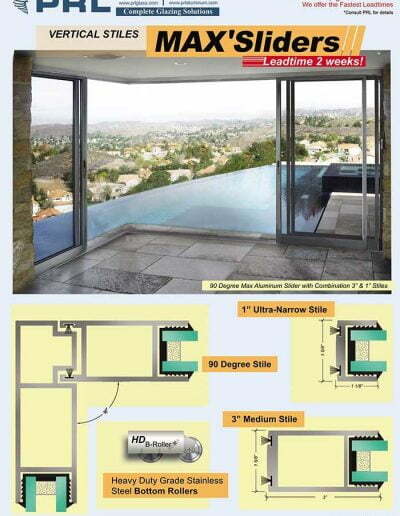 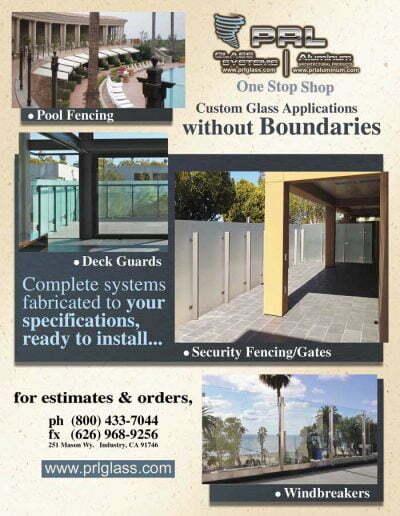 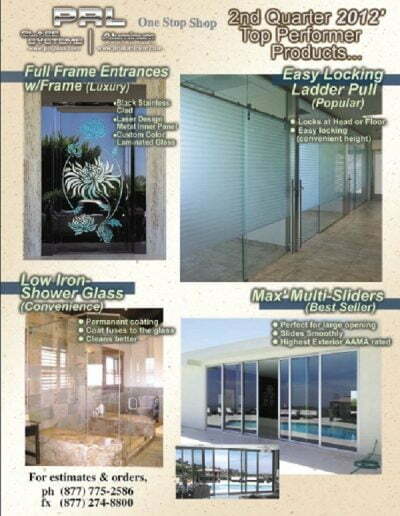 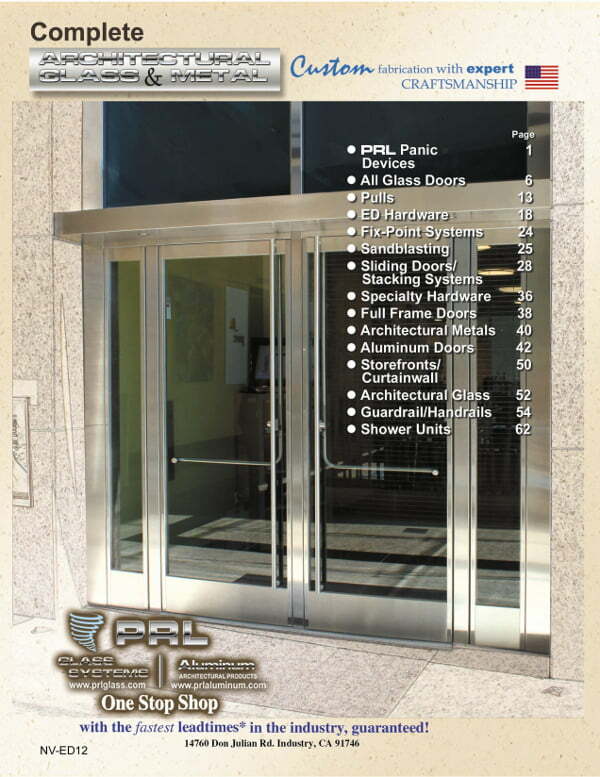 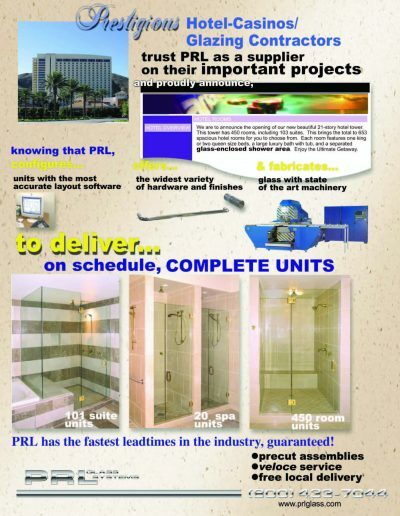 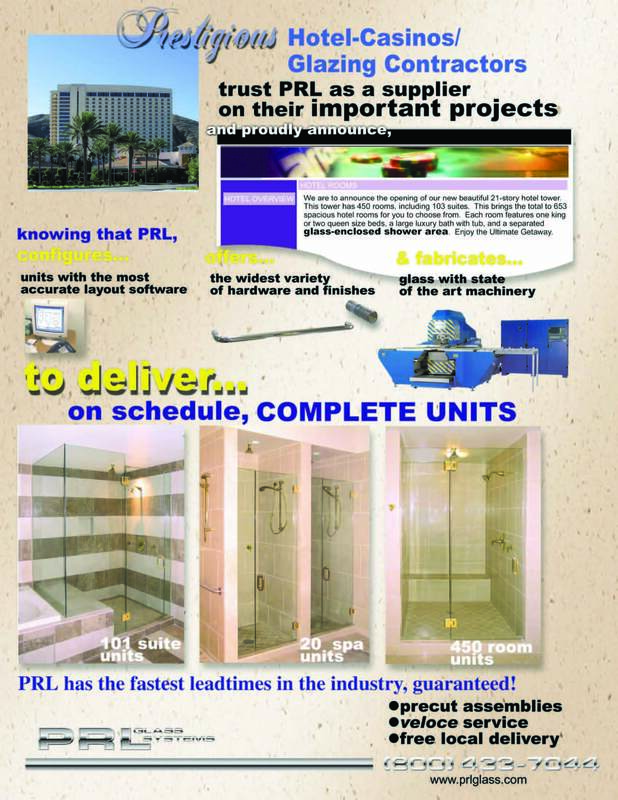 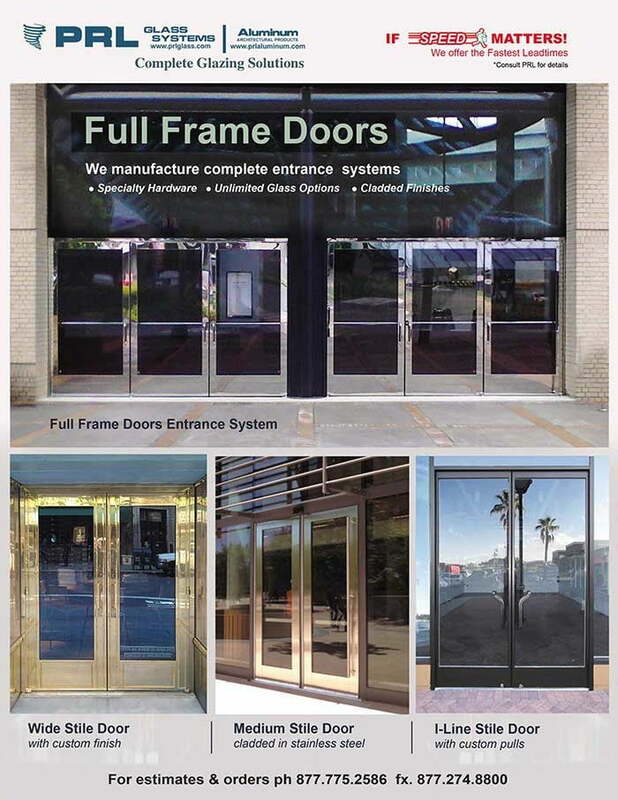 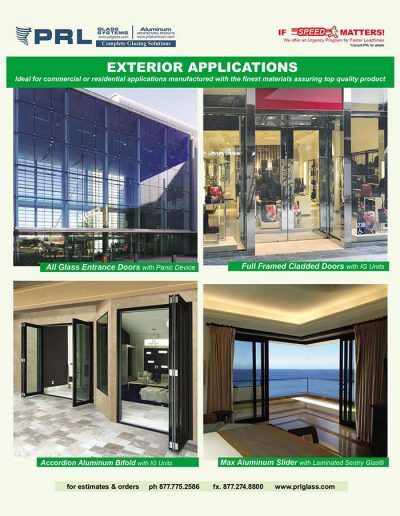 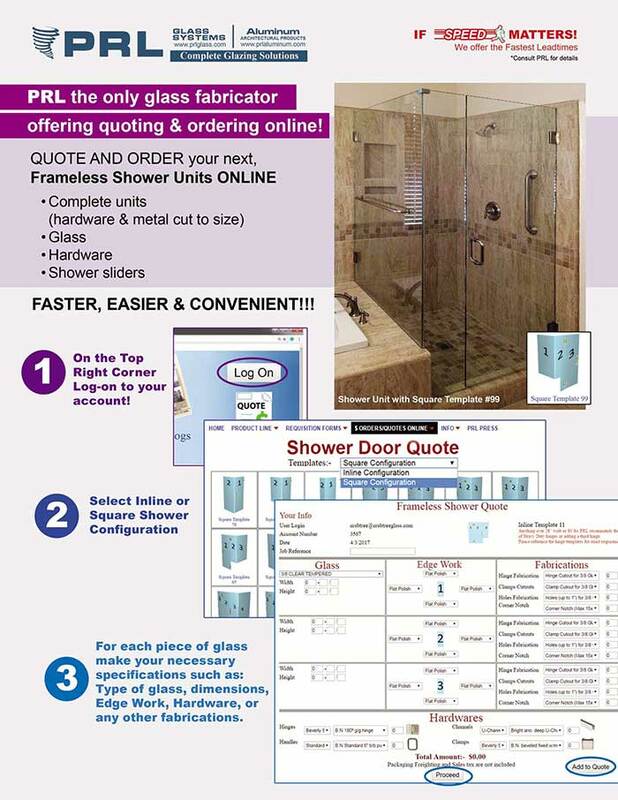 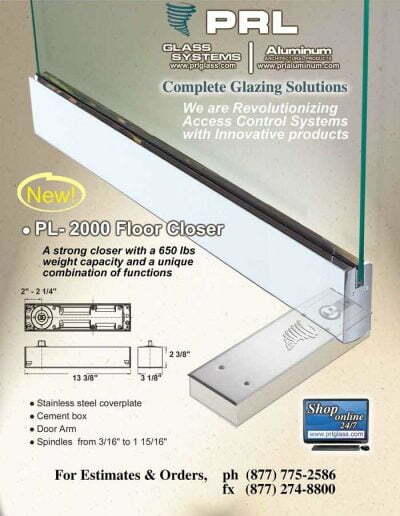 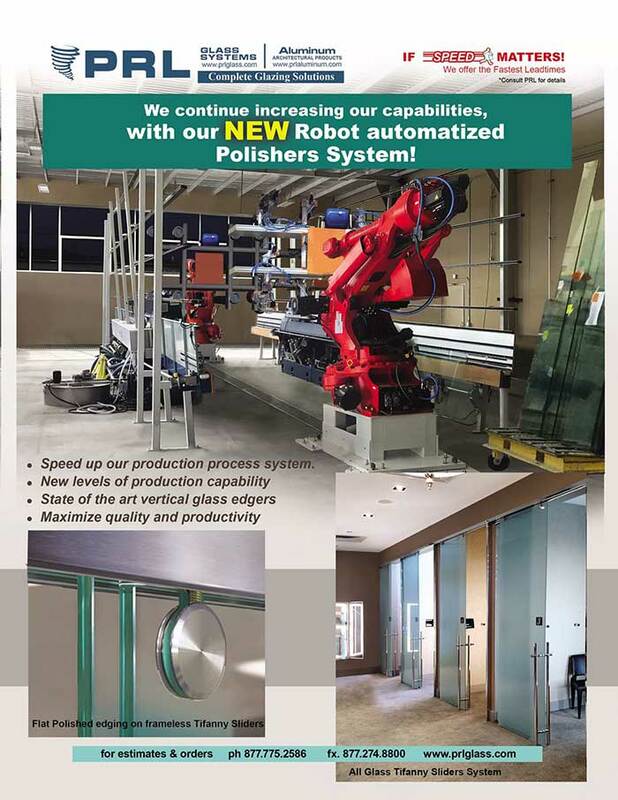 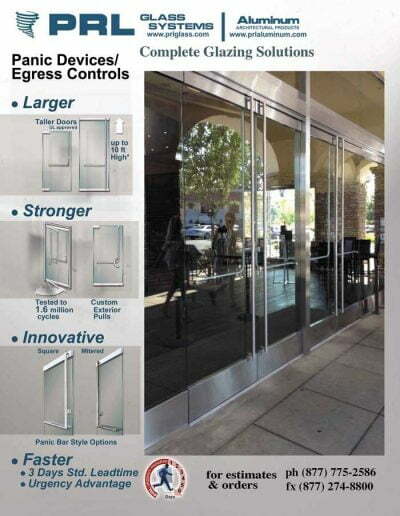 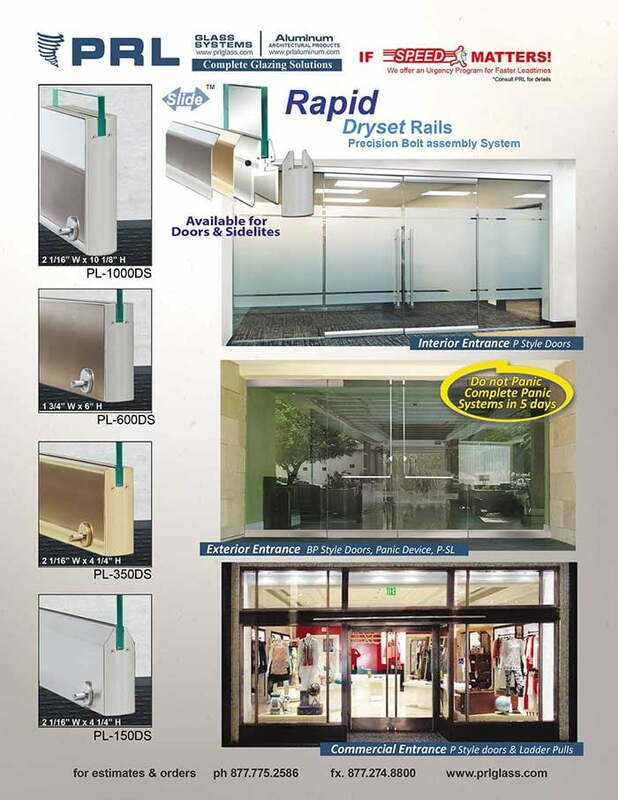 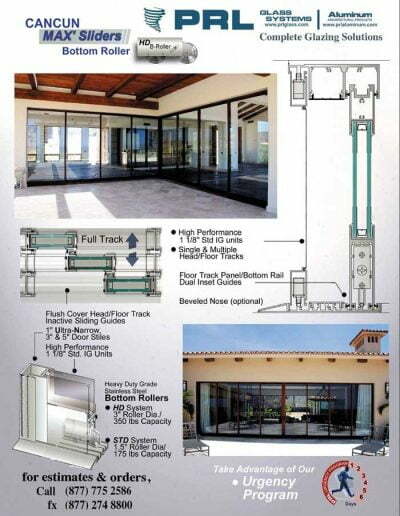 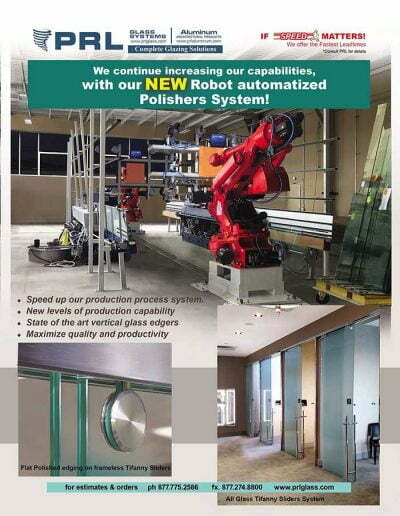 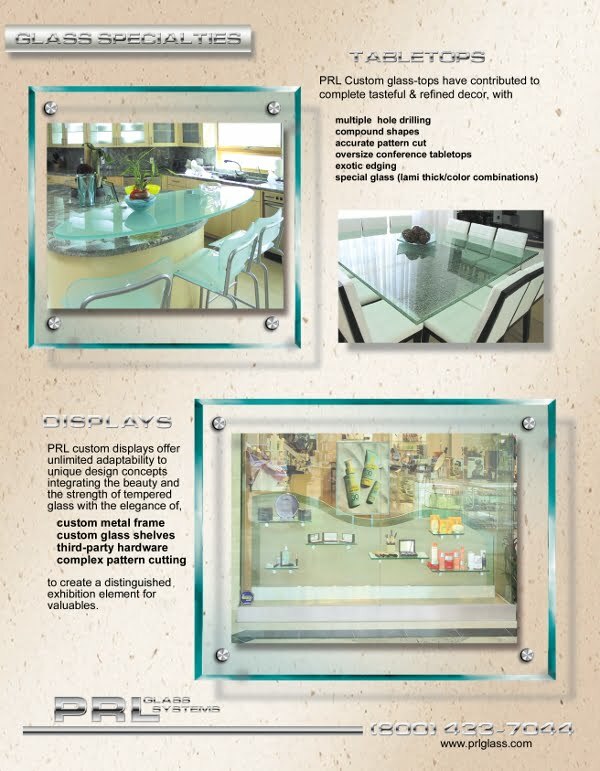 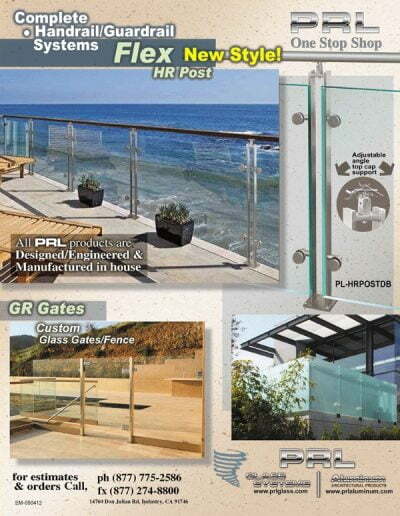 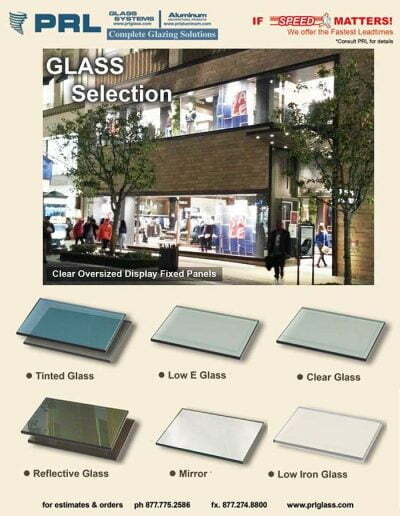 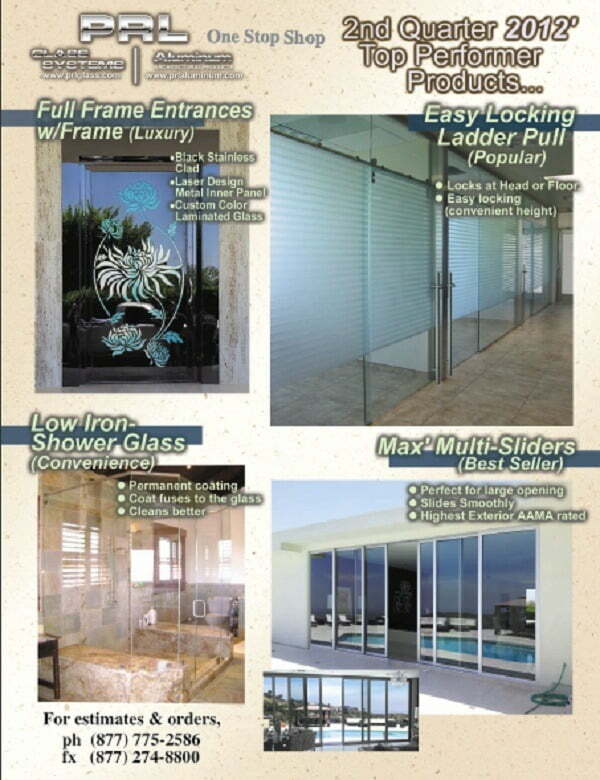 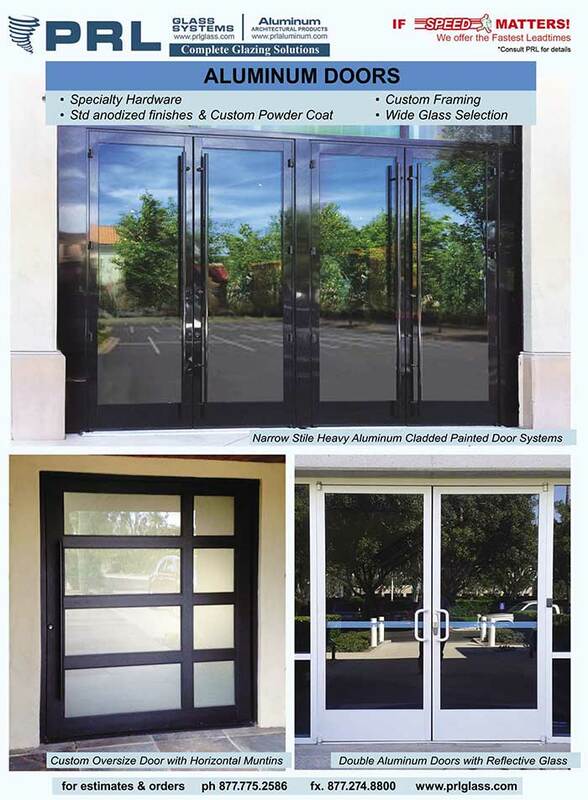 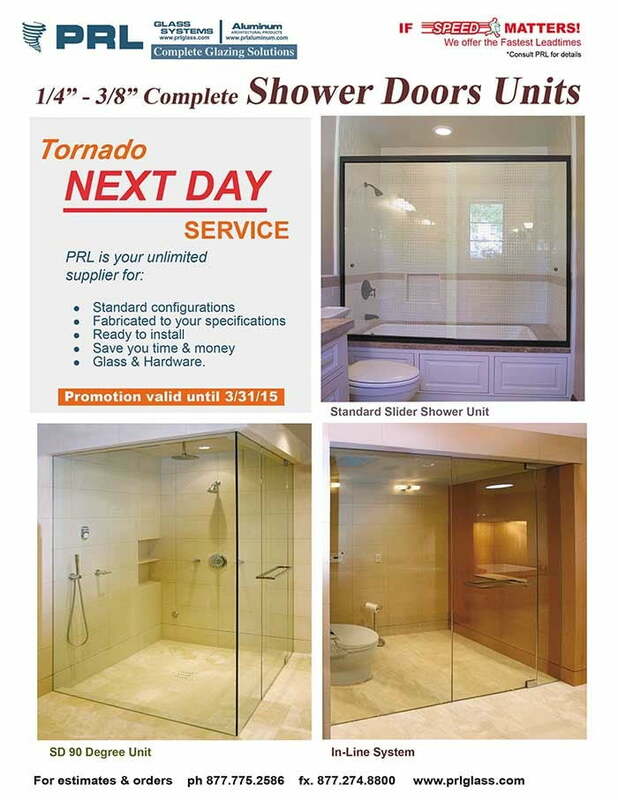 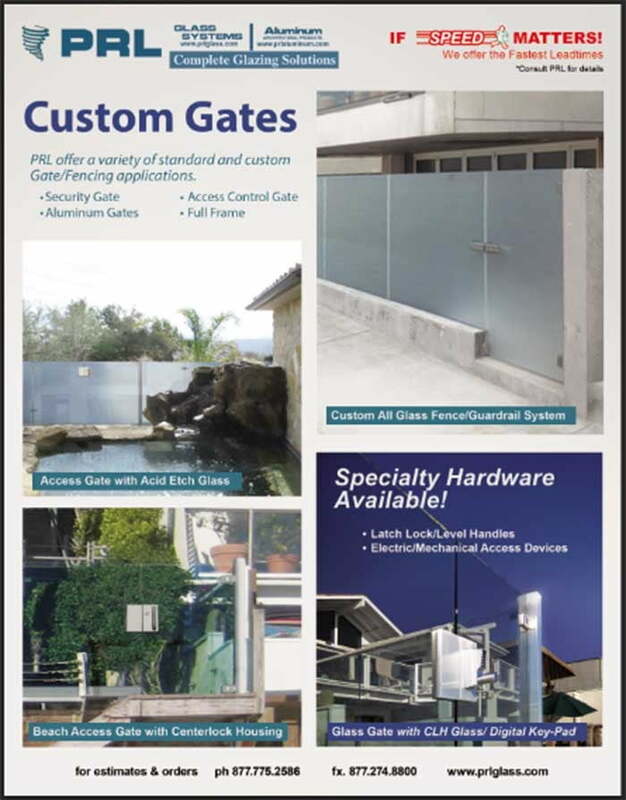 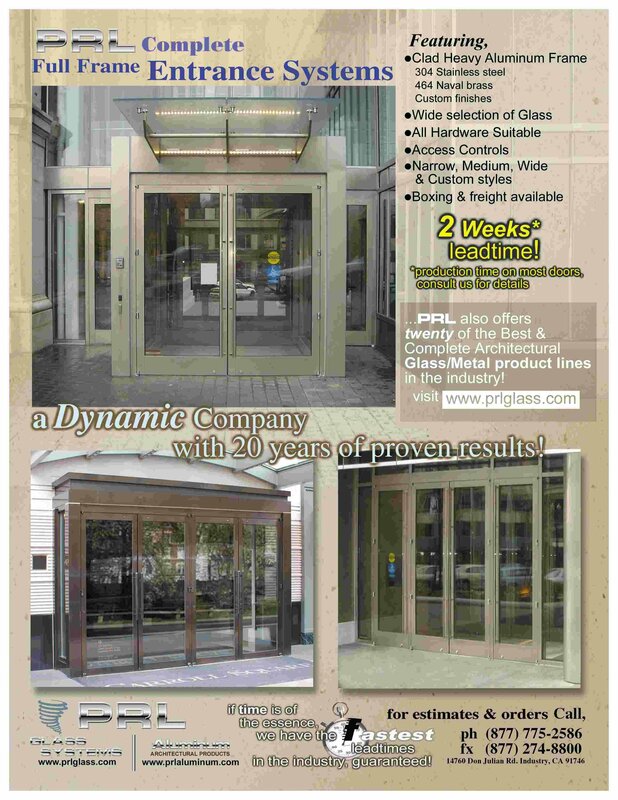 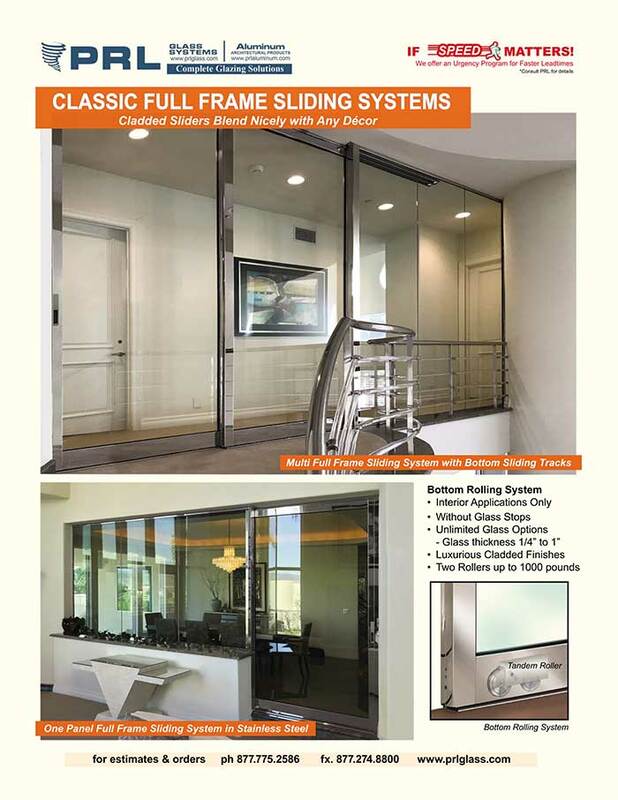 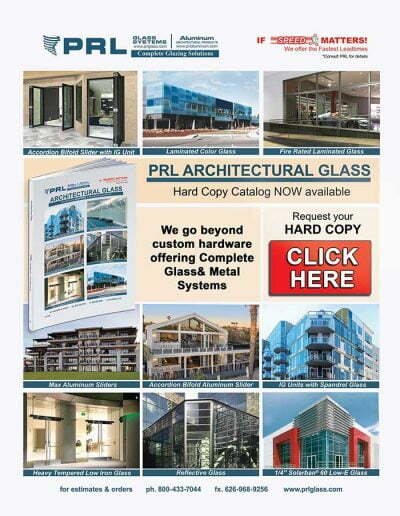 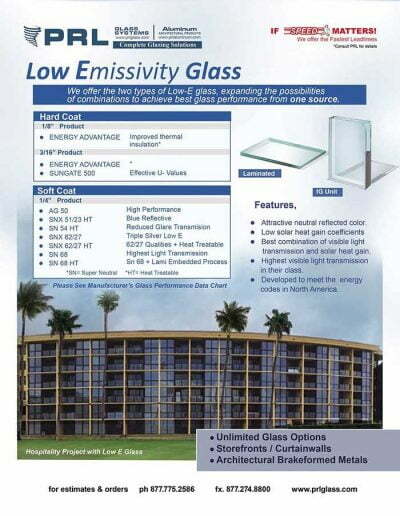 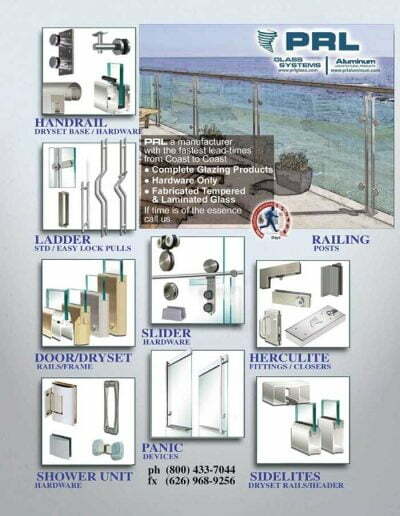 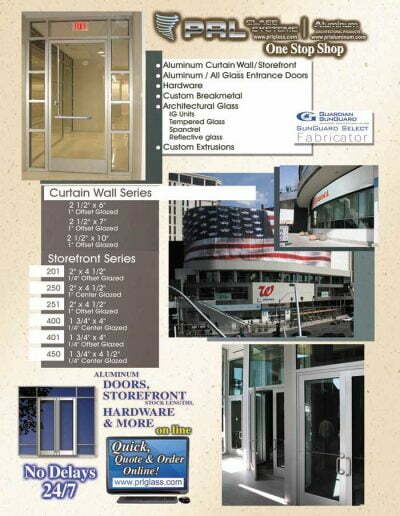 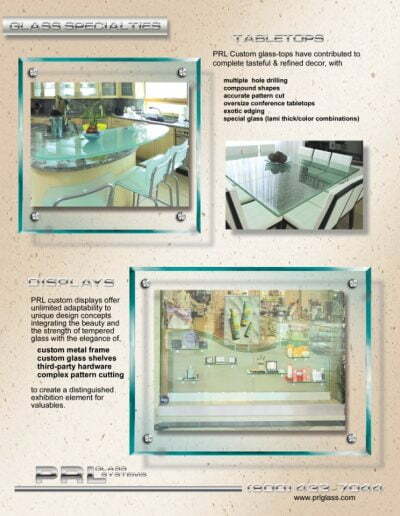 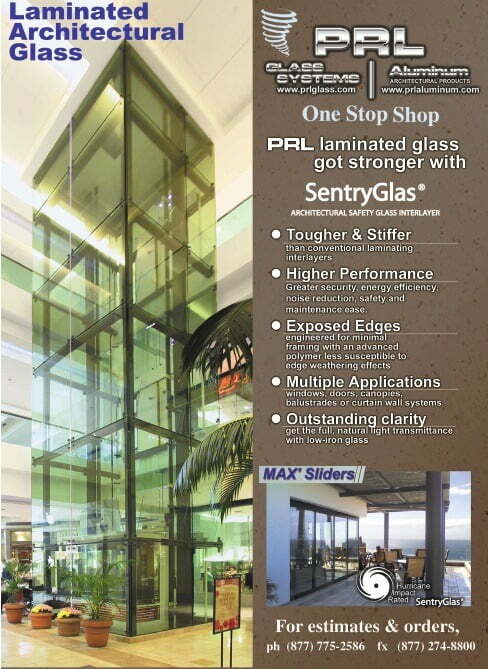 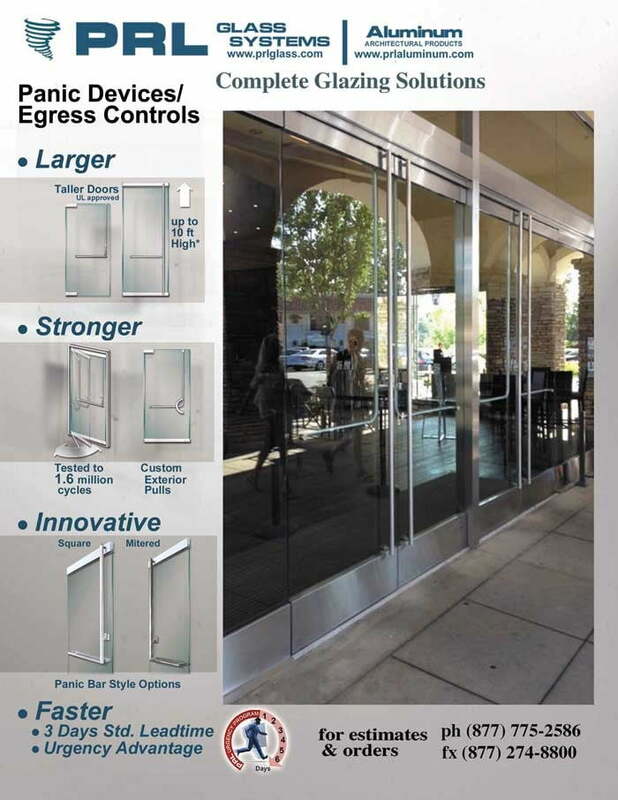 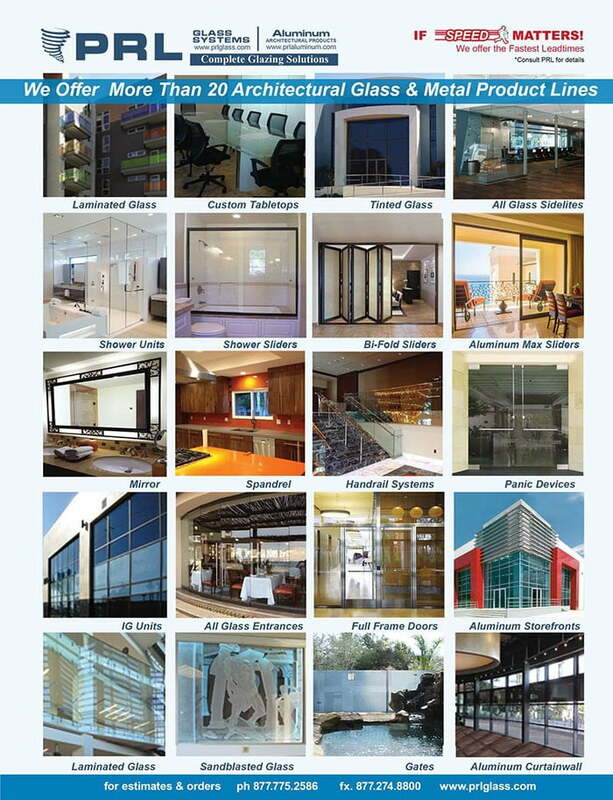 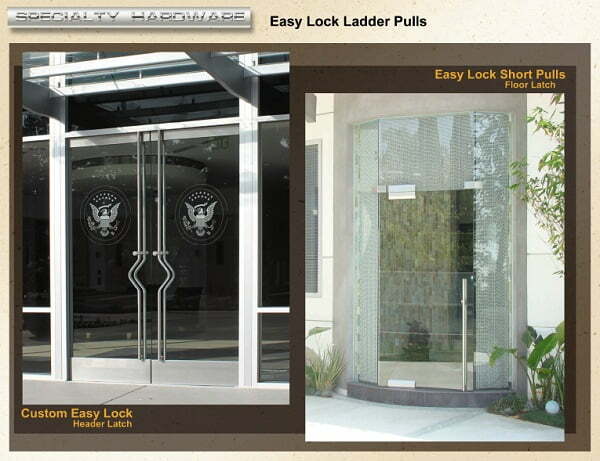 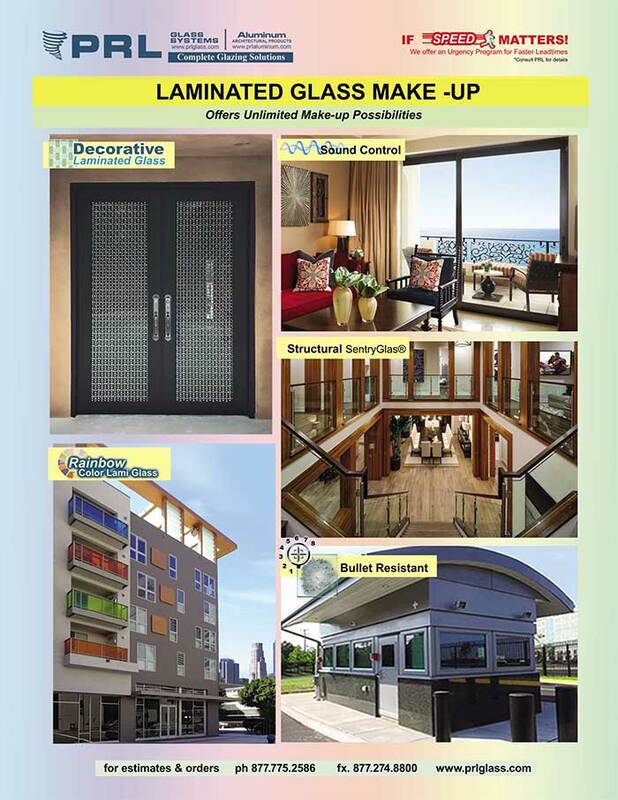 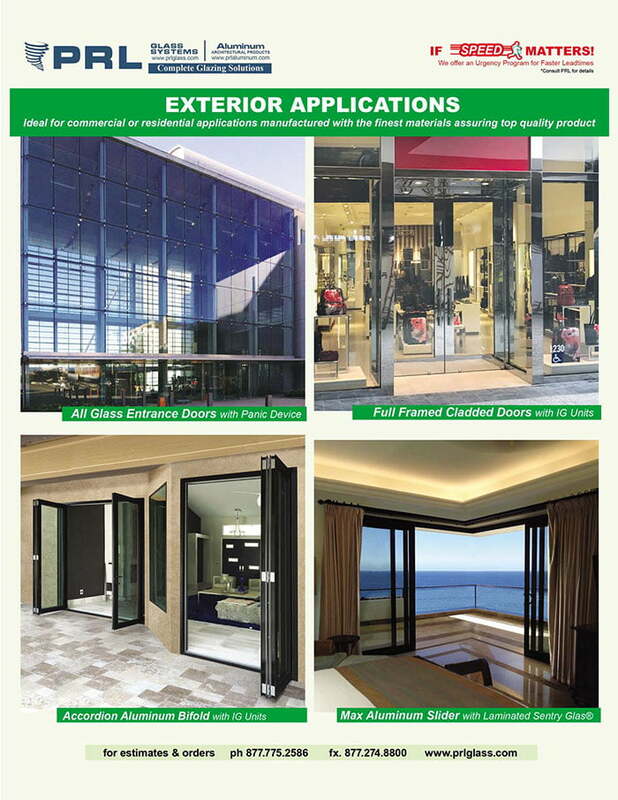 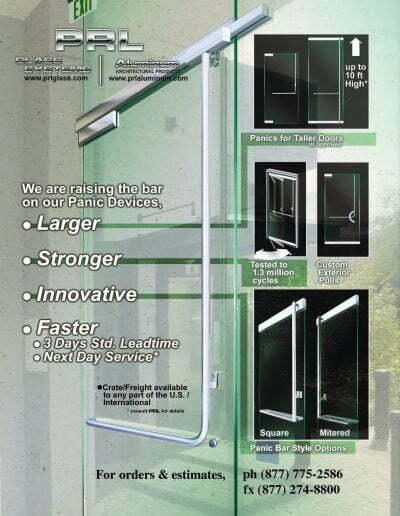 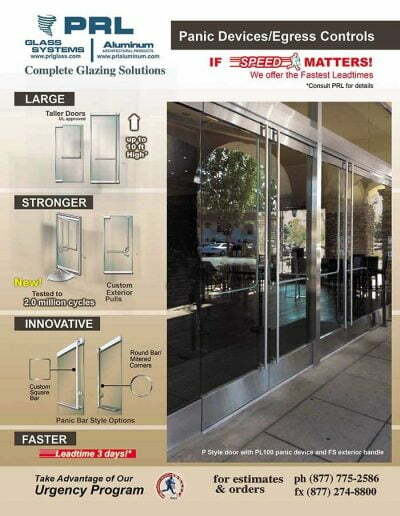 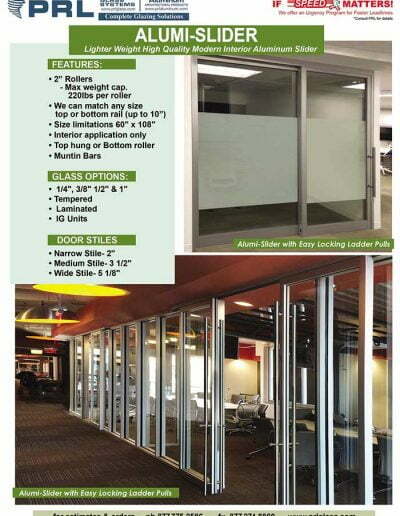 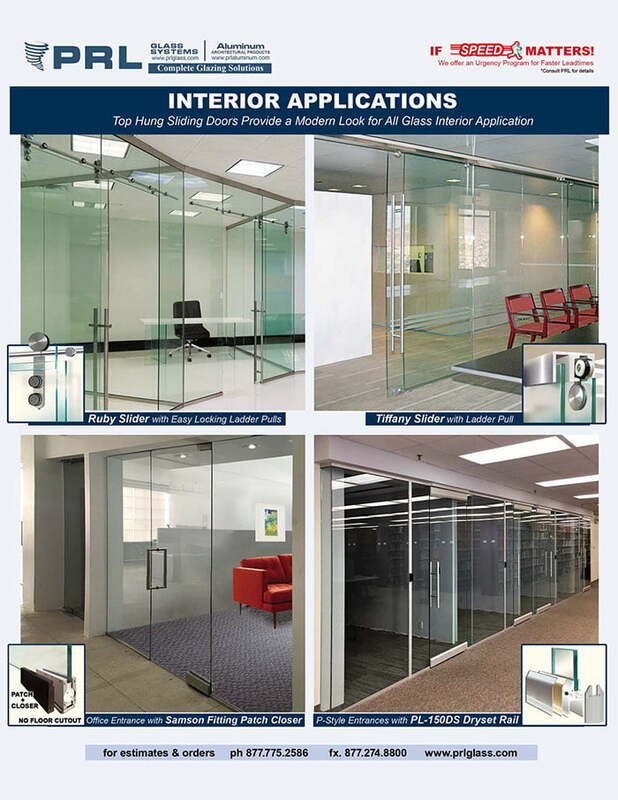 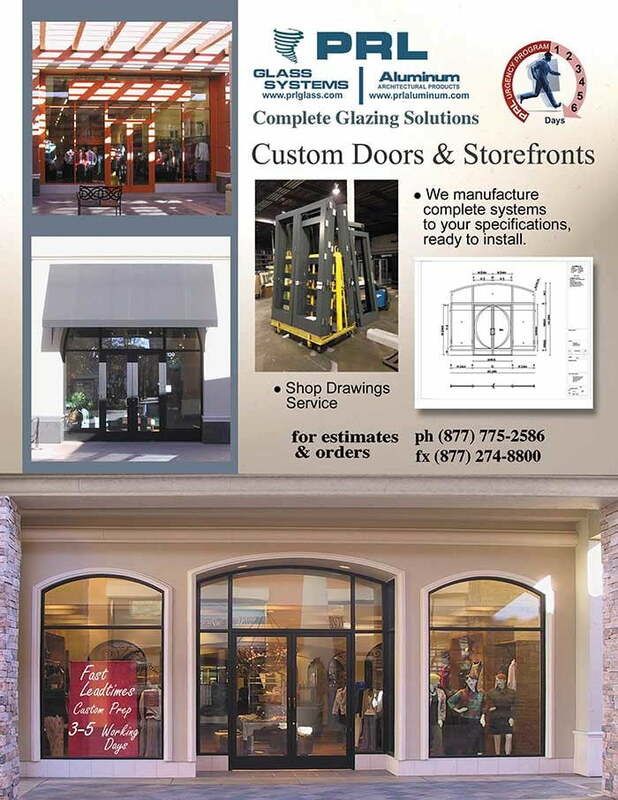 PRL Glass is a certified approved factory applicator of ICD’S Opaci-coat. 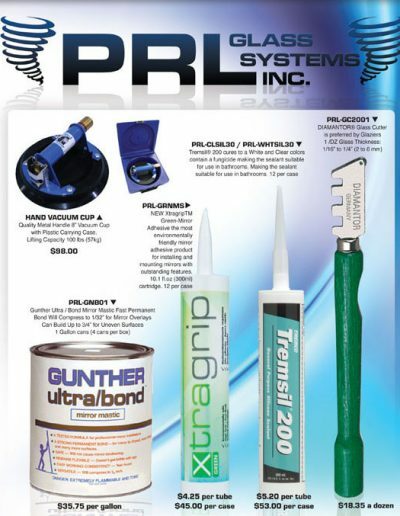 We have specialized application equipment and controlled environments so that proper adhesion, color and quality are assured. 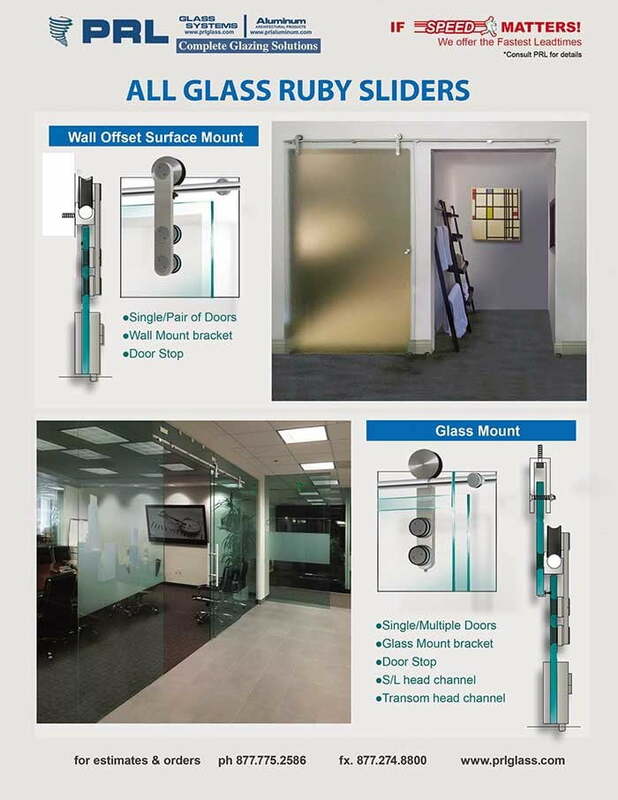 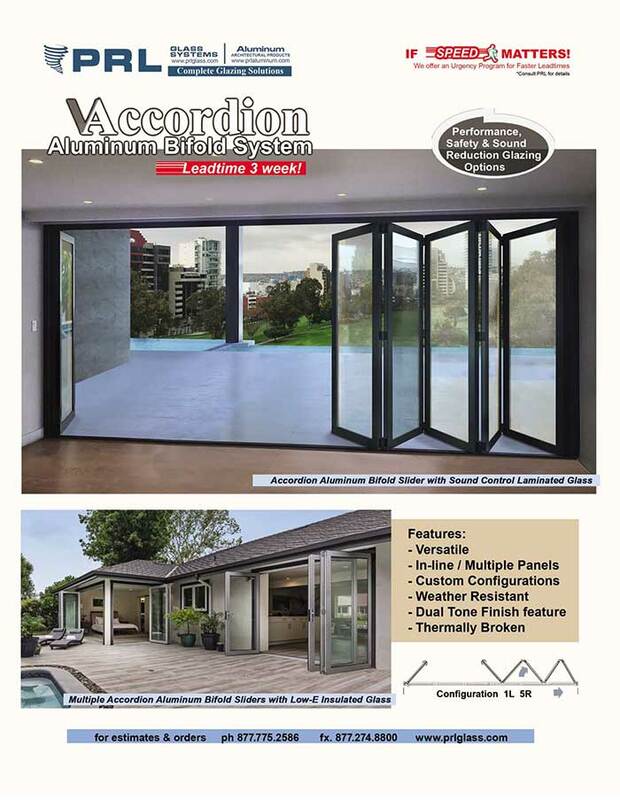 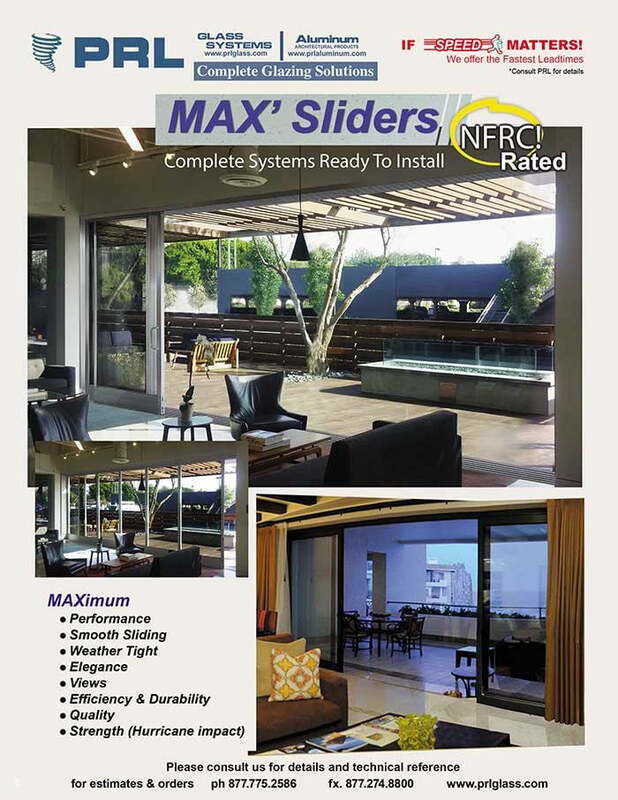 This, along with regularly scheduled inspections, insures the architect and final building owner of glass product that is exactly as specified and warranted. 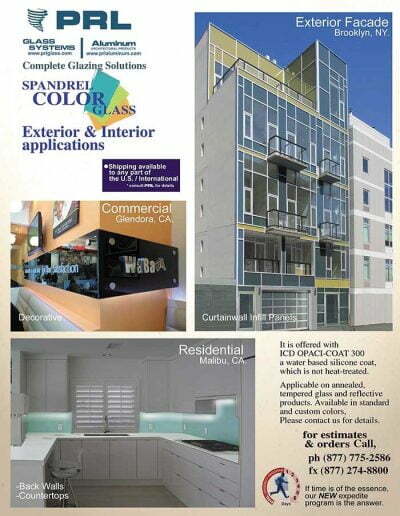 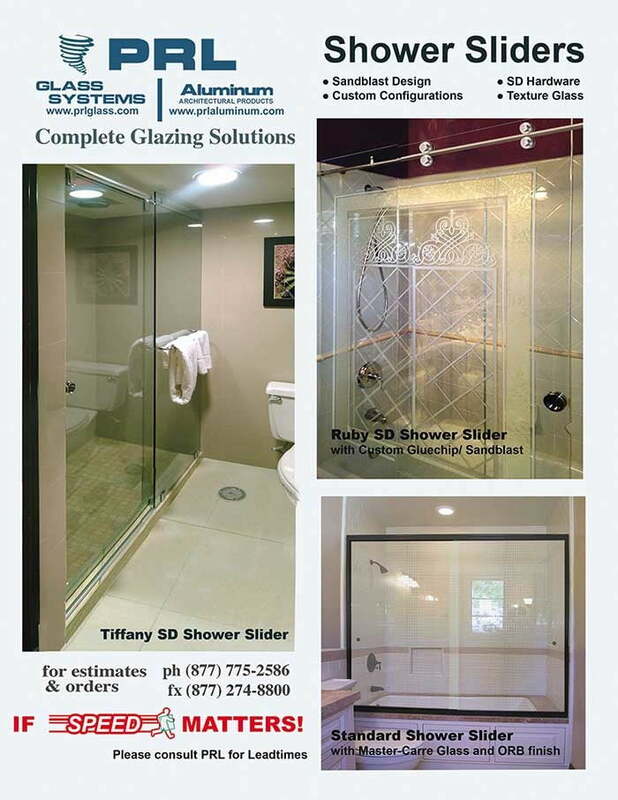 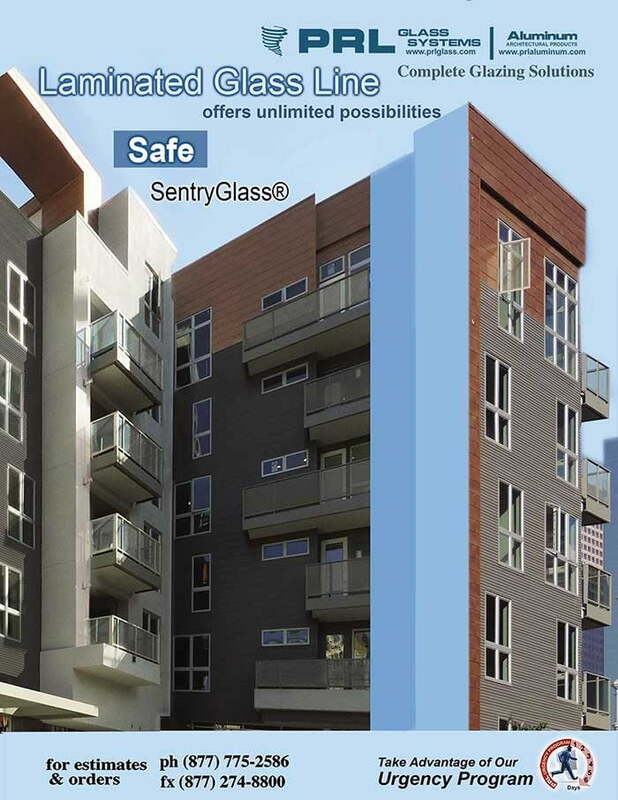 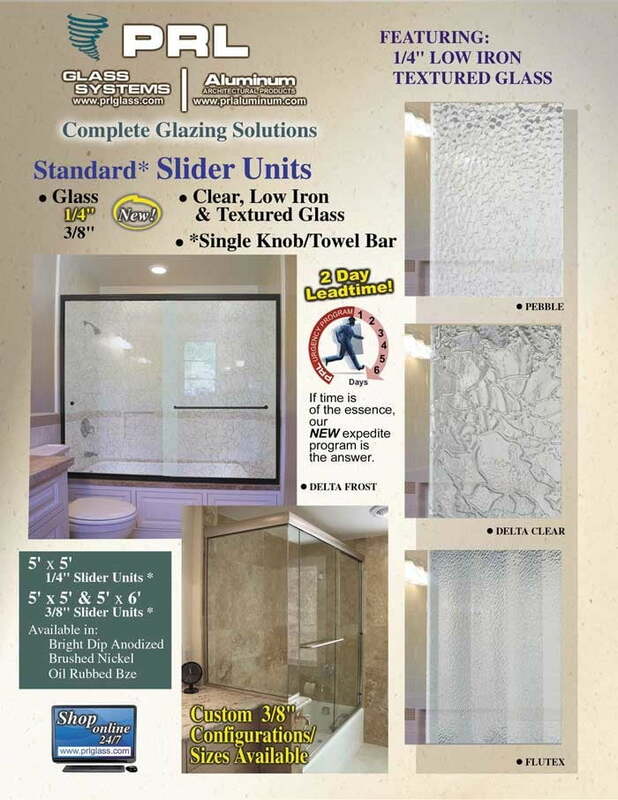 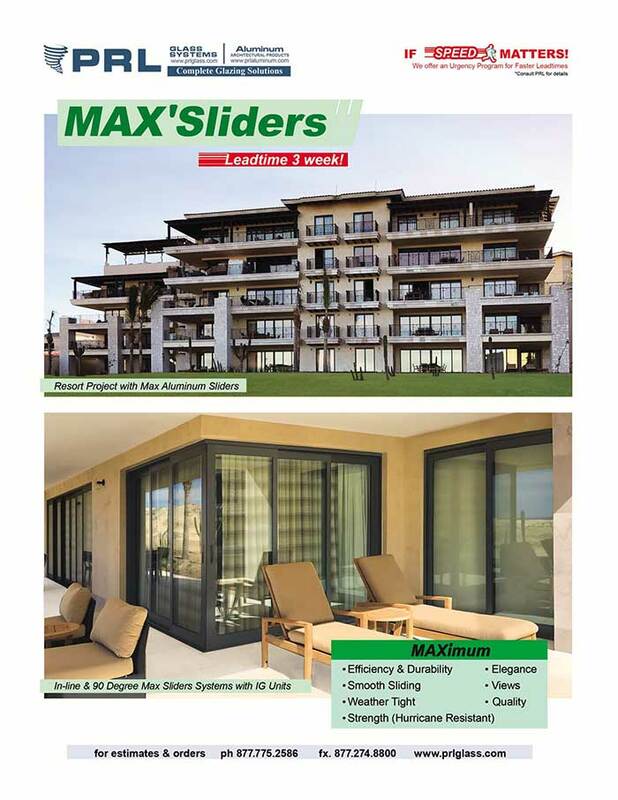 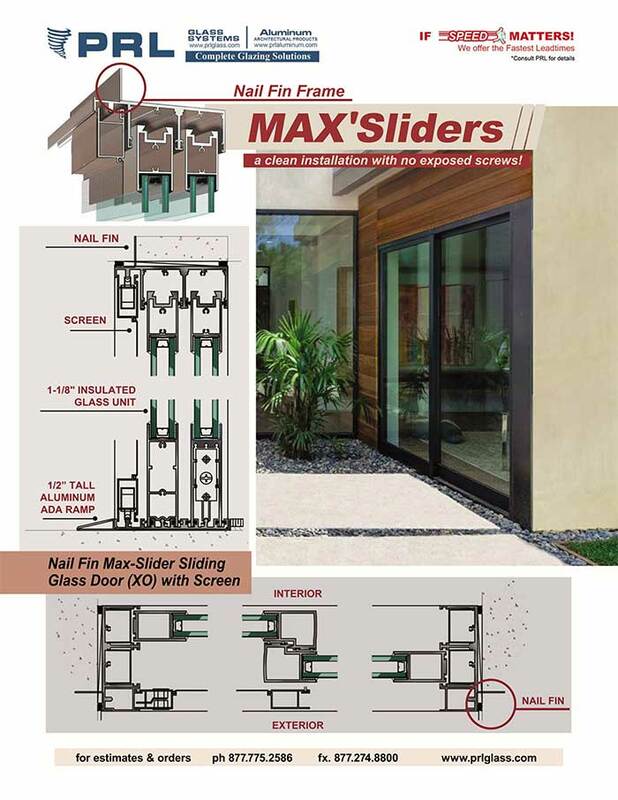 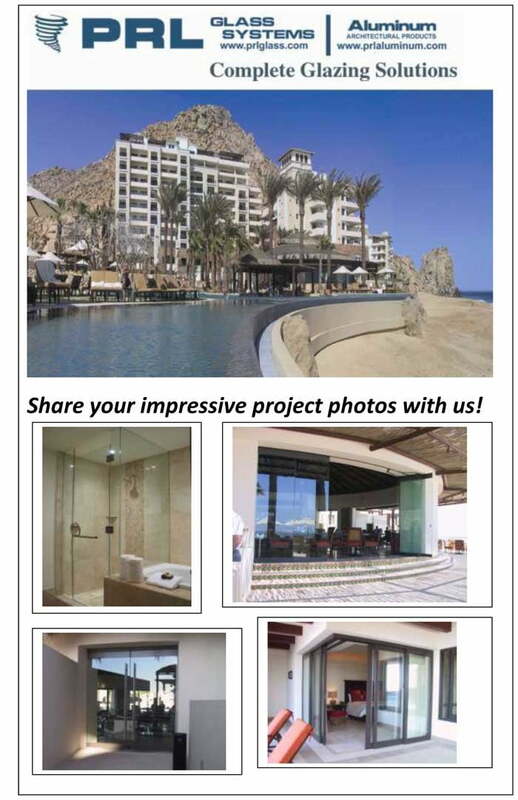 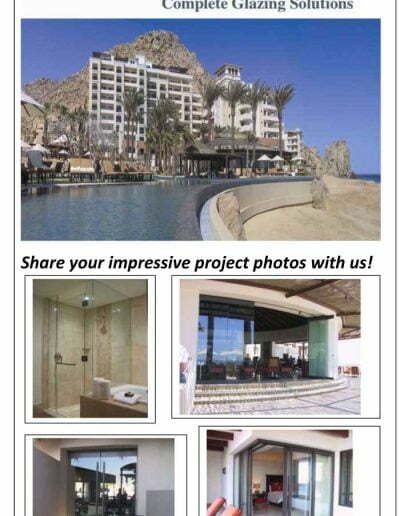 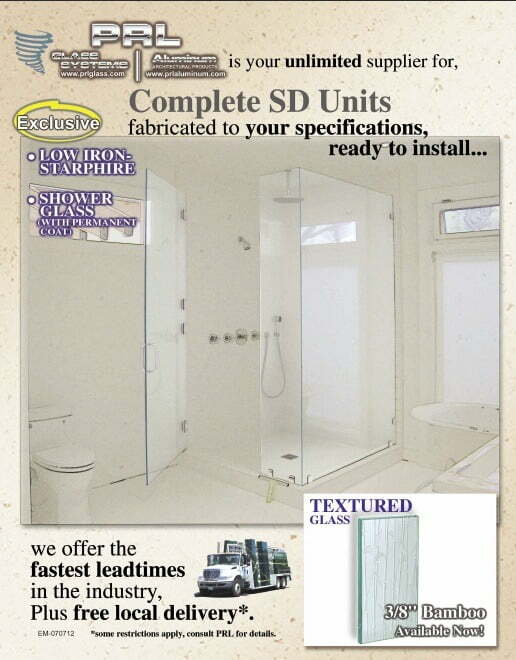 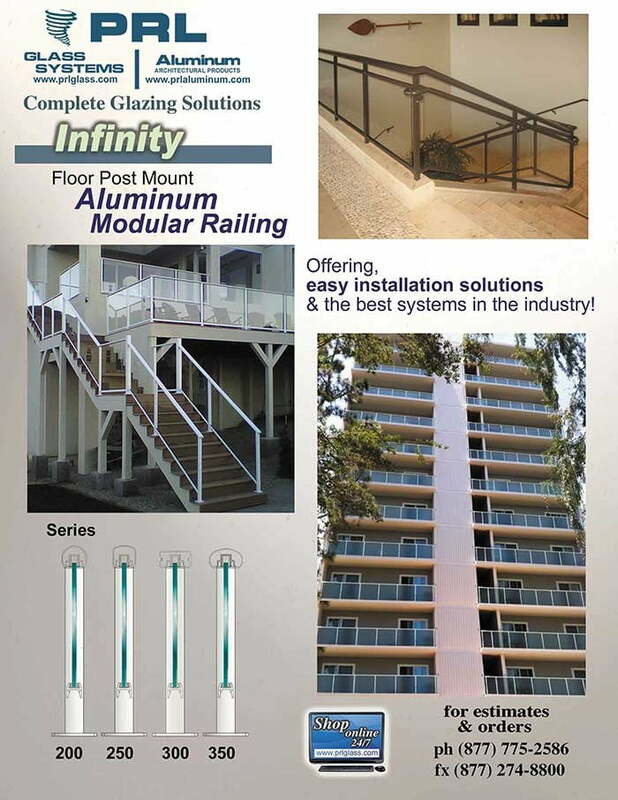 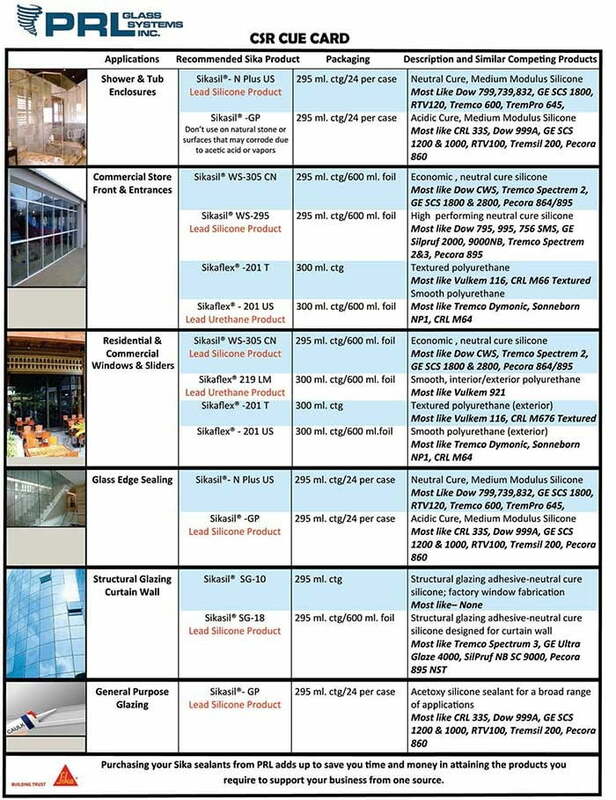 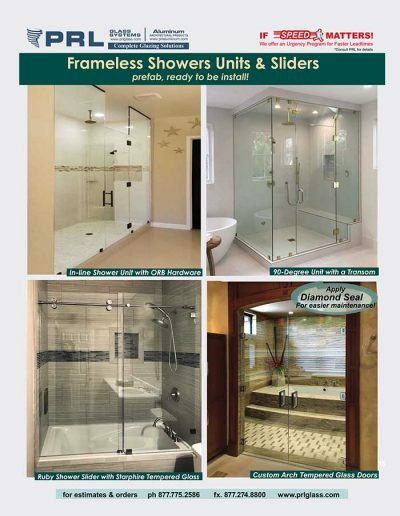 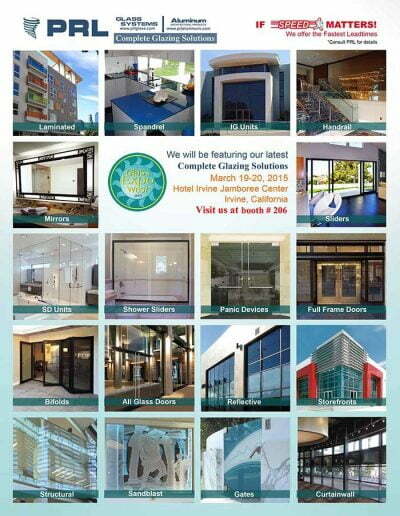 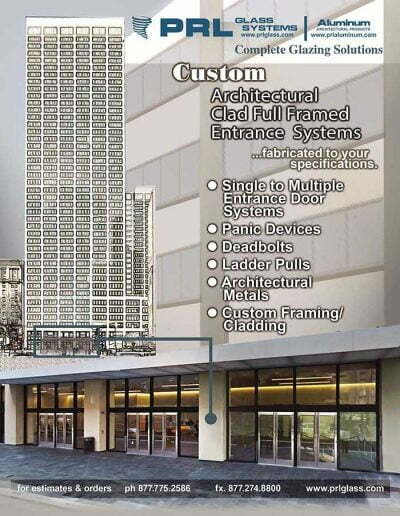 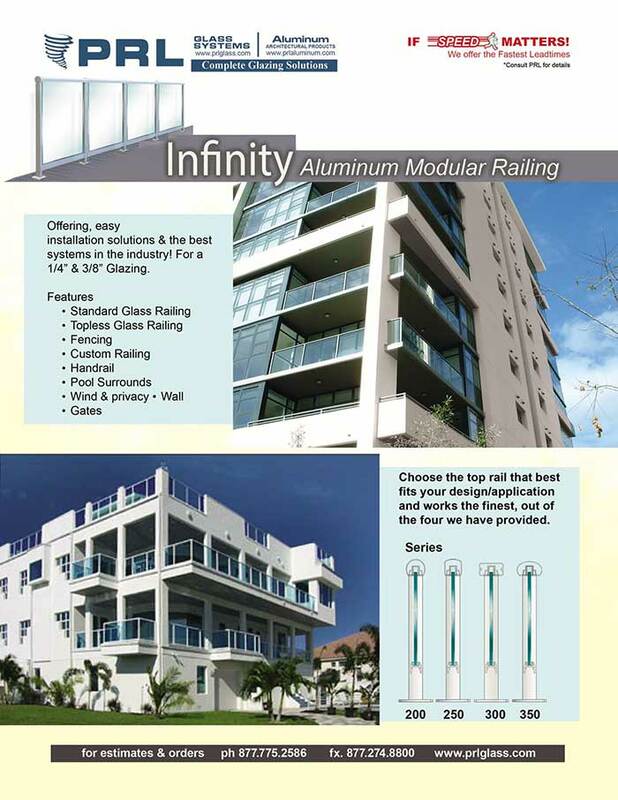 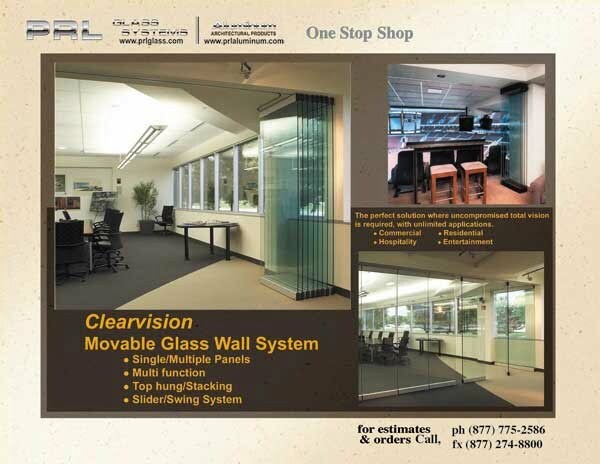 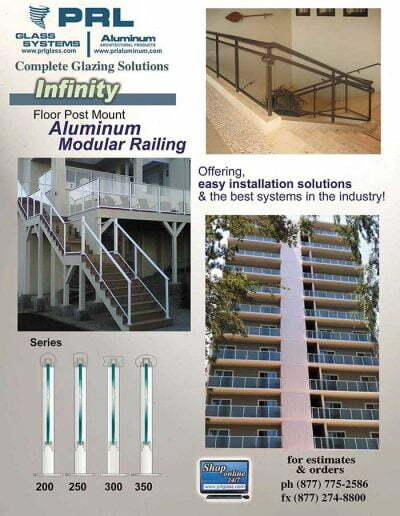 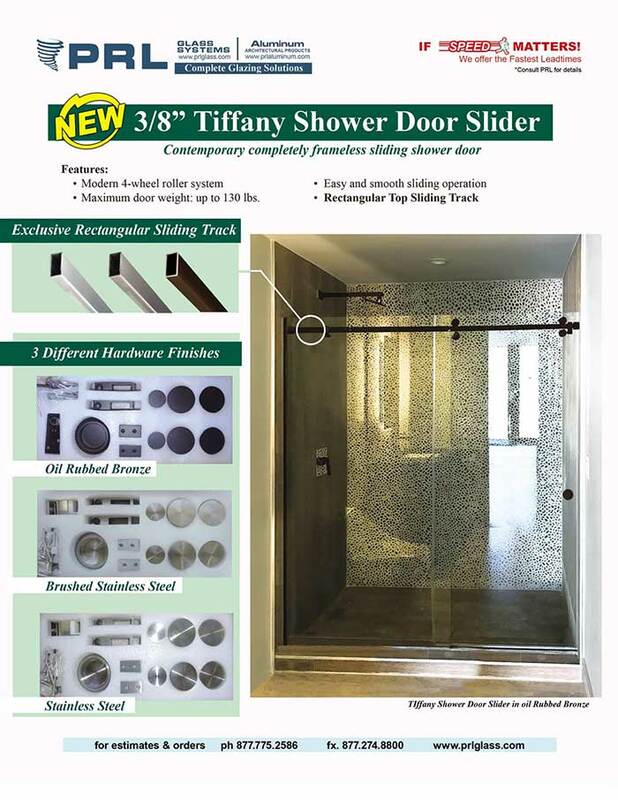 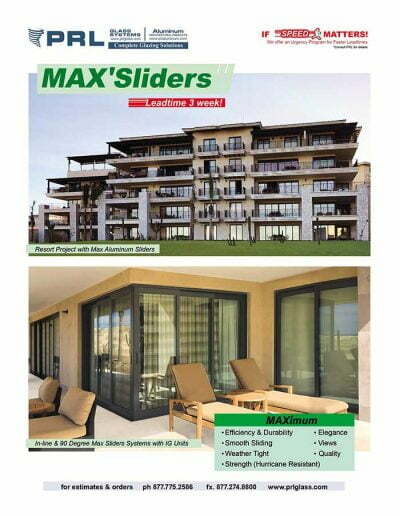 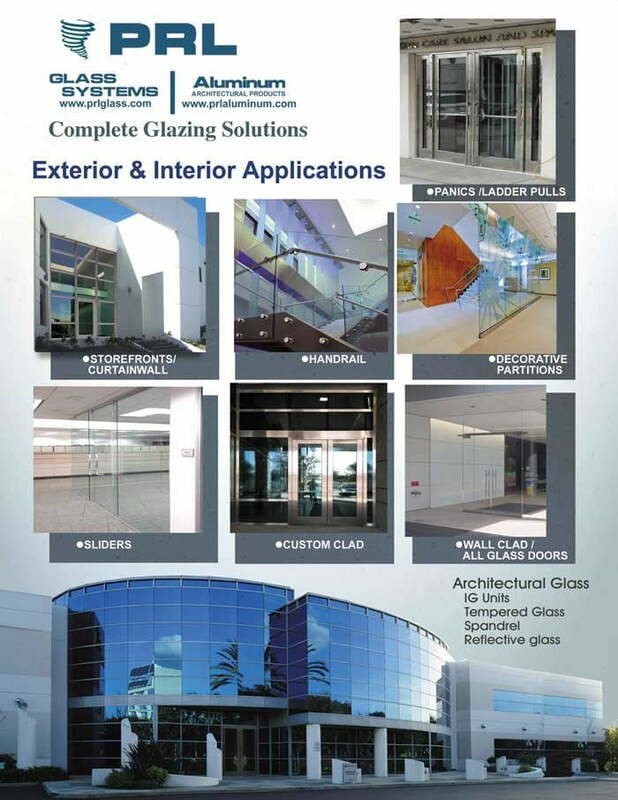 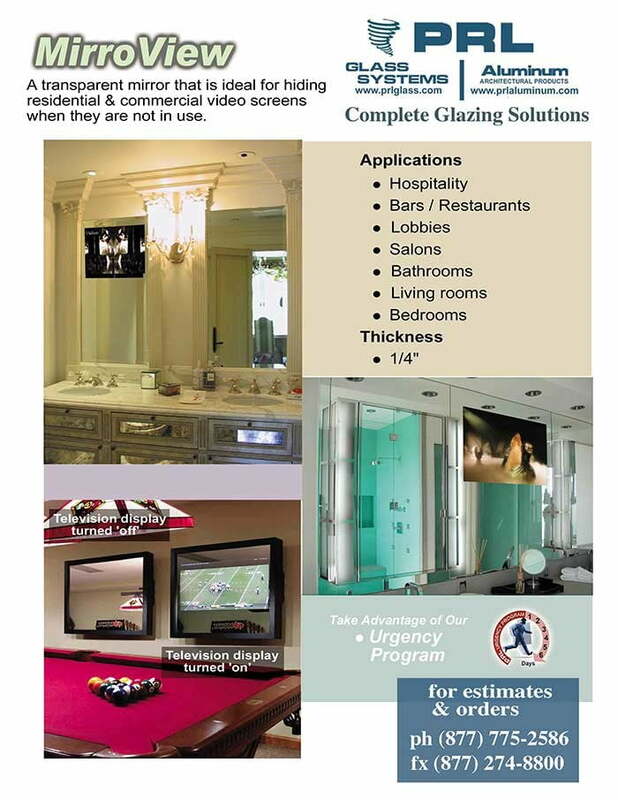 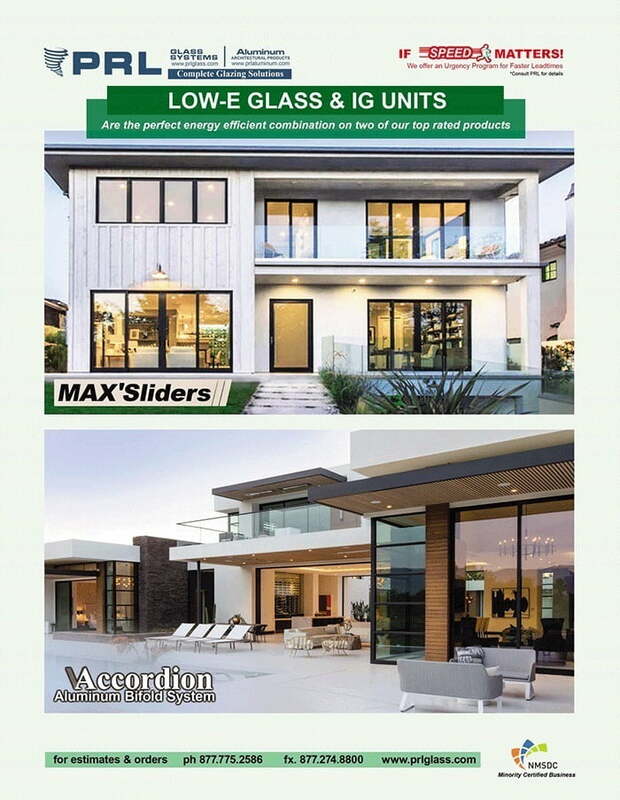 Simply supply us your specifications and let Certified Spandrel Glass Wall Clad Applicators take care of the rest Toll Free 800-433-7044.